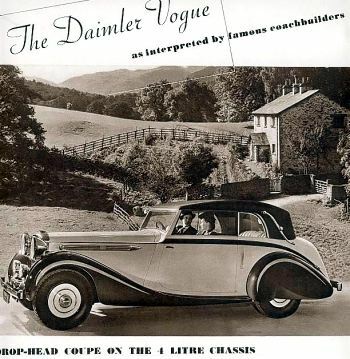 This article is about the Daimler brand and its owner the British automobile manufacturer. 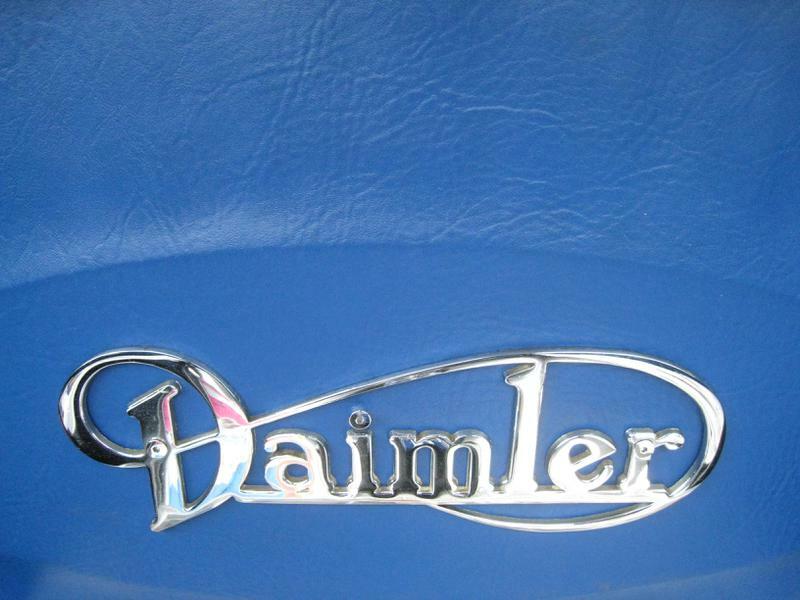 It’s possible that some pictures don’t belong to the Daimler Company, because there are 3 Daimlers, with Millner Daimler even 4. 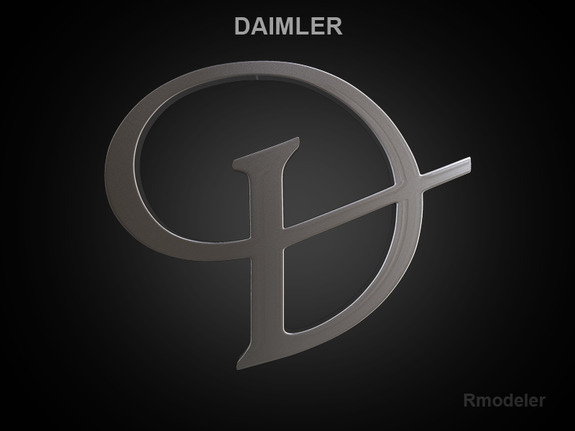 For other uses derived from the German engineer and inventor Gottlieb Daimler, see Daimler (disambiguation) For the two direct descendants of Daimler’s original enterprise, see Daimler-Benz (and its successor Daimler AG) and Austro-Daimler. 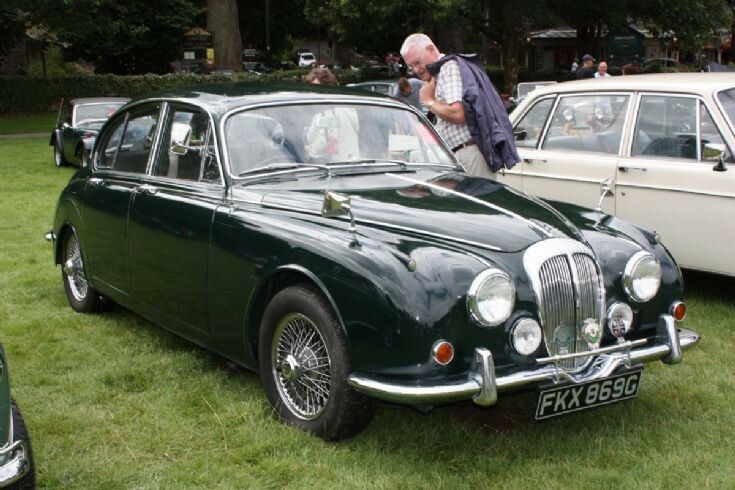 In 1960, BSA sold Daimler to Jaguar Cars, which continued Daimler’s line and added a Daimler variant of its Mark II sports saloon. 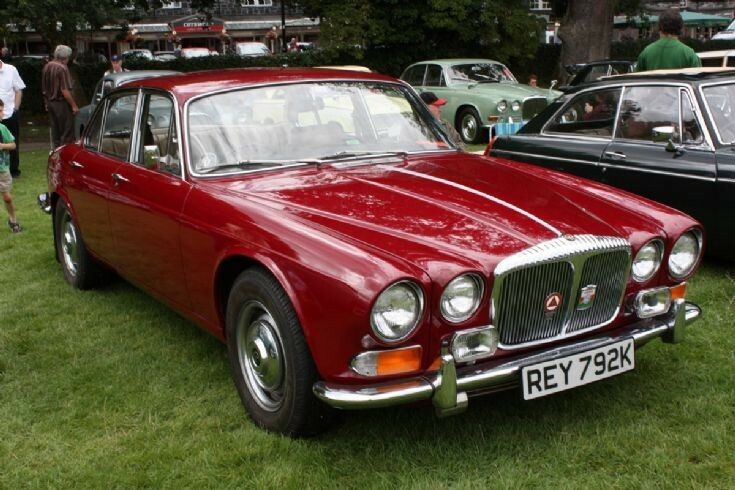 Jaguar was then merged into the British Motor Corporation in 1966 and British Leyland in 1968. 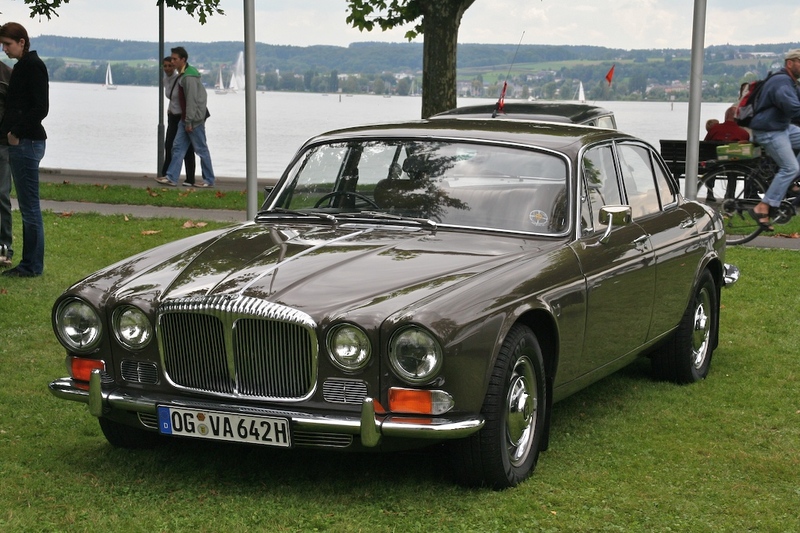 Under these companies, Daimler became an upscale trim level for Jaguar cars except for the 1968-1992 Daimler DS420 limousine, which had no Jaguar equivalent despite being fully Jaguar-based. 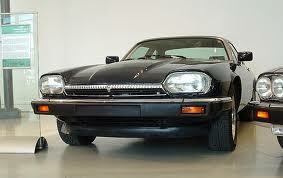 Jaguar was split off from British Leyland in 1984 and bought by the Ford Motor Company in 1989. 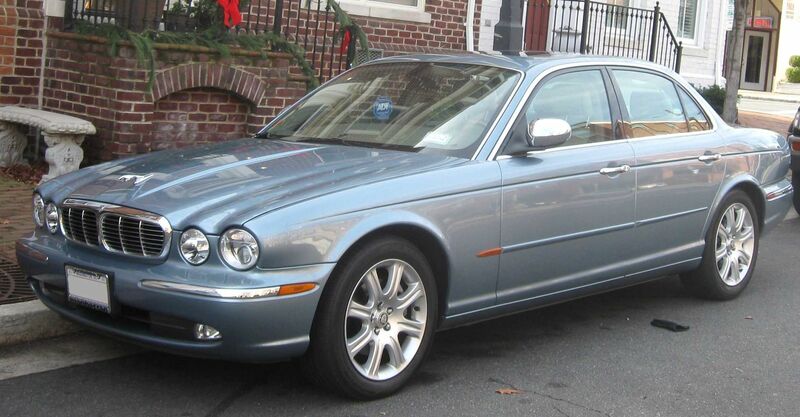 Ford stopped using the Daimler name on Jaguars (or any other cars) in 2007 and sold Jaguar to Tata Motors in 2008. 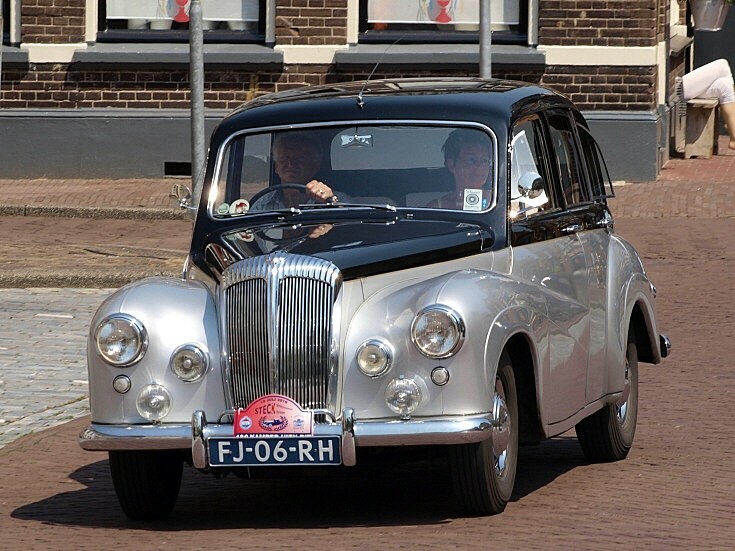 Tata bought the Daimler and Lanchester brands with Jaguar, but has not used them thus far; as of 2015, the brand appears to be dormant. 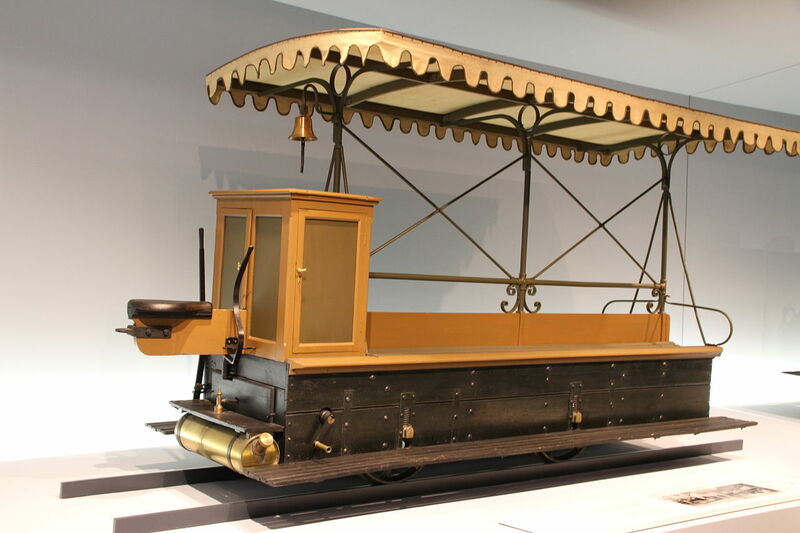 Gottlieb Daimler’s railcars “tirelessly ferrying passengers around the Bremen showground as if by magic”. Engineer Frederick Richard Simms was supervising construction of an aerial cableway of his own design for the Bremen Exhibition in 1889 when he saw tiny railcars powered by Gottlieb Daimler’s motors. Simms, who had been born to English parents in Hamburg and raised by them there, became friends with Daimler, an Anglophile who had worked from autumn 1861 to summer 1863 at Beyer-Peacock in Gorton, Manchester. 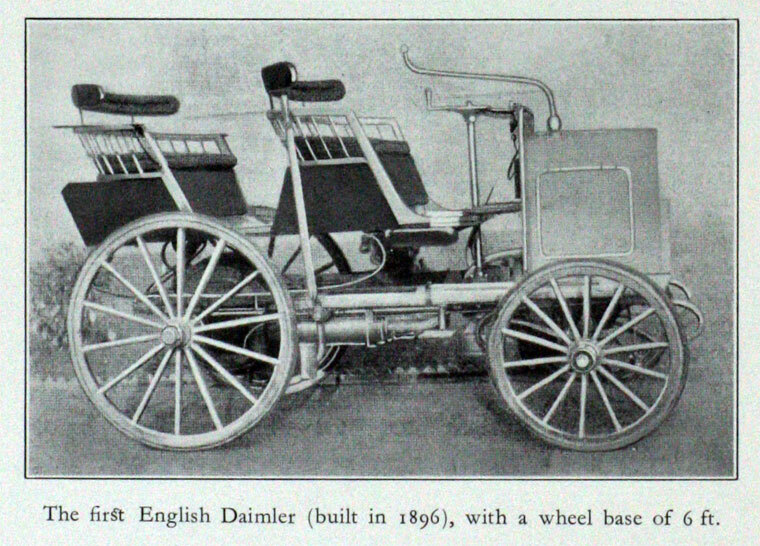 Simms introduced Daimler’s motors to England in 1890 to power launches. 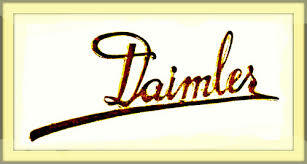 In an agreement dated 18 February 1891, he obtained British and Empire rights for the Daimler patents. That month, DMG lent Simms a motorboat with a 2 hp engine and an extra engine. In June 1891 Simms had set up a London office at 49 Leadenhall Street and founded Simms & Co consulting engineers. In May 1892, the motorboat, which Simms had named Cannstatt, began running on the Thames from Putney. 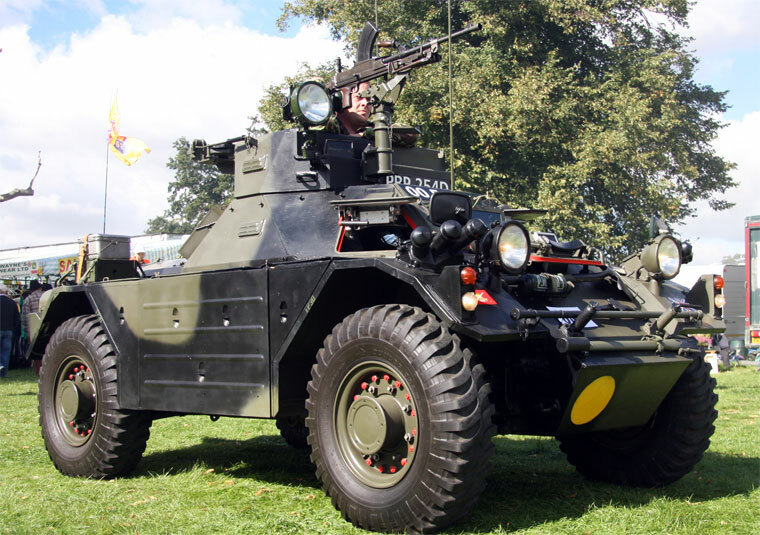 After demonstrating a motor launch to The Honourable Evelyn Ellis, Simms’s motor launch business grew rapidly, but became endangered when solicitor Alfred Hendriks was found to have been illegally taking money from the company. Hendriks severed his connections with Simms & Co. in February 1893. 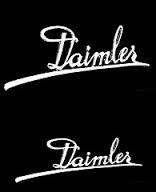 Simms’ Daimler-related work was later moved into a new company, The Daimler Motor Syndicate Limited, which was formed on 26 May 1893. 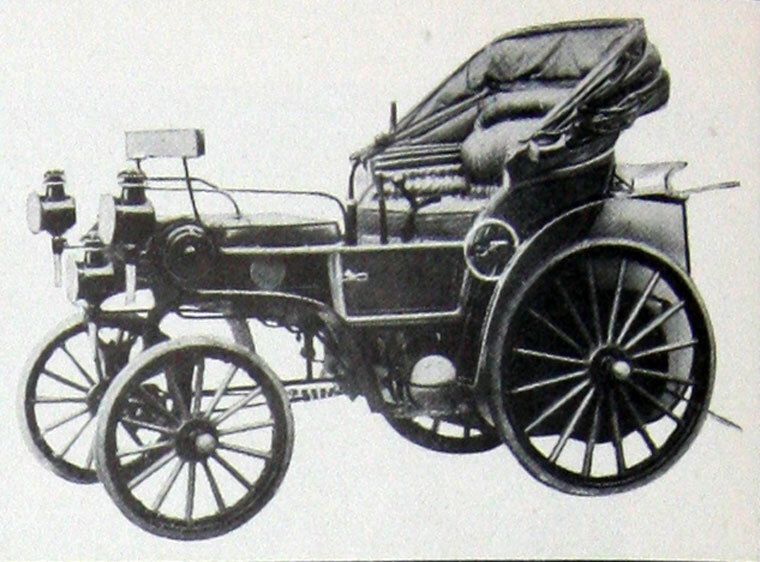 Following the success of Daimler-powered Peugeots and Panhards at the 1894 Paris–Rouen competition, Simms decided to open a motor car factory, possibly the UK’s first motor company. 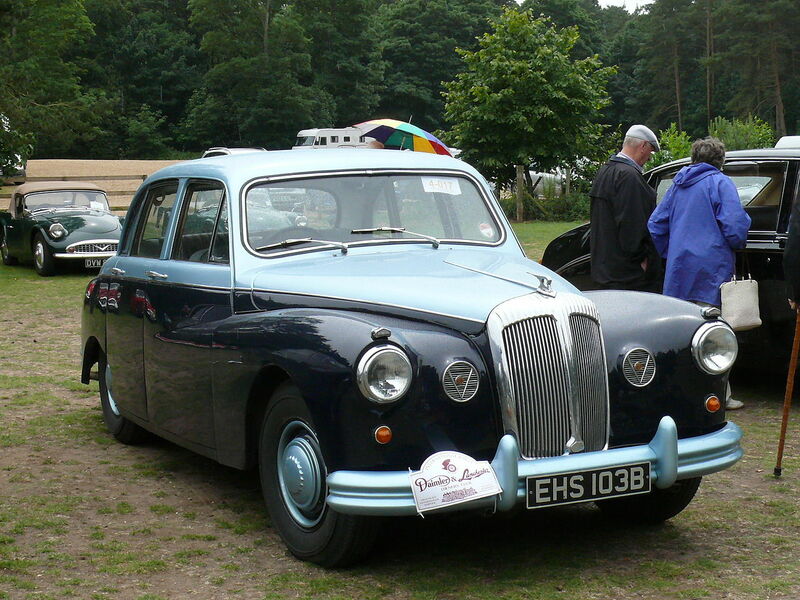 At the same meeting, Simms produced the first licence to operate a car under the Daimler patents. 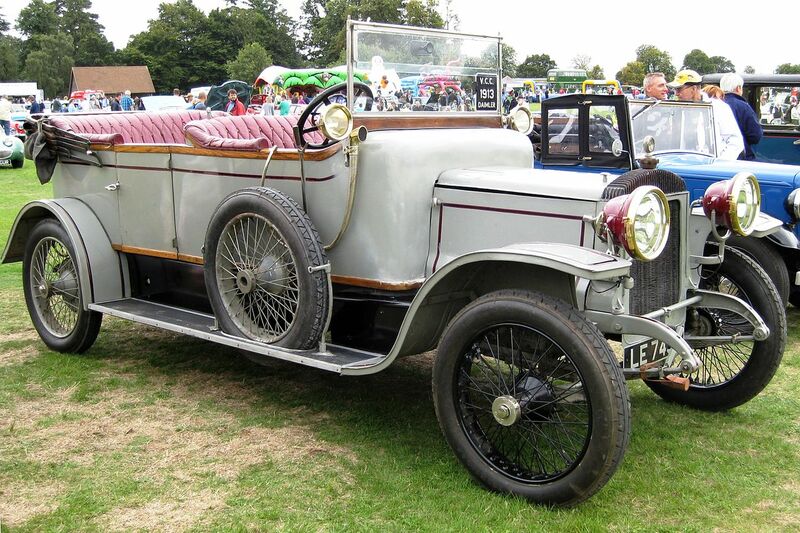 It was for a 3½ hp Panhard & Levassor that had been bought in France by The Honourable Evelyn Ellis, who had three Daimler motor launches moored by his home at Datchet. 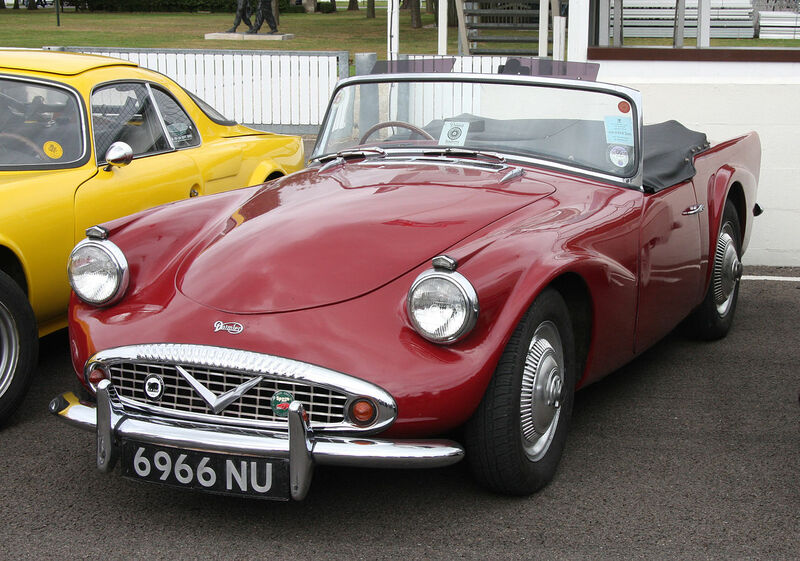 On 3 July, after Ellis bought the licence, the car was landed at Southampton and driven by Ellis to Micheldever near Winchester where Ellis met Simms and they drove together to Datchet. 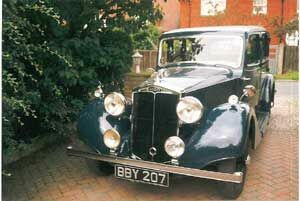 Ellis later drove it on to Malvern. 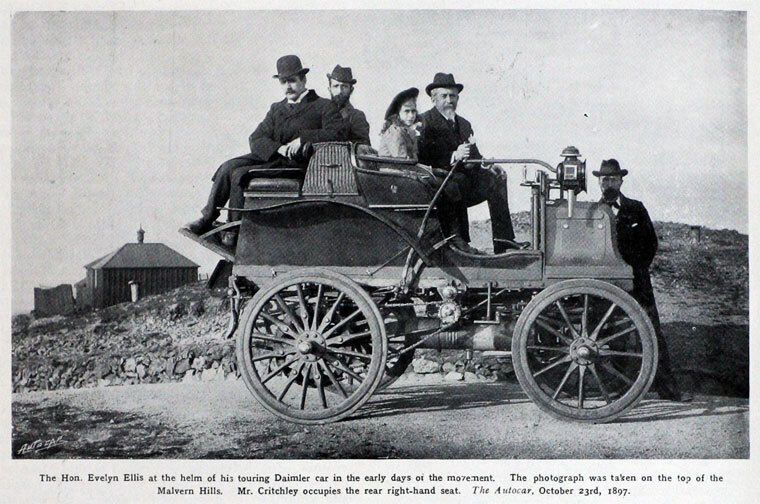 This was the first long journey by motorcar in Britain. 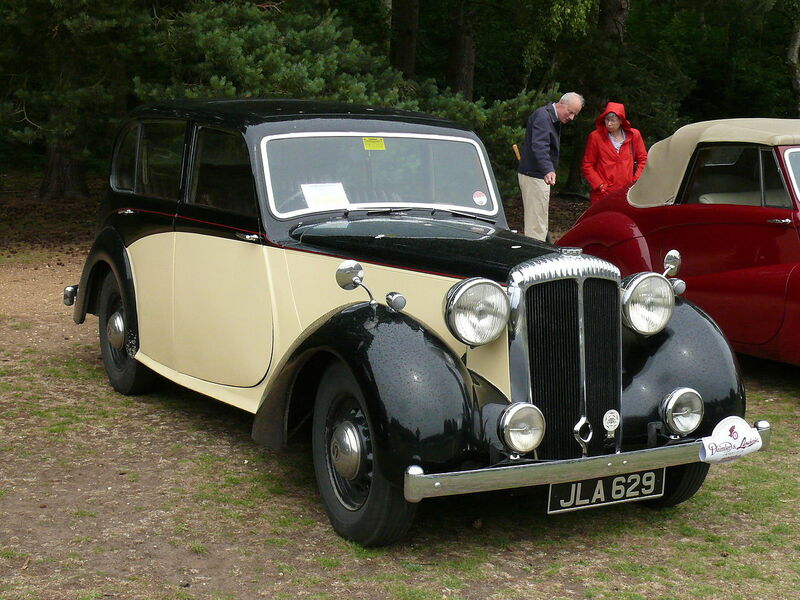 Simms later referred to the car as a “Daimler Motor Carriage”. In order that the Daimler licences could be transferred from Simms to the new company, all the former partners would have to agree to the transfer. 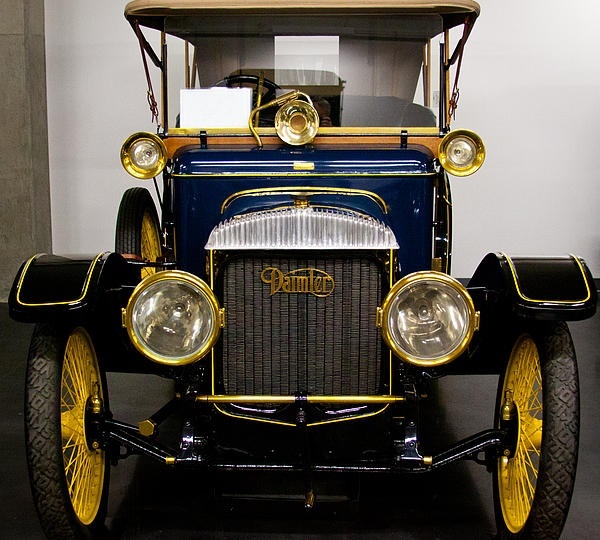 By this time, Gottlieb Daimler and Wilhelm Maybach had withdrawn from Daimler Motoren Gesellschaft’s business to concentrate on cars and engines for them. 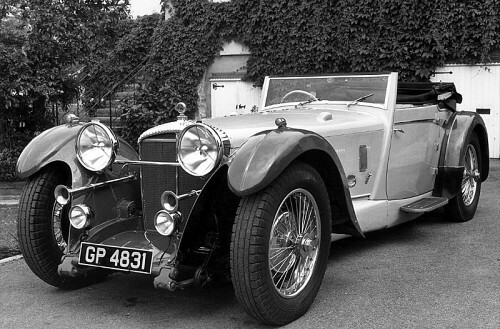 Simms offered to pay DMG £17,500 for the transfer and for a licence for Daimler and Maybach’s Phénix engine, which DMG did not own. 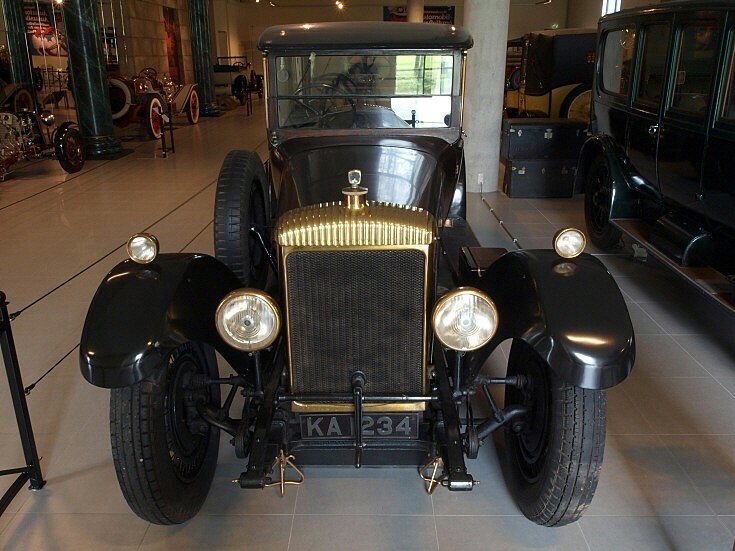 Simms therefore insisted that the transfer be on the condition that Daimler and Maybach rejoined DMG. 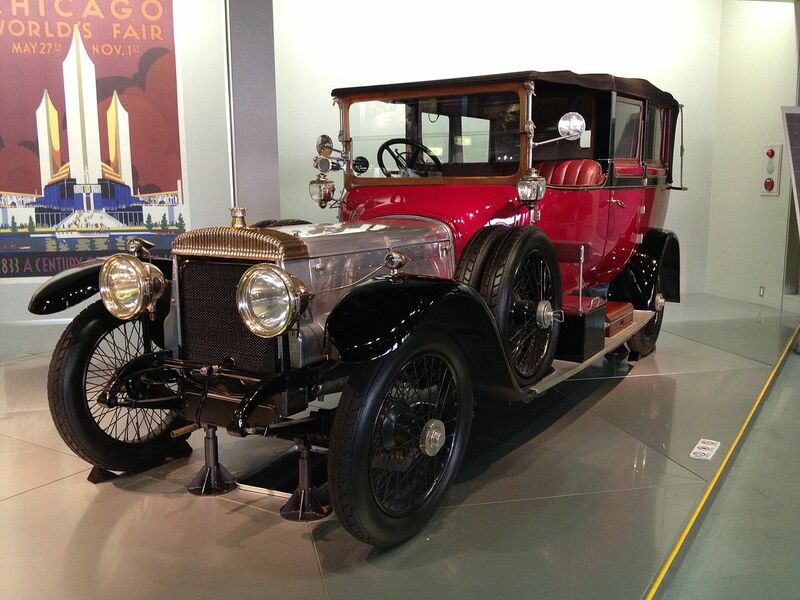 This was agreed in November 1895 and the Daimler-Maybach car business re-merged with DMG’s. 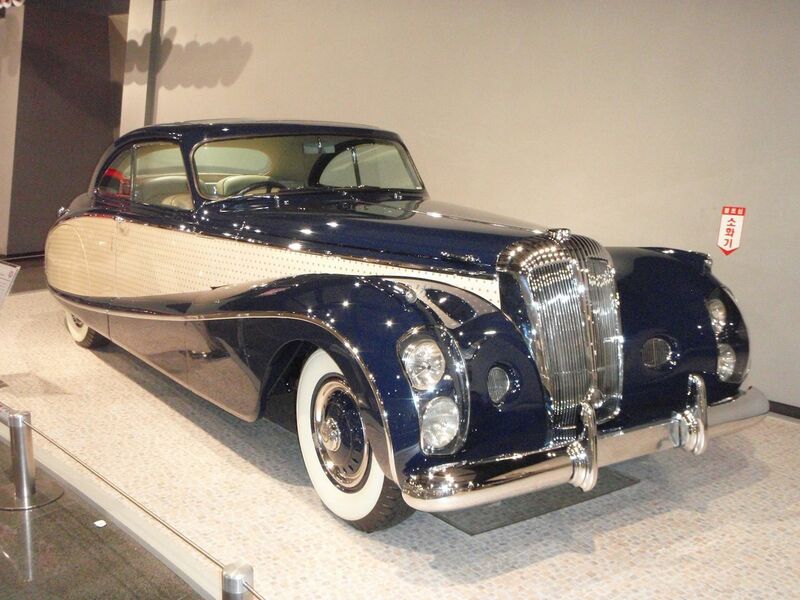 Daimler was appointed DMG’s General Inspector and Maybach chief Technical Director. At the same time Simms became a director of DMG but did not become a director of the London company. 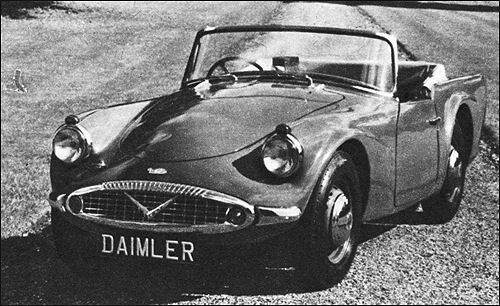 According to Gustav Vischer, DMG’s business manager at the time, Simms getting Daimler to return to DMG was “no mean feat”. 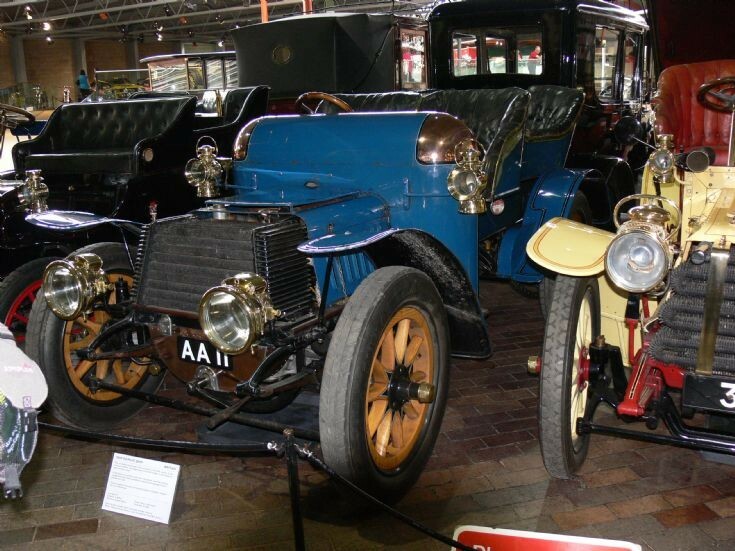 The sale of Daimler Motor Syndicate to Lawson’s interests was completed by the end of November 1895. The shareholders of the Syndicate had made a profit of two hundred percent (200%) on their original investment. 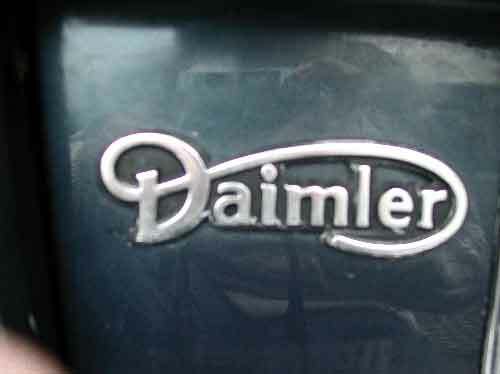 On 14 January 1896 Lawson incorporated The Daimler Motor Company Limited. A prospectus was issued on 15 February. 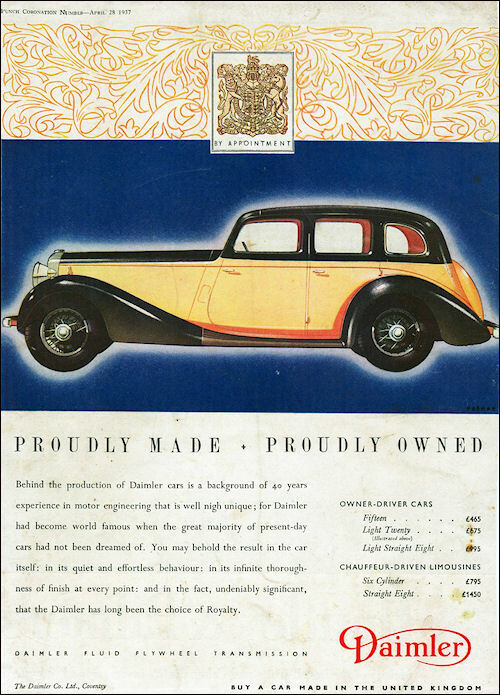 The subscription lists opened on 17 February and closed, oversubscribed, the next day.The Daimler Motor Company Limited bought The Daimler Motor Syndicate Limited from Lawson’s British Motor Syndicate as a going concern. Simms was appointed consulting engineer to the new business but was not to be on the board of directors, possibly because he had become a director of the Cannstatt firm. One of the duties assigned to Simms was to find a suitable location for the factory. Simms found the Trusty Oil Engine Works, a company in receivership whose six-acre site at Cheltenham included a foundry, a machine shop, and testing facilities. Simms recommended buying the works immediately since, with ready facilities and the availability of skilled workers, they could start up in a very short time. Instead, at the first statutory meeting of the company, held while Simms was overseas, Lawson persuaded the board to buy a disused four-storey cotton mill in Coventry which was owned by Lawson’s associate Ernest Terah Hooley. Despite Simms’ later protest and pleas to sell the mill and buy the Trusty Oil Engine Works, Daimler stayed with the mill as the site of Britain’s first automobile factory. 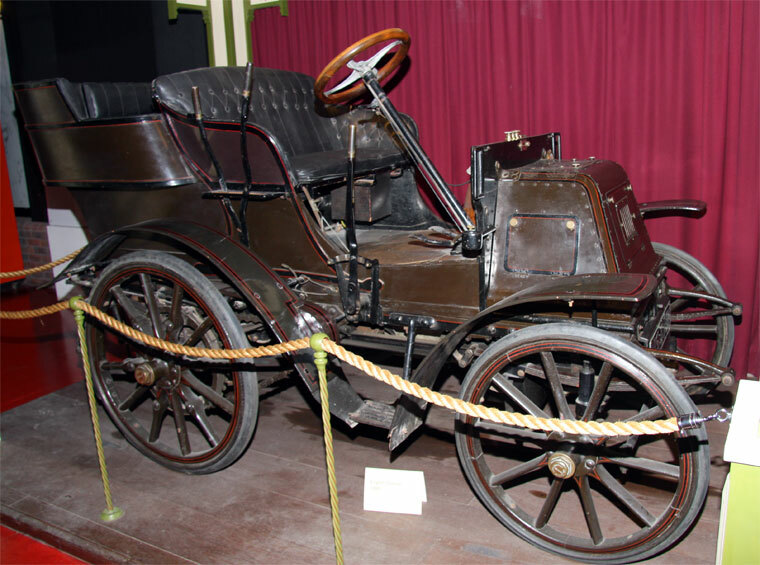 The first car left the works in January 1897, fitted with a Panhard engine, followed in March by Daimler-engined cars. 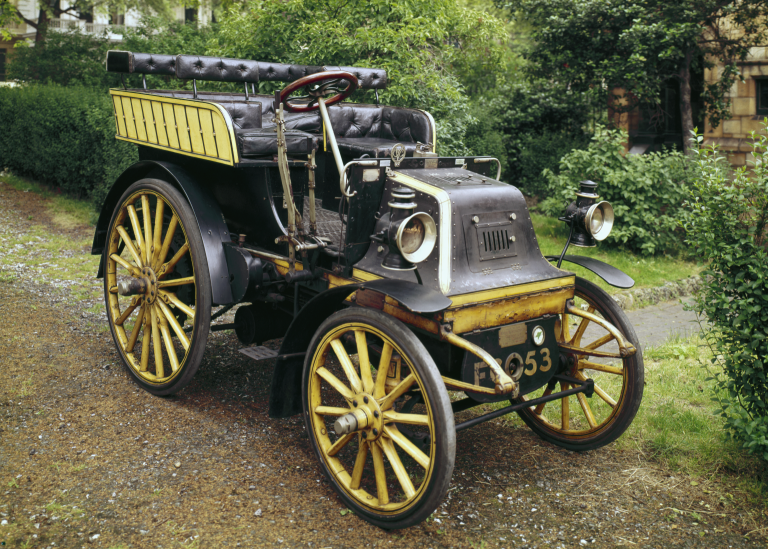 The first Coventry Daimler-engined product made its maiden run in March 1897. 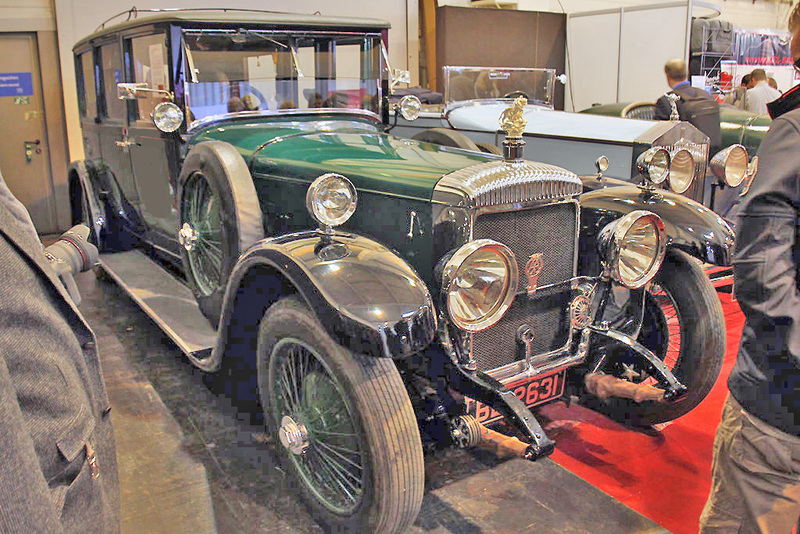 By mid-year they were producing three of their own cars a week and producing Léon Bollée cars under licence. 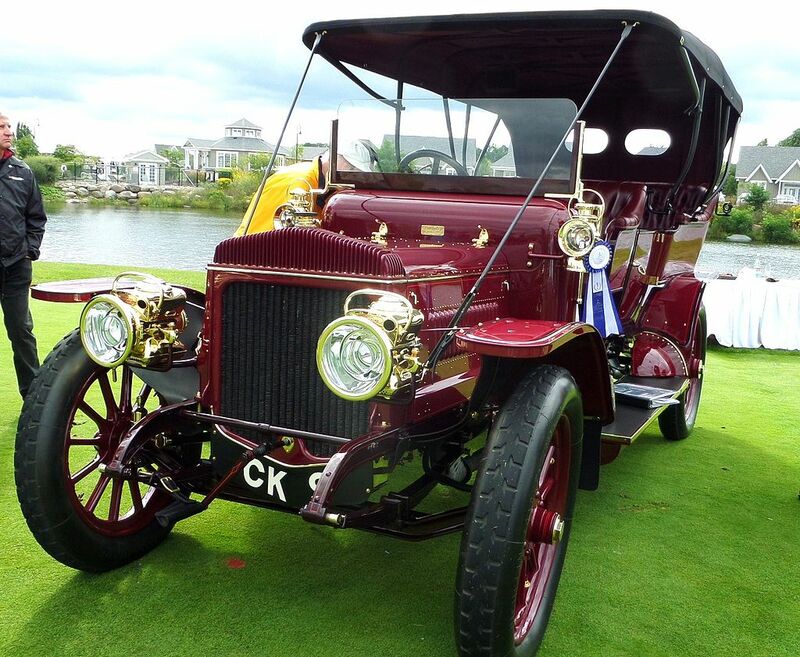 Lawson claimed to have made 20 cars by July 1897 making the Daimler Britain’s first motor car to go into serial production, an honour that is also credited to Humber Motors who had also displayed, but in their case their production models, at the Stanley Cycle Show in London in 1896. 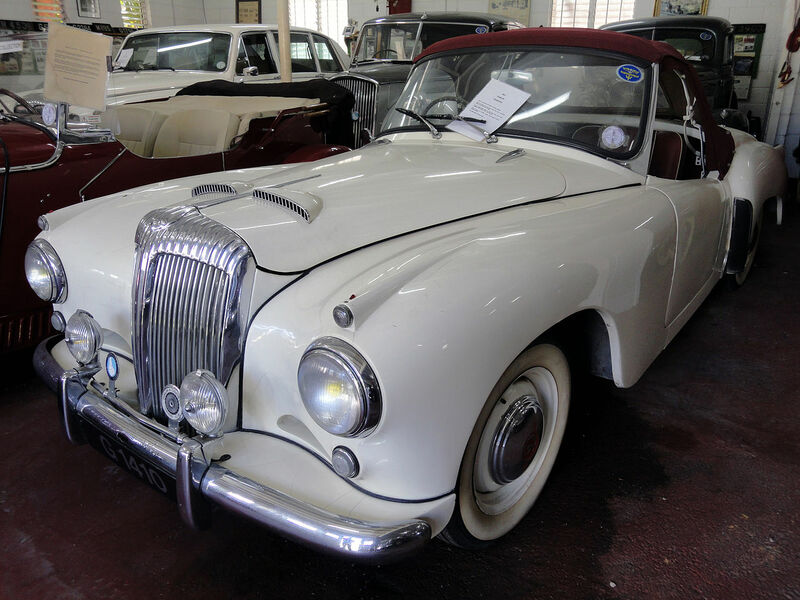 The Daimlers had a twin-cylinder, 1526 cc engine, mounted at the front of the car, four-speed gearbox and chain drive to the rear wheels. 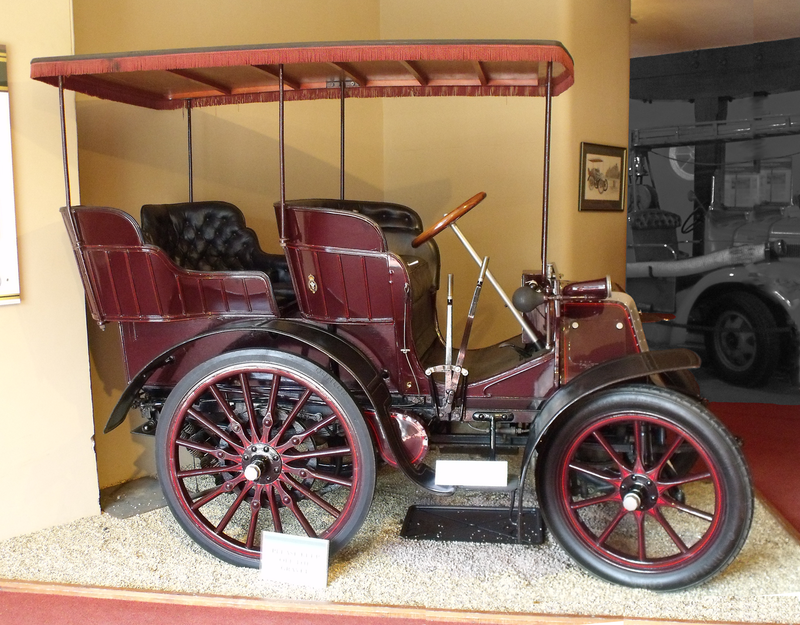 In July 1897, as a result of financial difficulty, Daimler began asking Lawson’s Great Horseless Carriage Company to settle its accounts with them. In the same month, they refused to send working drawings of their 4 hp motor frame to DMG in Canstatt. 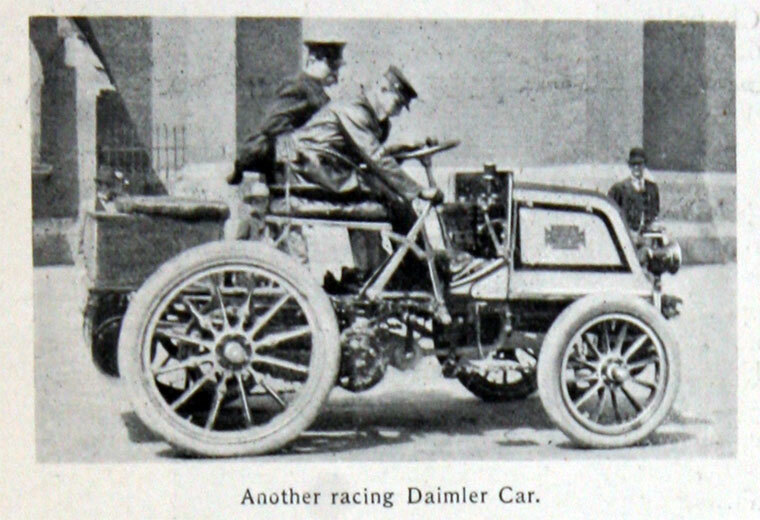 Lack of co-operation with the Canstatt firm caused Simms to resign as Daimler’s consulting engineer that month. Also in July 1897, the company sold their launch works at Eel Pie Island at a loss of seven hundred pounds (£700) or more. 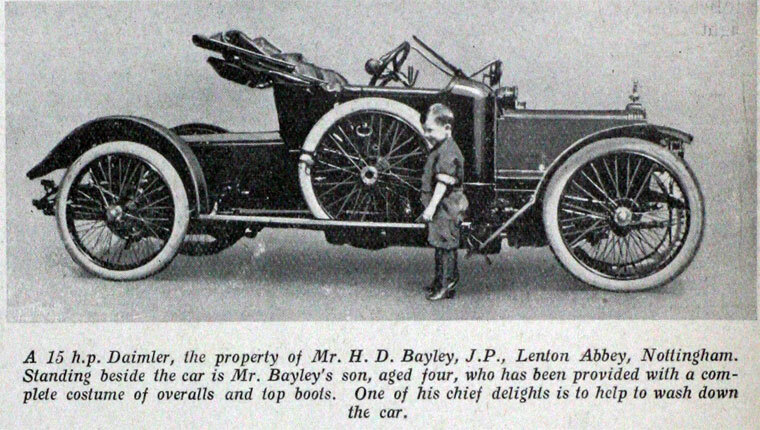 Ongoing difficulties with the Great Horseless Carriage Company and the British Motor Syndicate caused Lawson to resign from Daimler’s board on 7 October 1897. 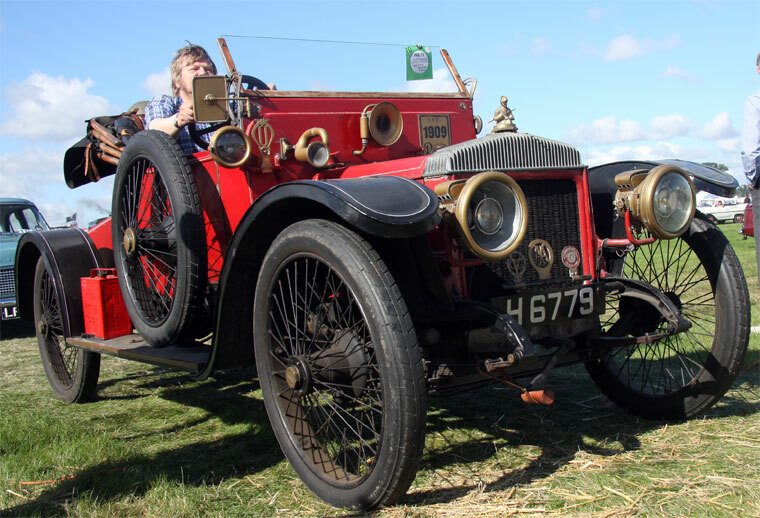 He was replaced as chairman by Henry Sturmey, who at the time was five days into a motor tour in his personal Daimler from John O’Groats to Land’s End. 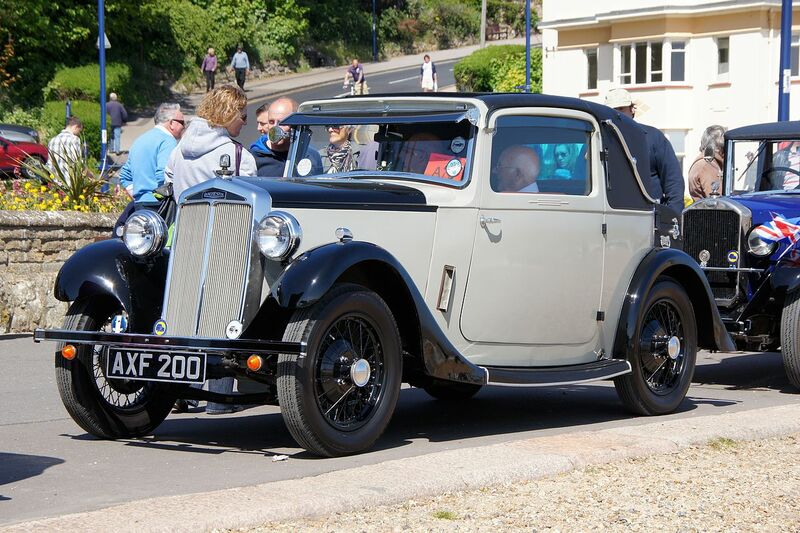 On arriving at Land’s End on 19 October, Sturmey became the first person to make that journey in a motor car. 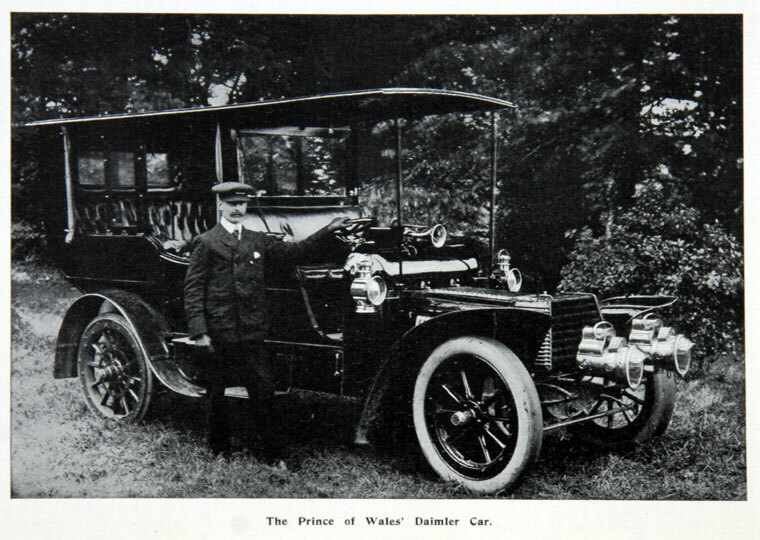 Known as Britain’s oldest car manufacturers, Daimler was first associated with royalty in 1898 when the Prince of Wales, later Edward VII, was given a ride on a Daimler by John Douglas-Scott-Montagu later known as Lord Montagu of Beaulieu. 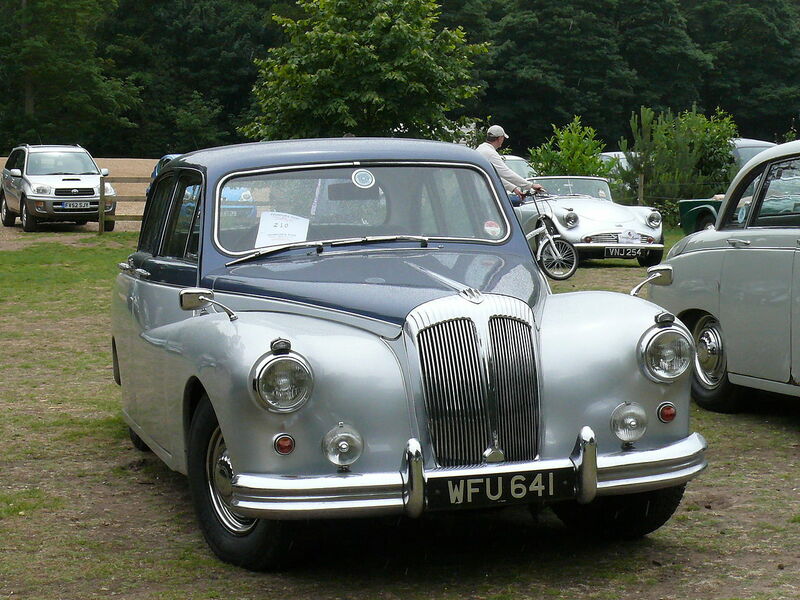 Scott-Montagu, as a member of parliament, also drove a Daimler into the yard of the Palace of Westminster, the first motorised vehicle to be driven there. 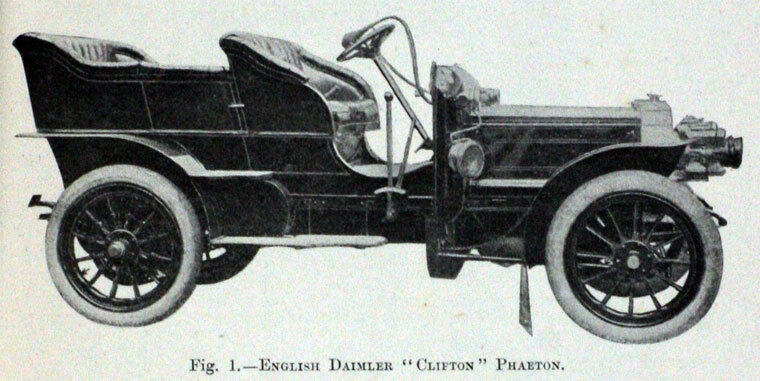 In 1903, Undecimus Stratton met E. G. Jenkinson, the chairman of Daimler, when Jenkinson’s Daimler was stranded by the roadside. 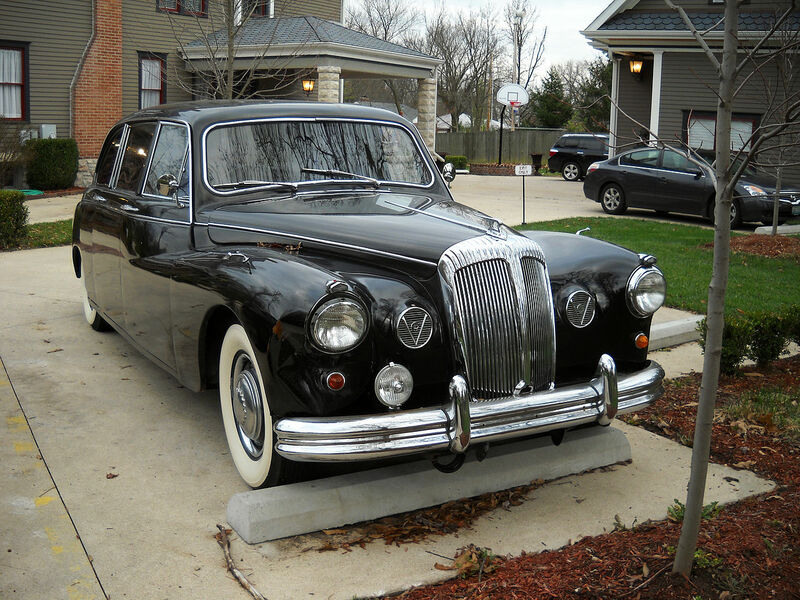 Upon seeing the stranded motorist, Stratton stopped his Daimler and offered assistance. 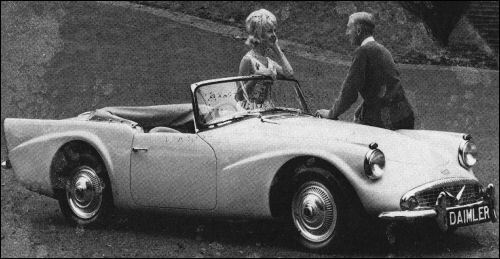 Jenkinson was impressed by Stratton and by his motoring knowledge. 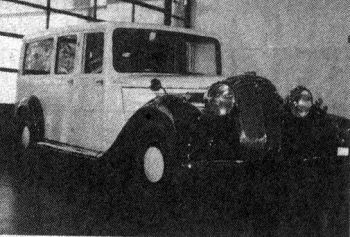 At the time, Jenkinson was looking to replace the head of Daimler’s London depot, a particularly sensitive position because of the royal cars. Taking the position, Stratton soon found himself having to select better royal chauffeurs and mechanics. 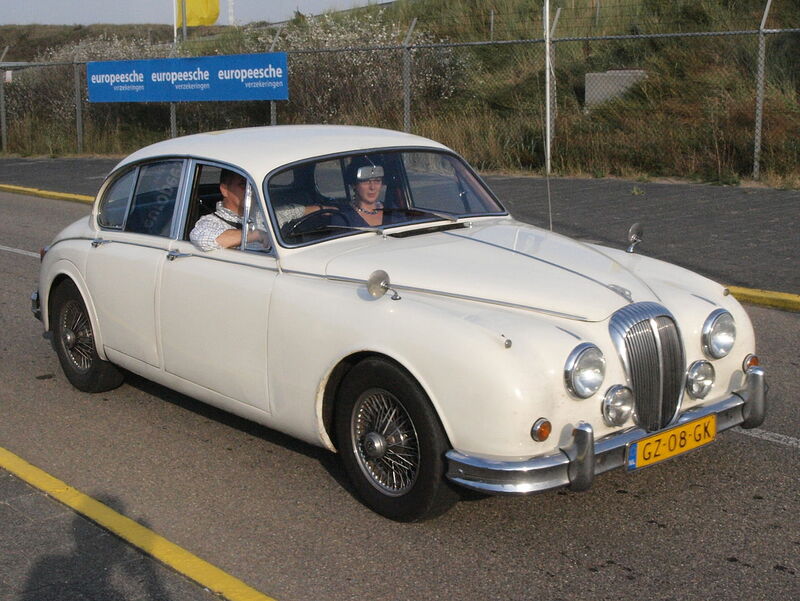 He quickly became an occasional motoring companion to the King. 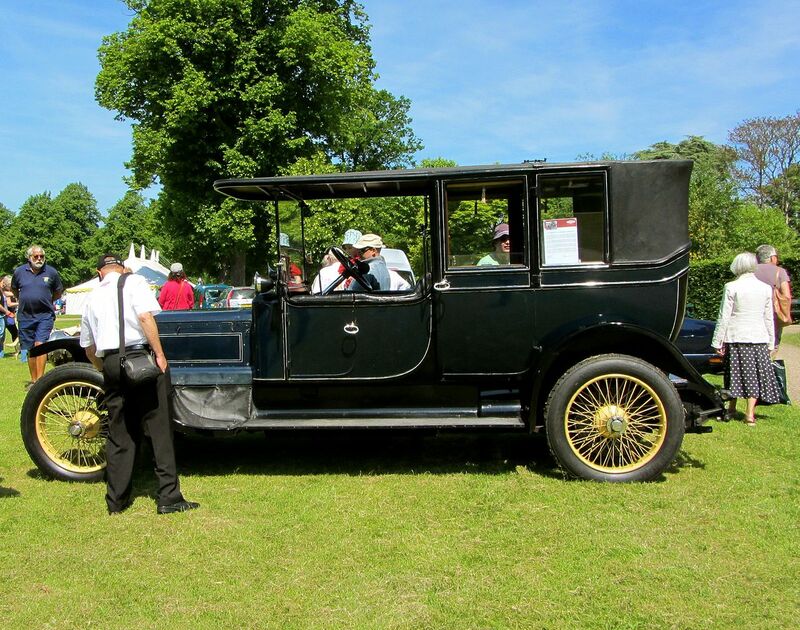 In 1908, through Stratton’s Royal connections, Daimler was awarded a “Royal Appointment as suppliers of motor cars to the Court of Spain” by King Alfonso XIII and a Royal Warrant as “Motor Car Manufacturer to the Court of Prussia” by Kaiser Wilhelm II. 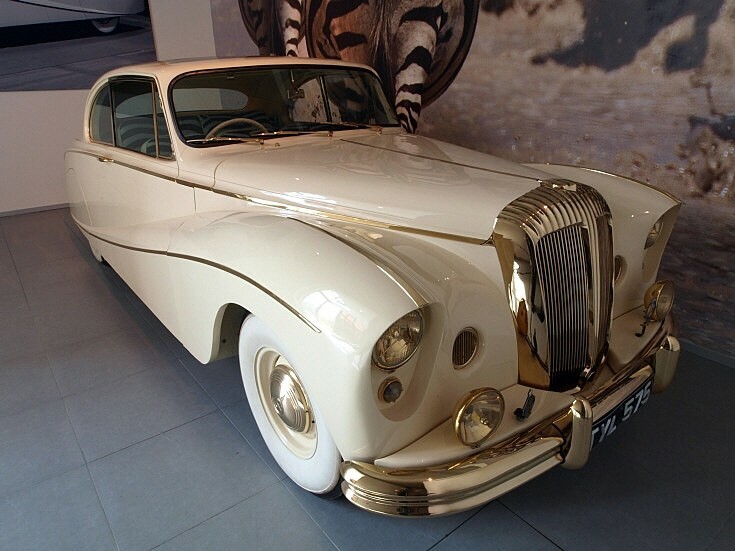 Stratton also sold Daimlers to the Sultan of Johor. In 1911 he spent some weekends at Sandringham tutoring the new Prince of Wales on the workings and driving of an automobile. 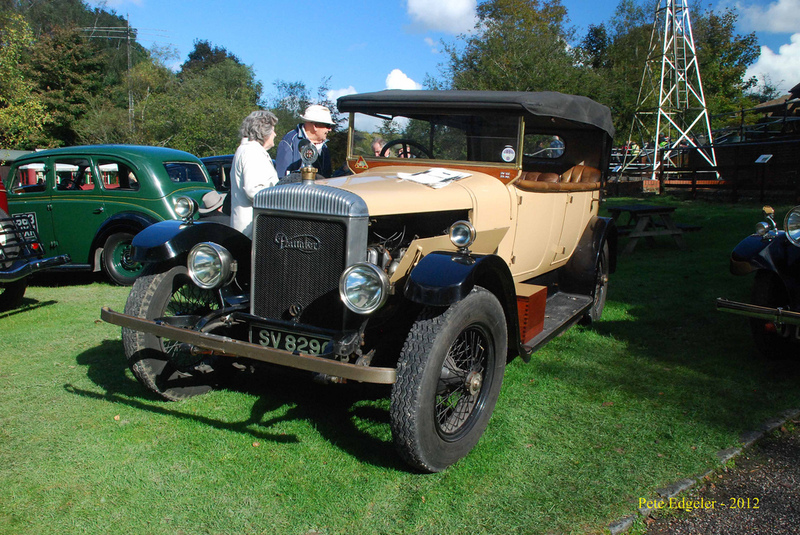 In 1921 Stratton went into partnership with Daimler’s commercial manager Ernest Instone. 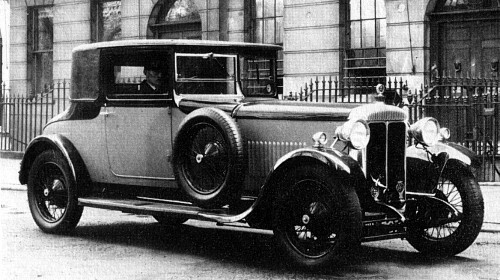 Stratton and Instone took charge of the Daimler showrooms at 27 Pall Mall, naming the business Stratton-Instone. Stratton died in July 1929 after a brief illness. 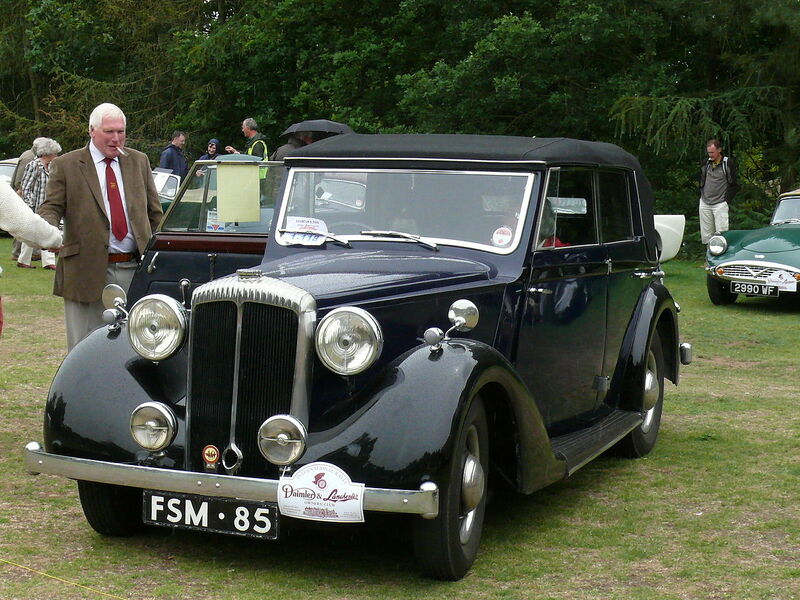 His successors and Instone bought out Daimler’s interest in 1930 and renamed the business Stratstone Limited. The following summer the future King Edward VIII rented Stratton’s house at Sunningdale from his widow. 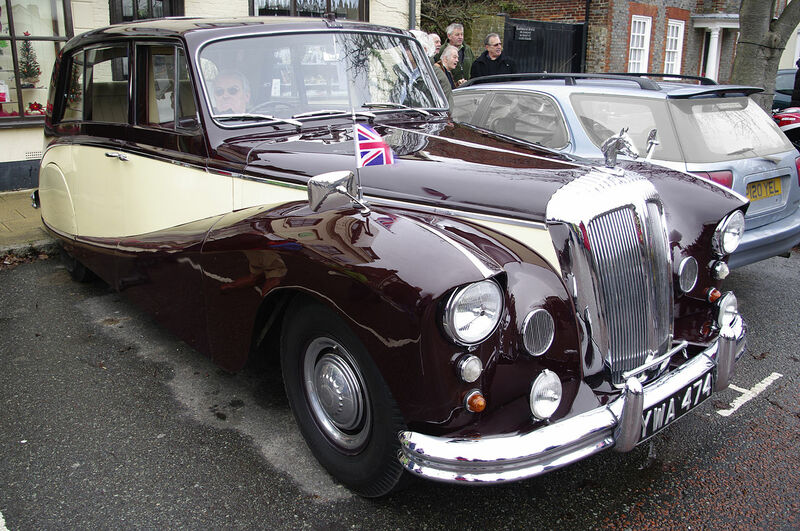 Every British monarch from Edward VII to Elizabeth II has been driven in Daimler limousines. 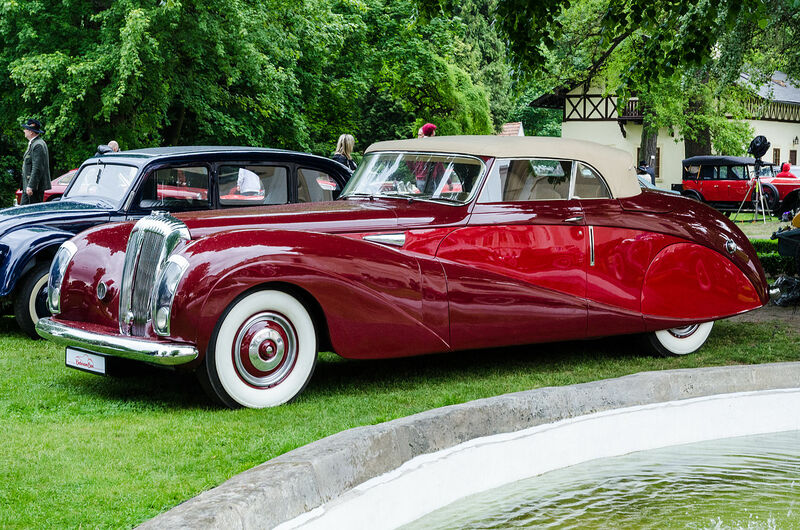 In 1950, after a persistent transmission failure on the King’s car, Rolls-Royce was commissioned to provide official state cars and as Daimlers retired they were not replaced by Daimlers. 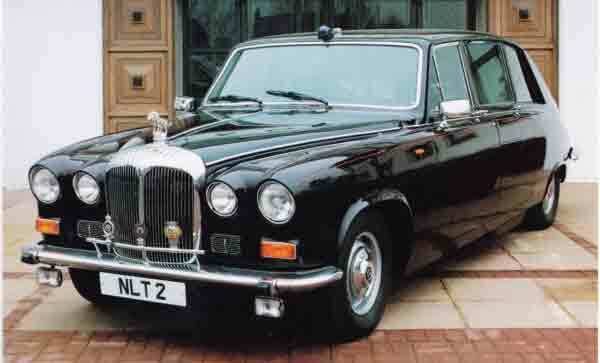 The current official state car is either one of a pair which were specially made for the purpose by Bentley, unofficial chauffeured transport is by Daimler. 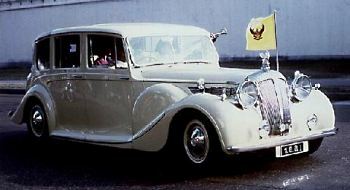 Her Majesty’s own car for personal use is a 2008 Daimler Super Eight but she is also seen to drive herself in other smaller cars. 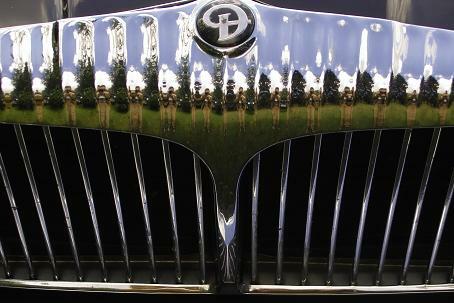 Since 1904, the fluted top surface to the radiator grille has been Daimler’s distinguishing feature. This motif developed from the heavily finned water-cooling tubes slung externally at the front of early cars. Later, a more conventional, vertical radiator had a heavily finned header tank. Eventually these fins were echoed on a protective grille shell and, even later, on the rear licence plate holder. 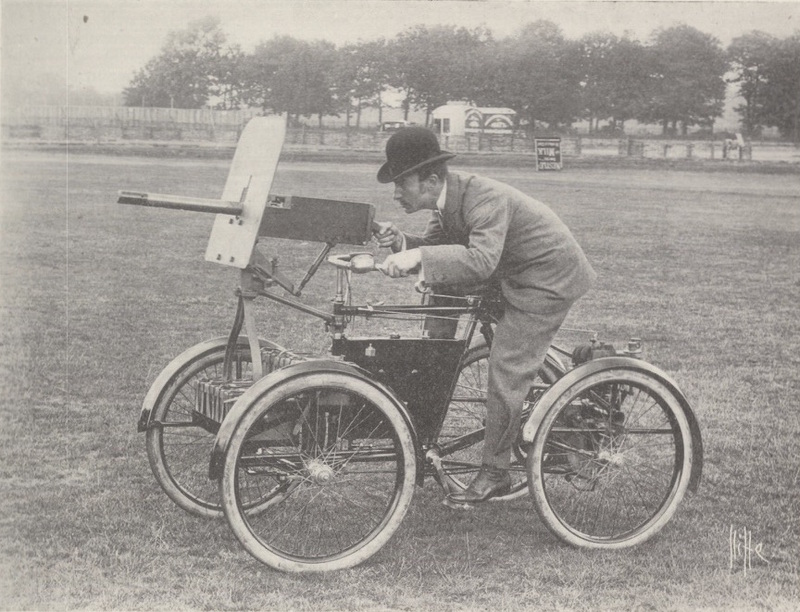 The Royal Automobile Club held a special meeting to discuss the new engine, still silent but no longer “Wholly Knight”. 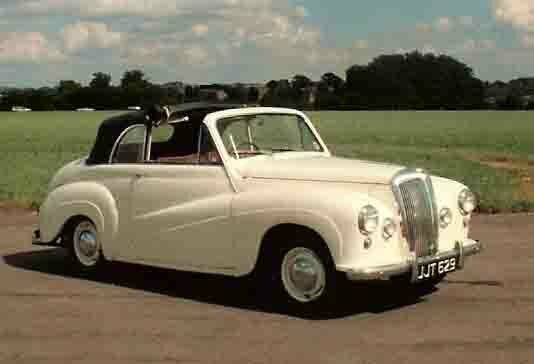 The Autocar reported on “its extraordinary combination of silence, flexibility and power.” Daimler stopped making poppet-valve engines altogether. 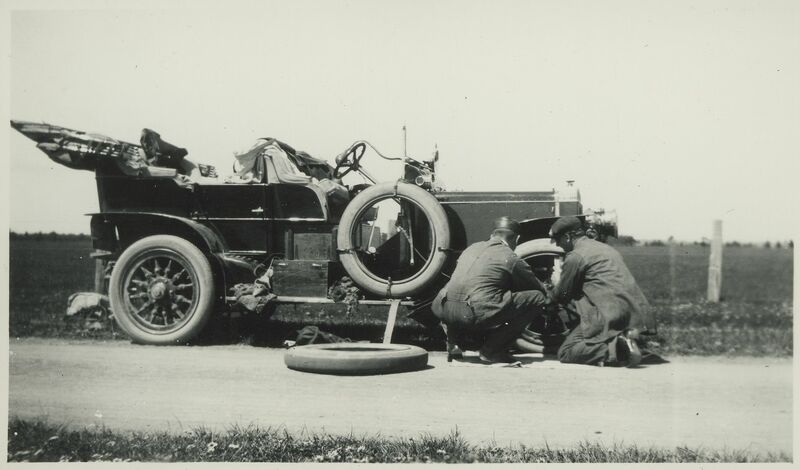 Under the observation of the Royal Automobile Club (RAC), two Daimler sleeve-valve engines were put through severe bench, road, and track tests and, upon being dismantled, showed no visible wear, earning Daimler the 1909 Dewar Trophy. Sales outran the works’ ability to supply. Daimler’s sleeve valve engines idle silently but they left a slight haze of oil smoke trailing behind them. These engines consumed oil at a rate of up to an Imperial gallon every 450 miles, oil being needed to lubricate the sleeves particularly when cold. However, by the standards of their day they required very little maintenance. 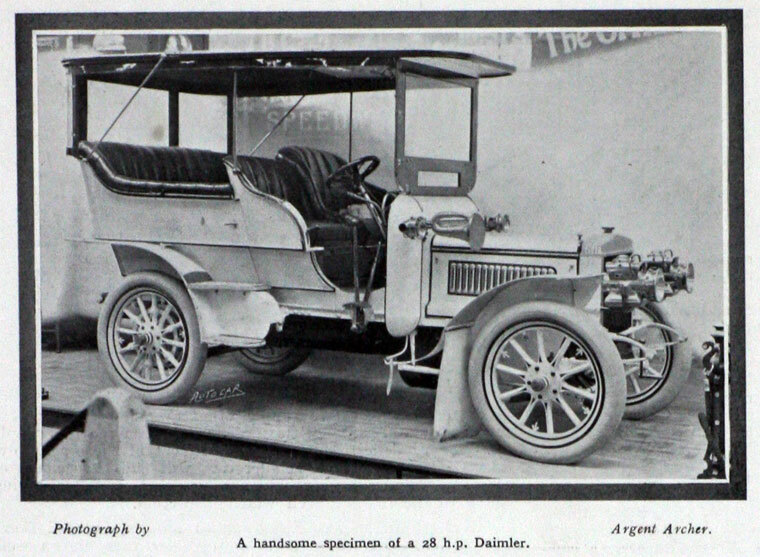 Under an agreement dated 22 September 1910 the shareholders of The Daimler Motor Company Limited “merged their holdings with those of the Birmingham Small Arms Company (BSA) group of companies,”receiving five BSA shares in exchange for four ordinary Daimler shares and ₤1 5s plus accrued dividend for each ₤1 preference share. This deal was engineered by Dudley Docker, deputy-chairman of BSA, who was famous for previous successful business mergers. 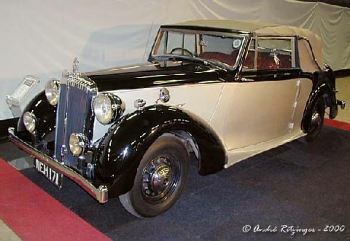 By 1914 Daimlers were used by royal families including those of Great Britain, Germany, Russia, Sweden, Japan, Spain, and Greece; “its list of owners among the British nobility read like a digest of Debrett;” the Bombay agent supplied Indian princes; the Japanese agent, Okura, handled sales in Manchuria and Korea. 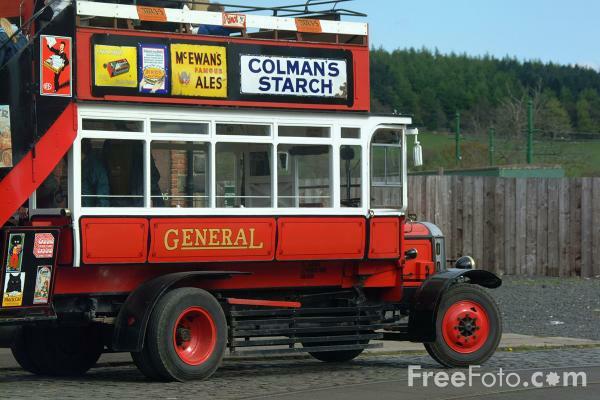 The 40 hp engine and chassis used with the double-decker bus was also used with lorries and drays, while a half-ton delivery van was based on a 12 hp chassis similar to a car chassis. Daimler made a 105 hp 15.9 L sleeve-valve straight-six engine for use in large tractors co-developed with William Foster & Co. for the South American market. 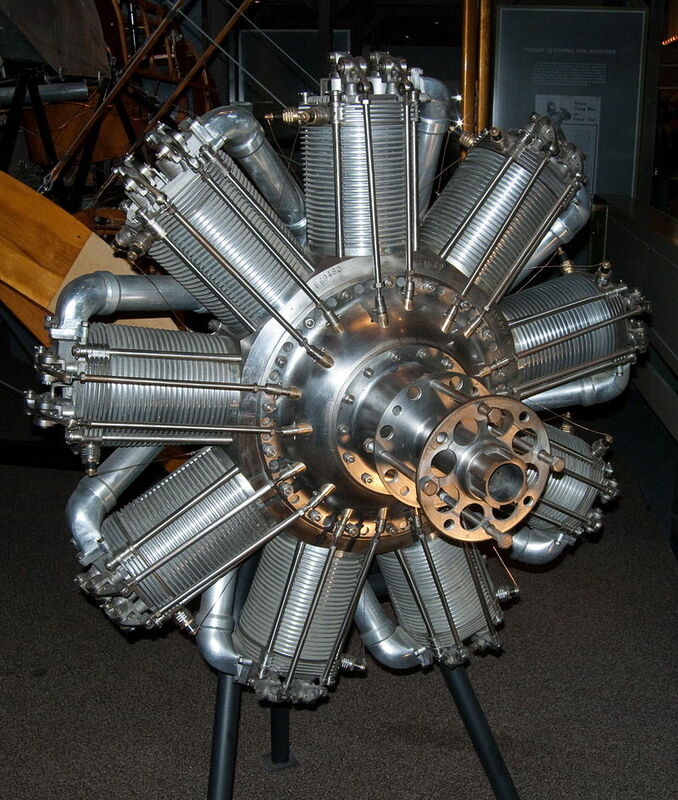 The first aircraft engine manufactured by Daimler was the 80 hp Gnome Monosoupape rotary. With no drawings available to them, Daimler’s Gnome engines were reverse-engineered from an engine delivered to them on 7 August 1914. 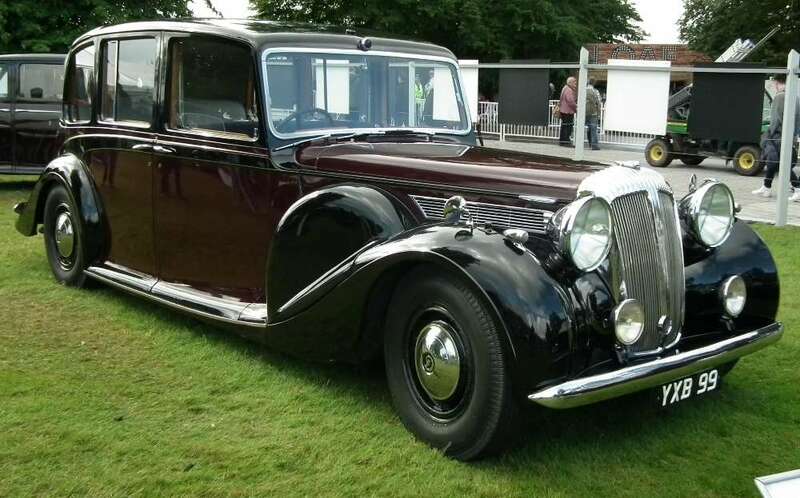 Daimler later built the RAF 1 and 1a air-cooled V8s, the RAF 4 and 4a V12s, the Le Rhone rotary, and the Bentley BR2 rotary alongside other manufacturers. 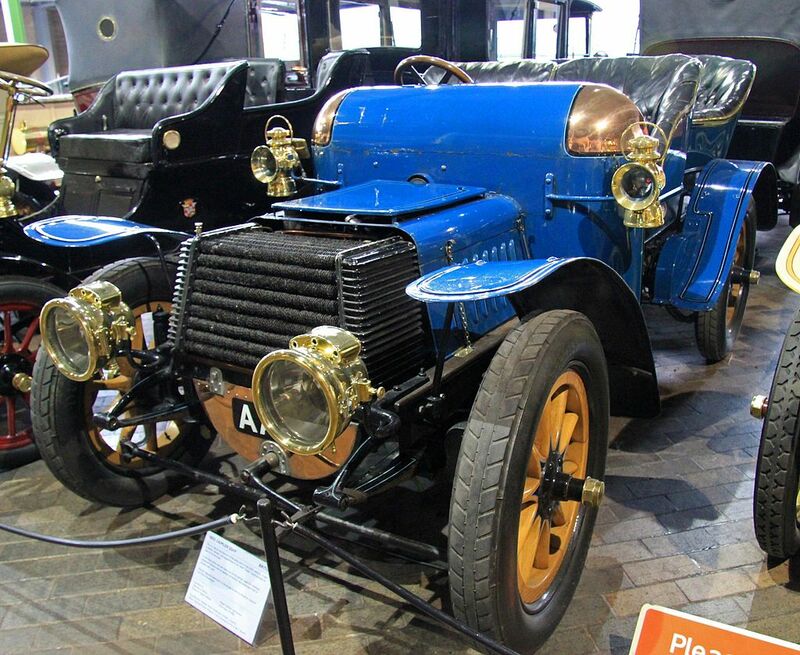 Production of RAF 4 engines gave Daimler experience in building V12 engines which would be appreciated when they later designed and built “Double-Six” V12 engines for their large cars. 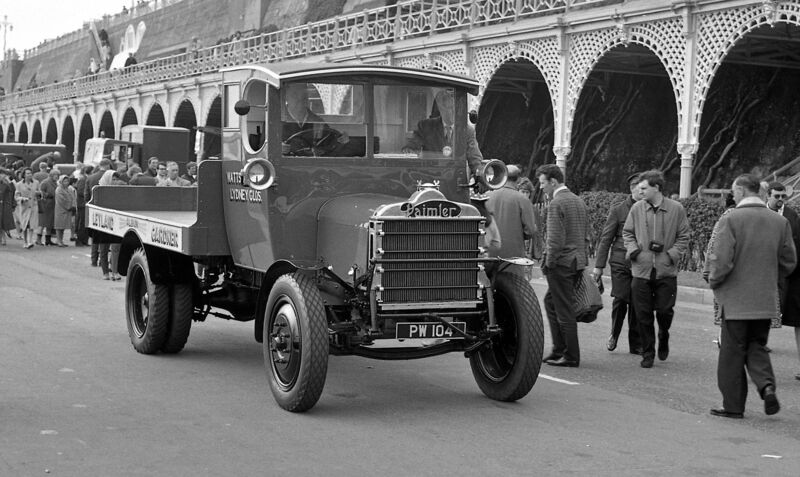 Before the war, Daimler had been making 105 hp engines for tractors made by Fosters of Lincoln for the South American market. 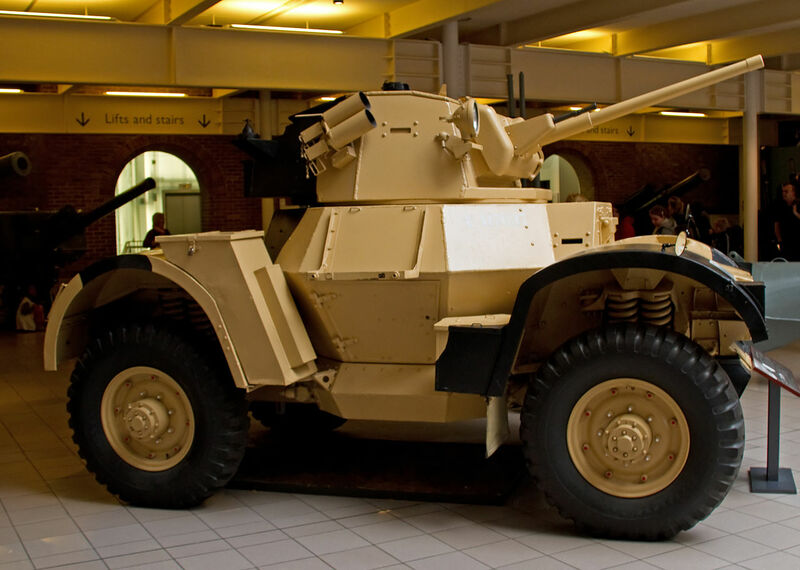 These tractors were developed into artillery tractors to haul 15-inch (380 mm) howitzers. 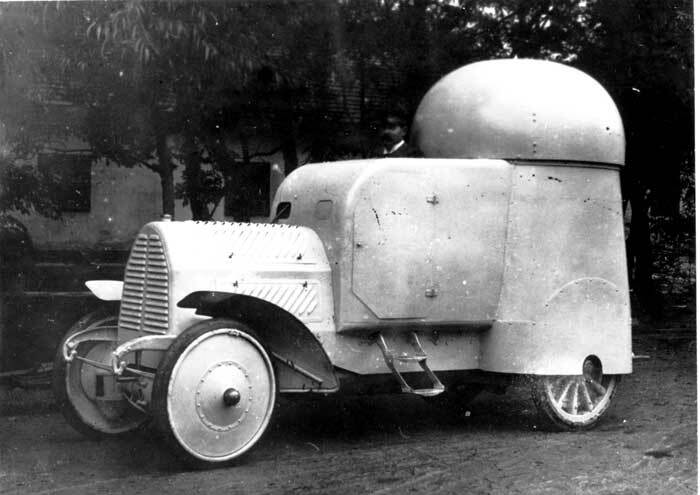 Production of the artillery tractors began on 3 December 1914. 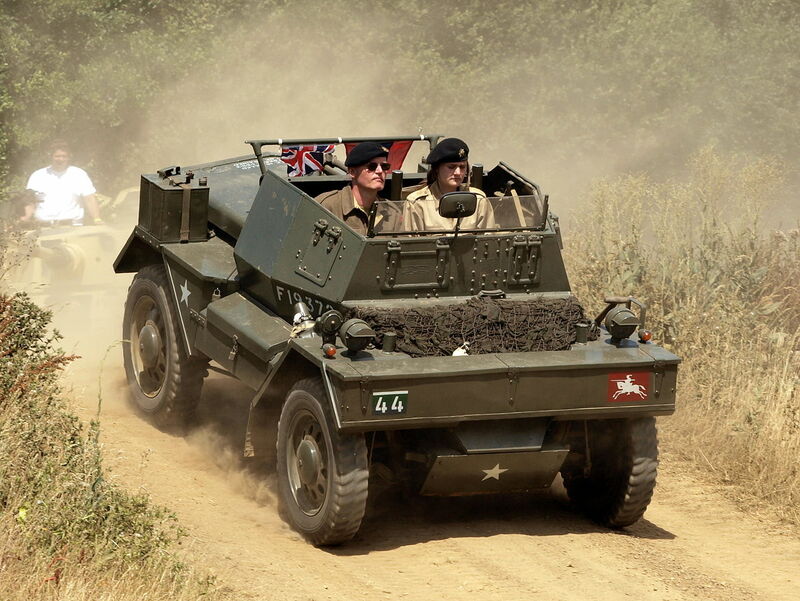 These engines were later used for the first British tanks ever built, the prototypes “Little Willie” and “Mother” and later in the production Mark I tank. One major difficulty for the tanks was the fine oil haze above their Daimler engines which the enemy quickly learned meant tanks were operating nearby if out of sight. 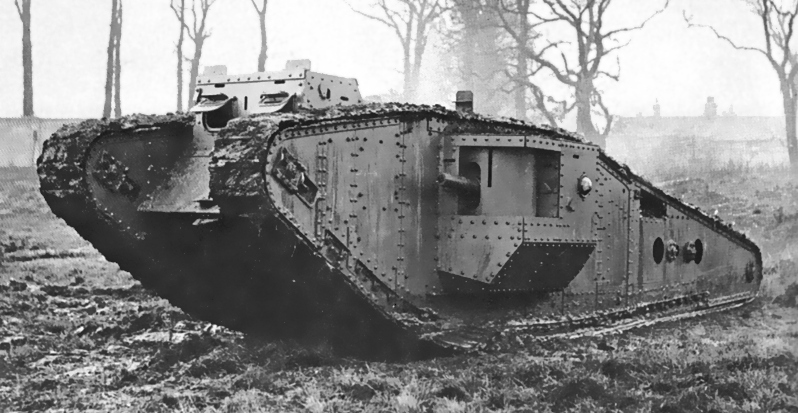 The early tanks weighed up to 28 tons. 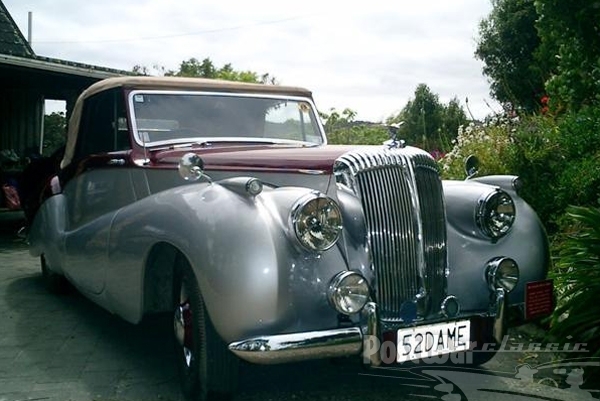 They were all Daimler powered. 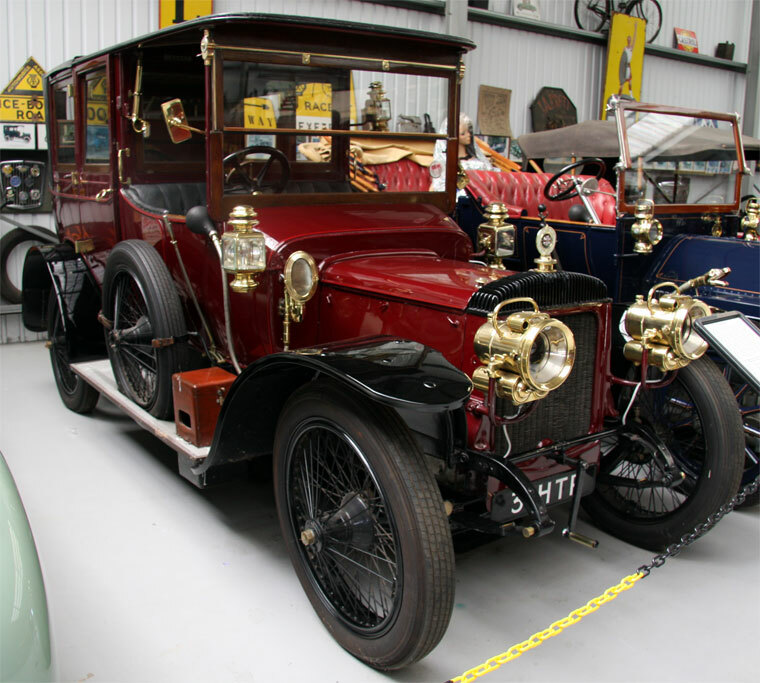 The Mark IV tank – the first major improvement in design – had uprated engines delivering 125 hp; these engines had aluminium pistons and are believed to have been designed by W. O. Bentley while he was working on the Bentley BR1 rotary engine in Coventry. 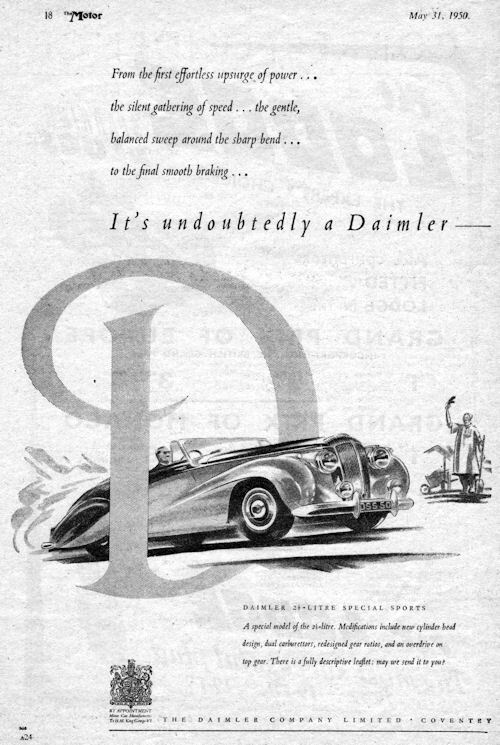 After the Armistice it was decided that Daimler Hire should extend its luxury travel services to include charter aircraft through a new enterprise, Daimler Air Hire. Following the take-over of Airco and its subsidiaries in February 1920 services included scheduled services London-Paris as well as “Taxi Planes” to “anywhere in Europe”. In 1922 under the name of Daimler Airway services extended to scheduled flights London to Berlin and places between. 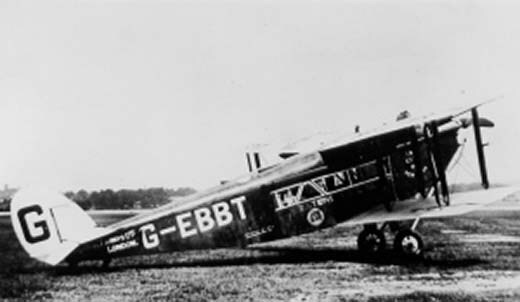 Frank Searle, managing director of Daimler Hire and its subsidiaries moved with his deputy Humphery Wood into the new national carrier Imperial Airways at its formation on 1 April 1924. 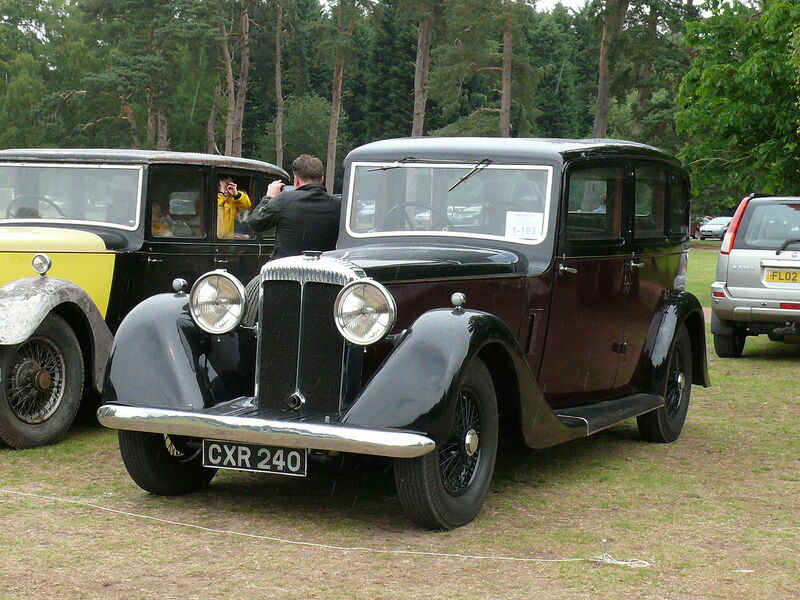 Searle and Wood and their Daimler Airway machines formed the core of Imperial Airways operations. 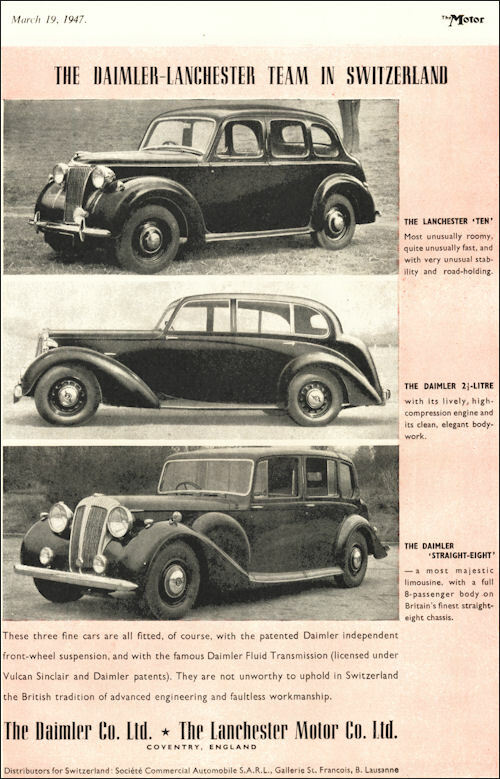 In 1930 the bulk of Daimler’s shareholding in its subsidiary Daimler Hire Limited was sold to the Thomas Tilling Group and, in January 1931, Daimler completed the purchase of The Lanchester Motor Company Limited. 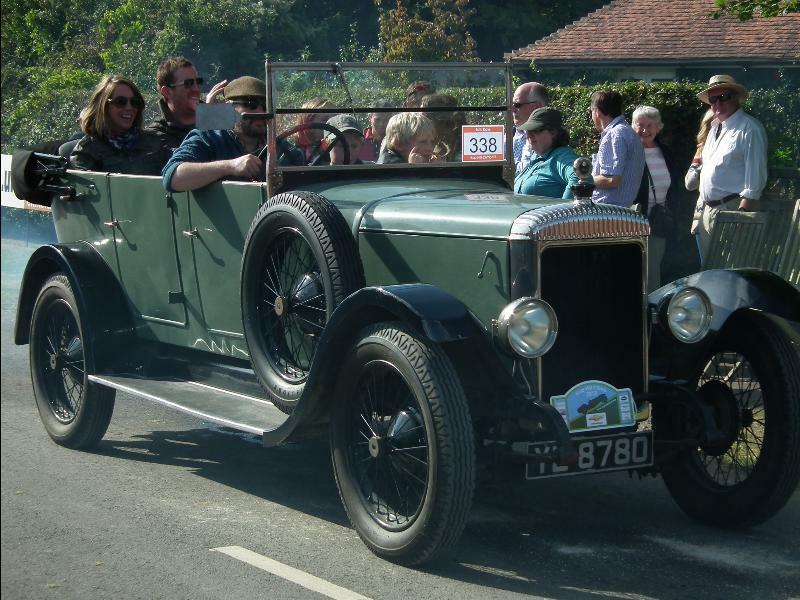 The new Lanchester 15/18 model introduced in 1931 was fitted with Daimler’s fluid flywheel transmission. 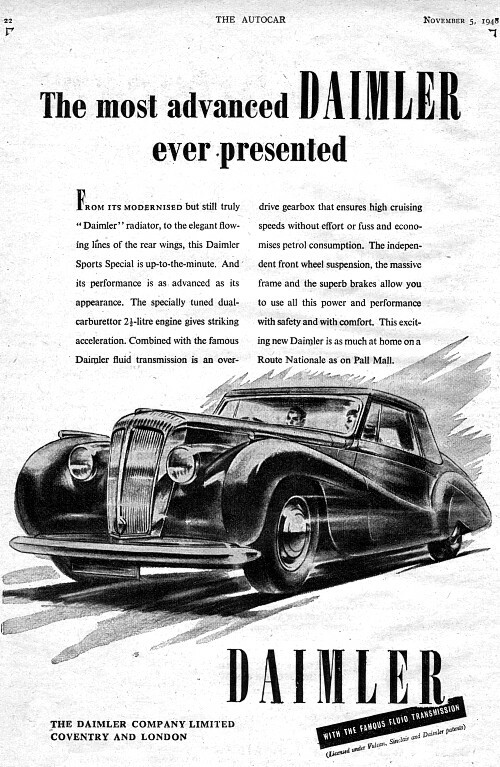 The divisiveness of the Daimler board did not end with the BSA takeover, but continued into the board of BSA. 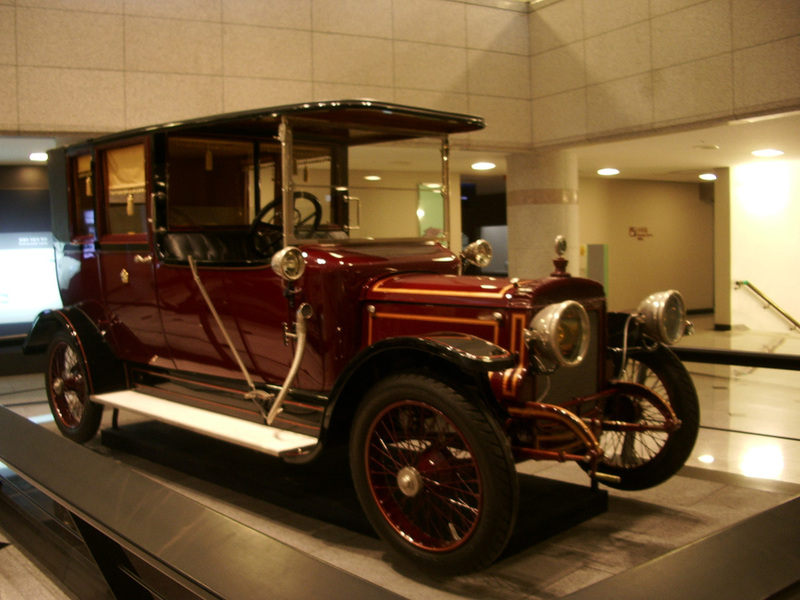 Despite this, Daimler prospered until the late 1920s, increasing its profits and its reputation. Along with an apprenticeship programme that was among the best in the British industry at the time, they attracted a large number of pupils out of public schools. 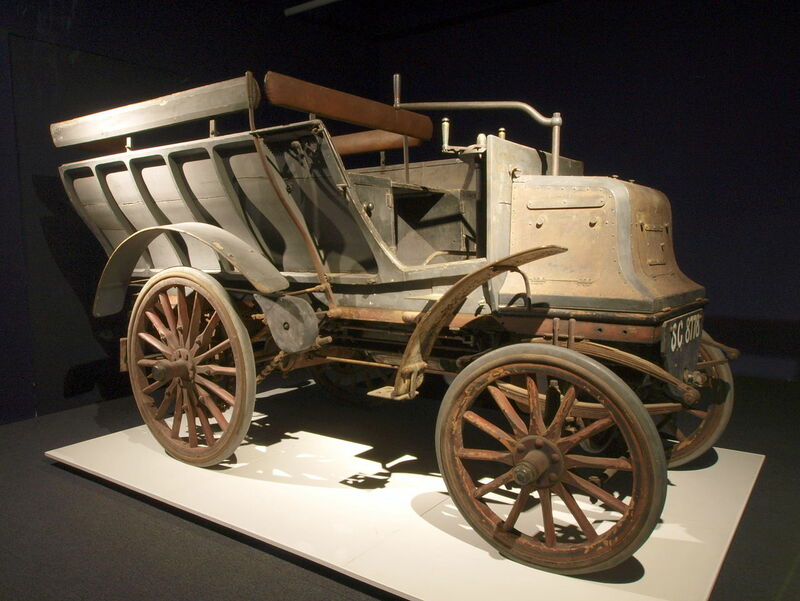 During the First World War, Daimler’s labour force grew from 4,000 to 6,000 men. 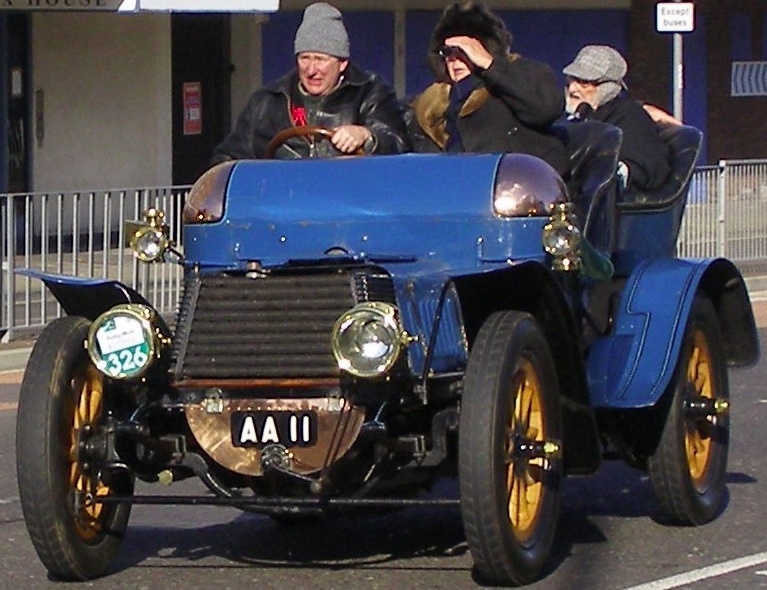 The acquisition of Airco in February 1920 was a financial disaster for the BSA group. Percy Martin had been strongly in favour of the purchase, including Airco’s extensive production facilities near London, and no one thought to examine Airco’s true circumstances, leading to liabilities in excess of 1.3 million pounds. All dividends were passed from 1920 to 1924. 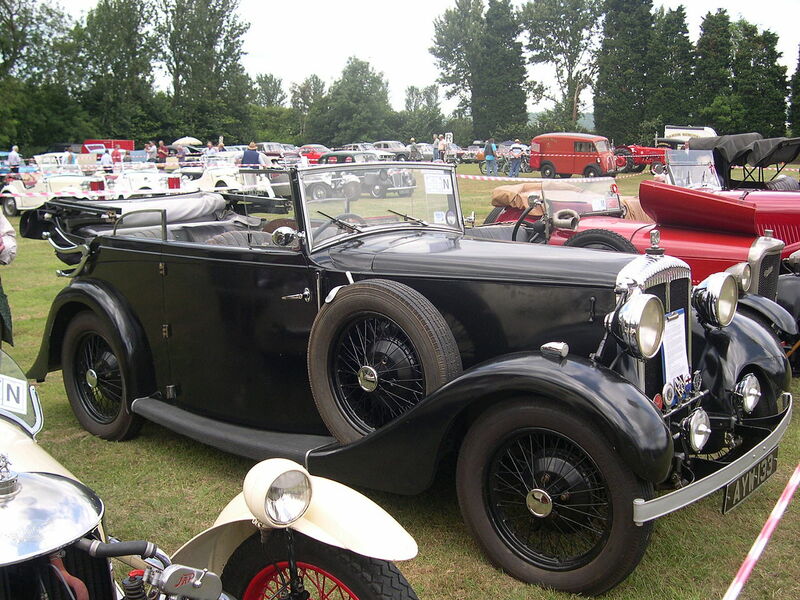 By 1930, the BSA Group’s primary activities were BSA motorcycles and Daimler vehicles. 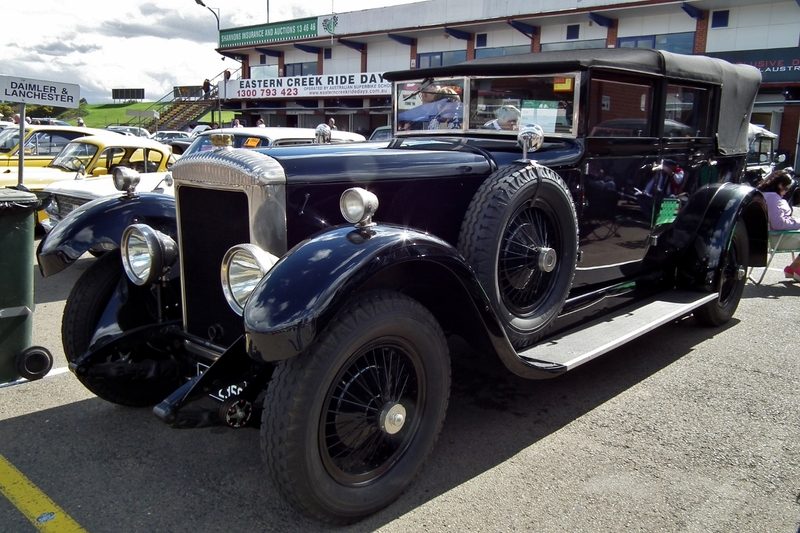 However, all the quality car businesses experienced financial difficulties in the late 1920s. Daimler’s situation seemed particularly serious. Sales fell sharply in 1927–1928, a period of losses ensued and no dividends were paid between 1929 and 1936. 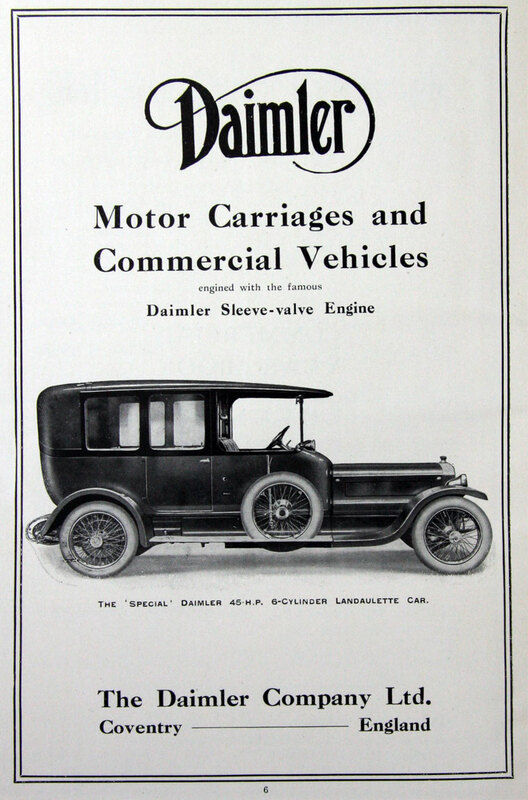 The sleeve valve engine was outdated, Daimler’s production methods had become old-fashioned, they had an extravagantly large range of products. Their bankers noted the decreasing sales volume, the poor performance for price and the need for up-to-date machine tool equipment. Stratton-Instone’s dominance of distribution was removed and other outlets arranged. 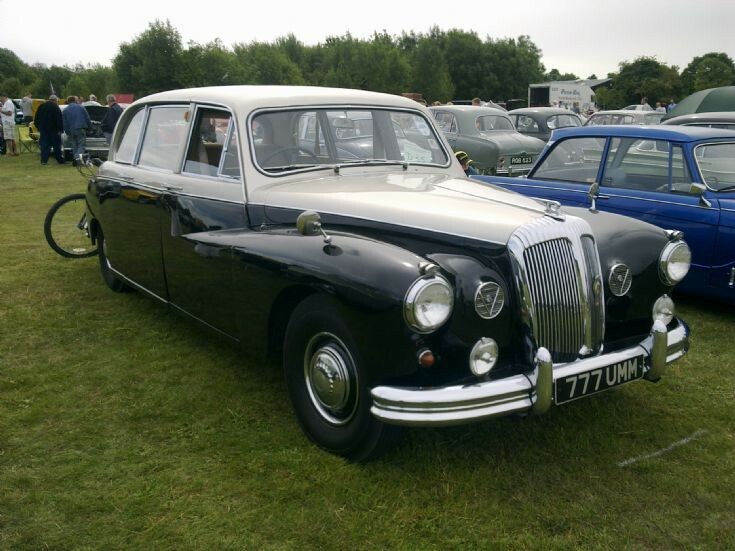 The interests in Singer and the Daimler Hire business were sold and Lanchester bought. 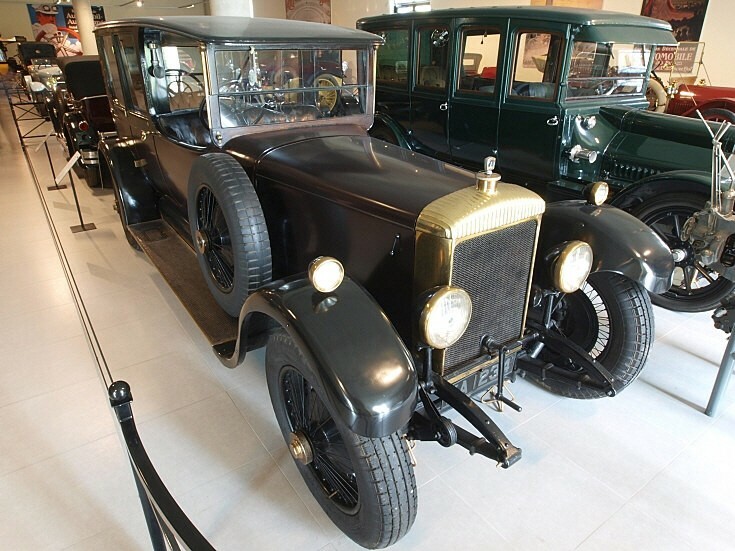 The in-house bodywork department was closed and by the spring of 1931 car production ceased, only commercial vehicle production and aero engine work kept Daimler in business. 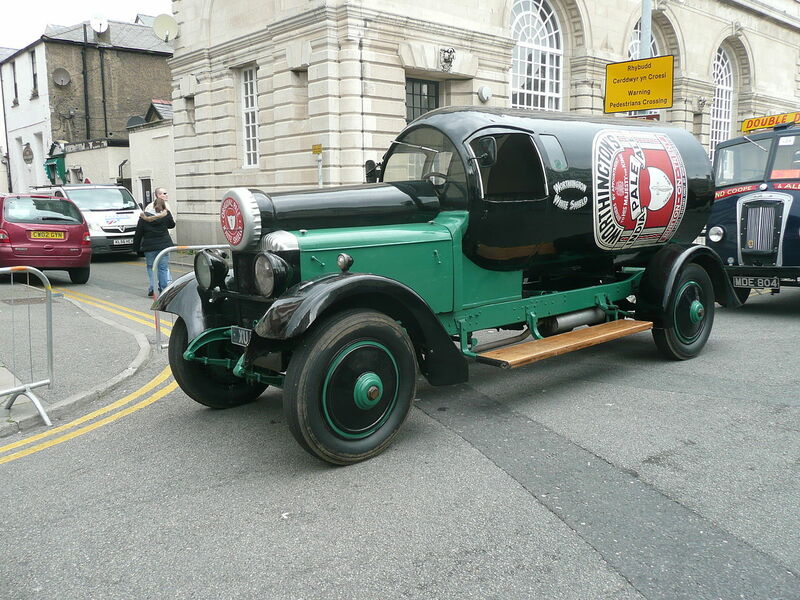 …and of Worthington’s India Pale Ale. 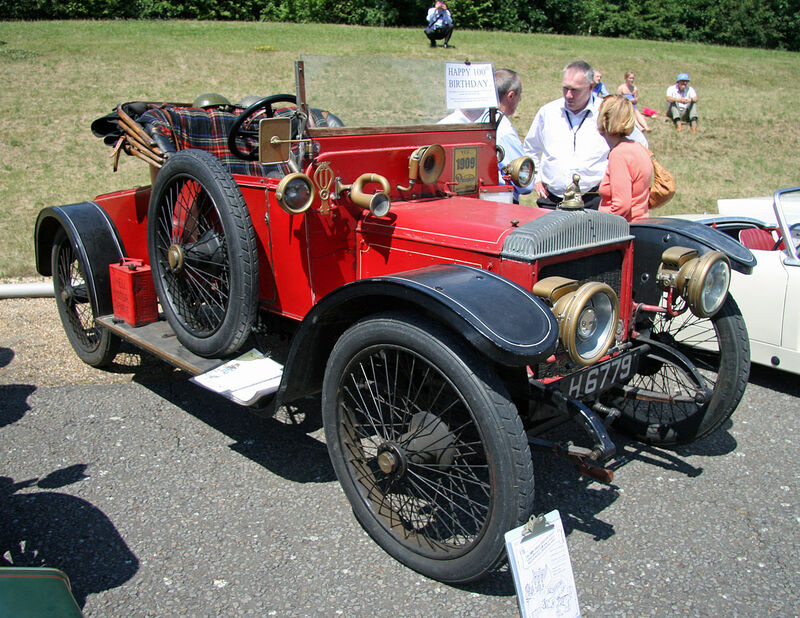 From before the merger of Daimler into the BSA group the core of Daimler’s management was formed by chairman Edward Manville, works manager Percy Martin, and sales manager Ernest Instone, who left Daimler in 1921 to start auto dealer Stratton-Instone, and was responsible for Daimler sales in England and Wales thereafter. Instone died in 1932, Manville died in 1933, and Martin, who in January 1934 replaced Alexander Roger, Manville’s replacement, as chairman, retired in 1935. 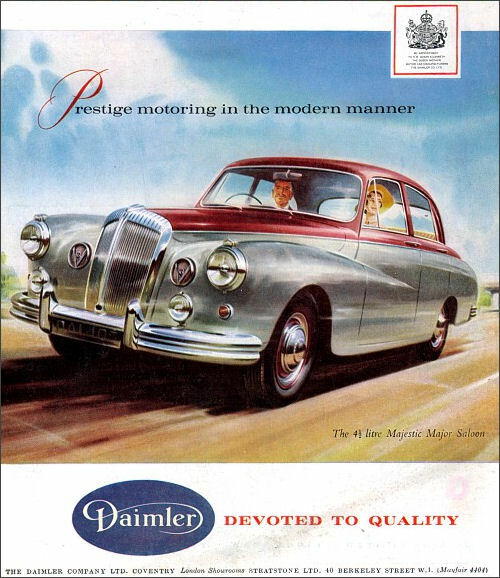 In May 1936 Laurence Pomeroy was fired as managing director of Daimler with immediate effect. 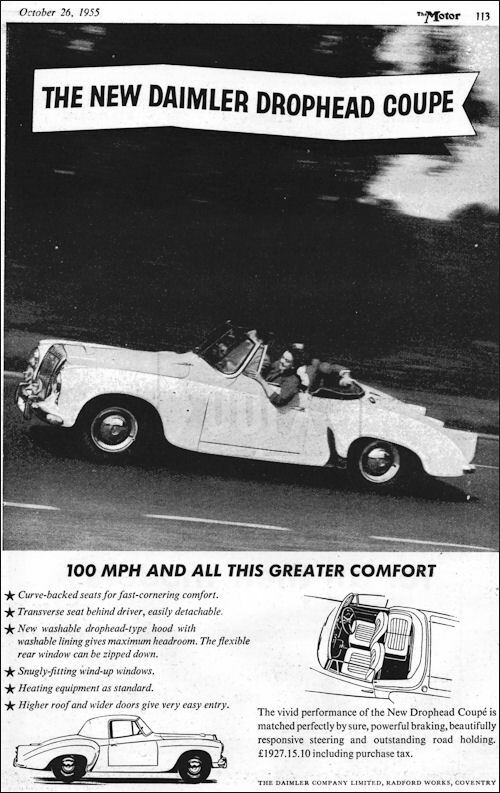 Daimler was not paying dividends and the 1936 BSA shareholders’ meetings were stormy. 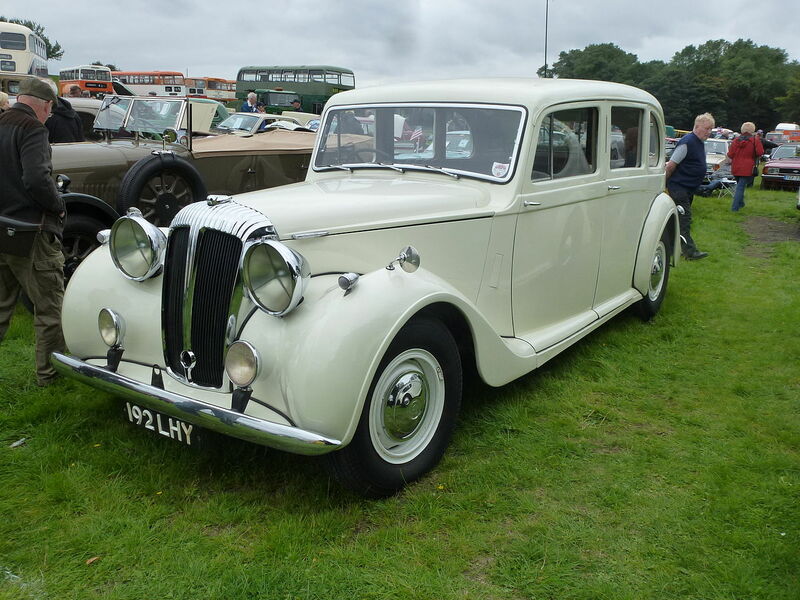 Attempted solutions had included the Lanchester acquisition and the introduction of smaller cars, the lower-priced 10 hp Lanchester and its matching but six-cylinder stable-mate the Daimler Fifteen (later DB17 and DB18) introduced in the early thirties. 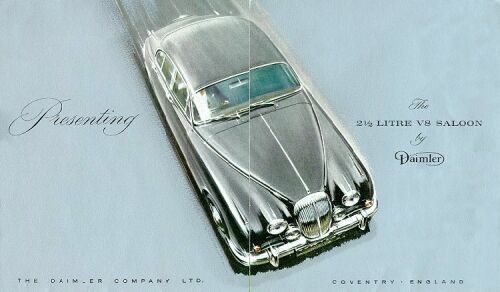 This particular product line as the Lanchester Fourteen and Daimler Conquest was to run through to almost the very end. 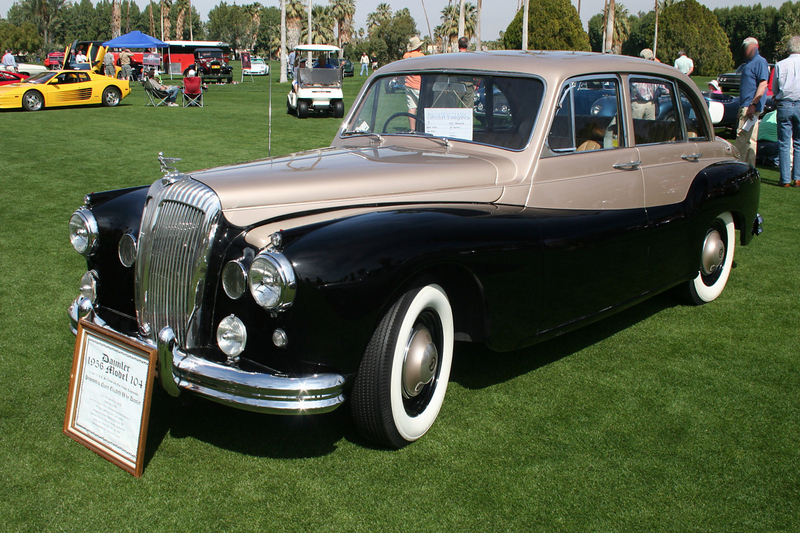 Edward H. W. Cooke attempted a revival and from 1937 introduced saloons with a freshness of design new to Daimler. The new products had successes in competitions and rallies. 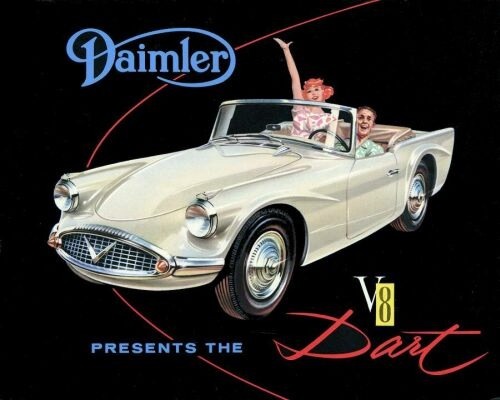 His policy was proved sound but another war, post-war austerity and yet more boardroom battles, this time in public, seemed to put an end to Daimler’s once-proud business. 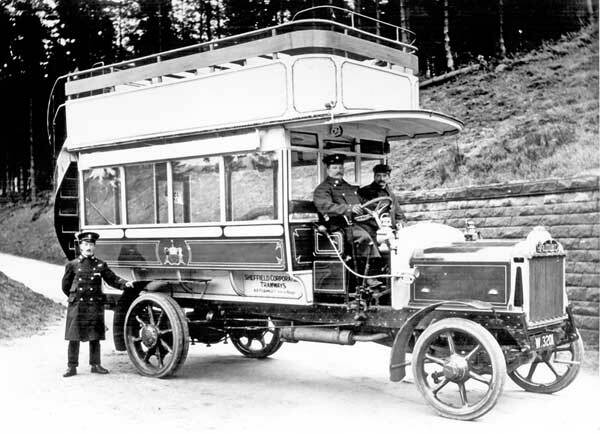 In 1928 Daimler started testing the “Fluidrive” system in a bus chassis. This system, patented by Harold Sinclair in 1926, applied Hermann Föttinger‘s fluid flywheel to replace the clutch in the transmission systems of road vehicles. Daimler was initially interested in the fluid flywheel for use in commercial vehicles, but Martin decided to develop the system for use in passenger cars as well. 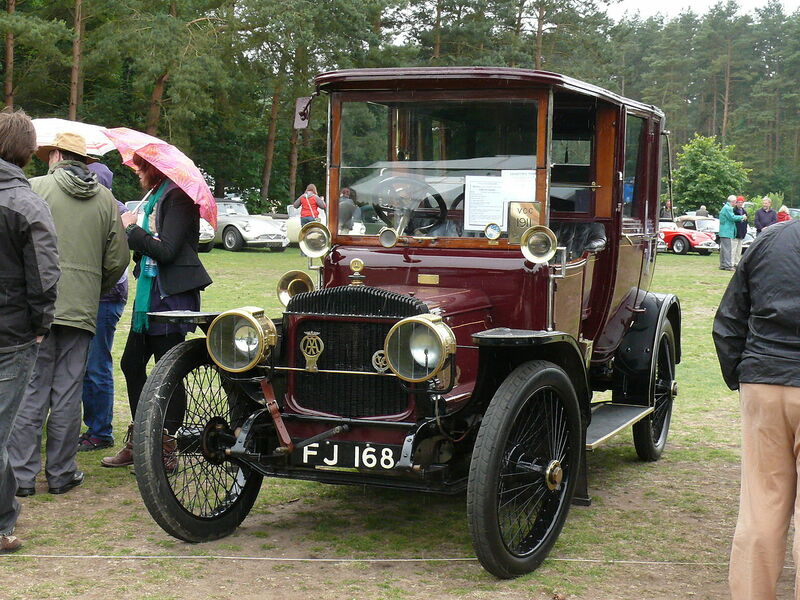 Martin and Pomeroy originally intended to use the fluid flywheel with a conventional gearbox. 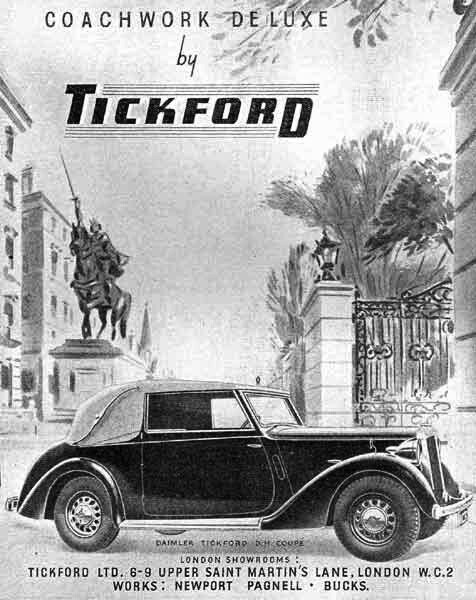 Their consultant, Frederick Lanchester, warned them that putting a car with that combination on the market would be “a terribly big gambling risk,” and an accident in March 1929 where a Double-Six 30 with a prototype transmission damaged a garage in Devon after Pomeroy left it idling while in gear may have shown the nature of this risk. 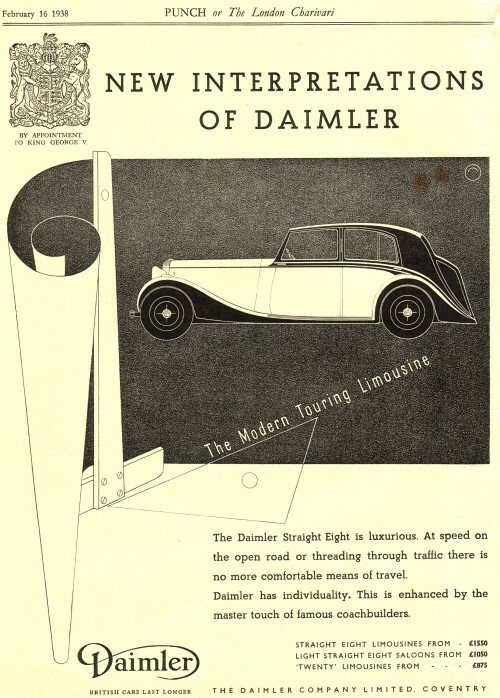 By October 1930, when Daimler introduced the fluid flywheel on their new Light Double-Six for an extra £50, it was used with the self changing gearbox developed by W. G. Wilson. 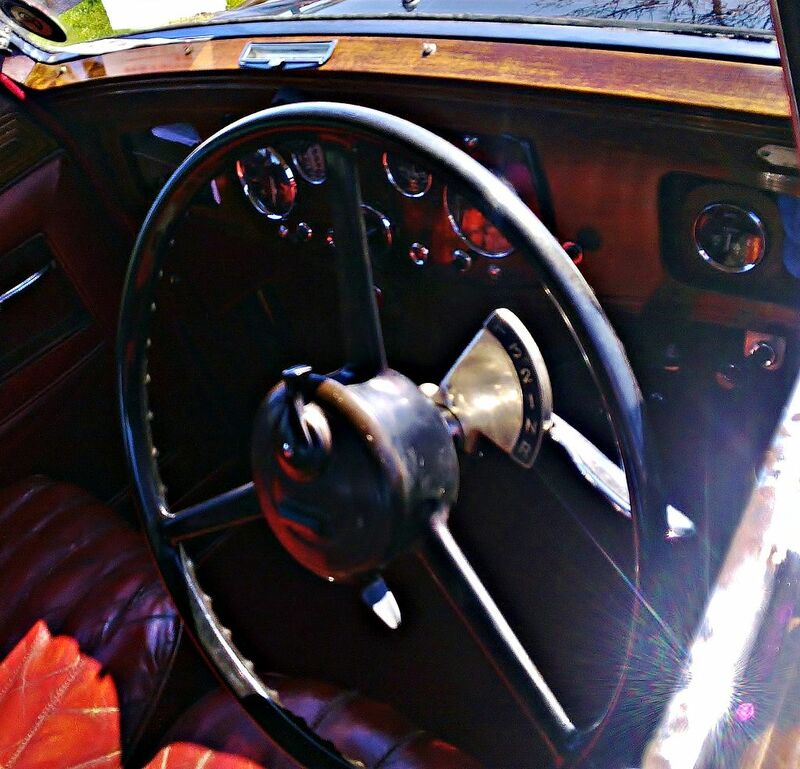 Martin and the Daimler Company patented their refinements to Sinclair’s system in 1930. By November 1933 the combination of fluid flywheel and Wilson preselector gearbox was used in all Daimler vehicles, “ranging from 10 h.p. passenger cars to double-deck omnibuses” according to the chairman’s report to the shareholders at their Annual General Meeting that month. According to the same report, “more than 11,000 vehicles” were using the transmission by that time. Daimler would continue to develop and use these transmissions until 1956, when Borg-Warner fully automatic units were offered initially as an alternative but later as standard. 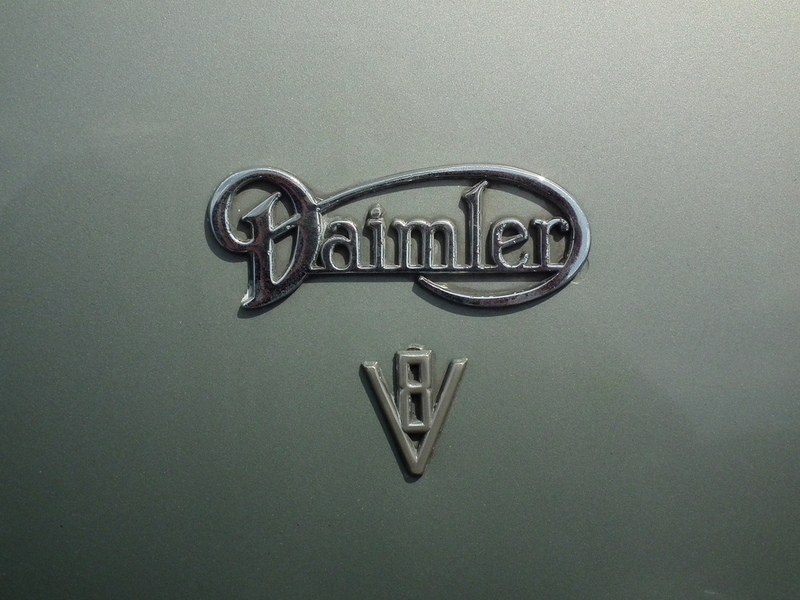 During World War II, Daimler turned to military production. 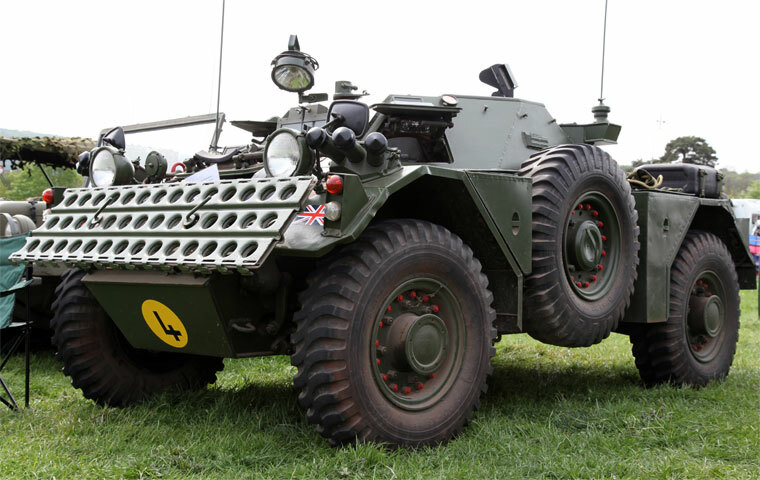 A four-wheel-drive scout car, known to the Army as the Dingo had a 2.5-litre engine and the larger Daimler Armoured Car powered by a 4.1-litre engine and armed with a 2-pounder gun were produced, both with six-cylinder power units, fluid flywheels and epicyclic gearboxes. 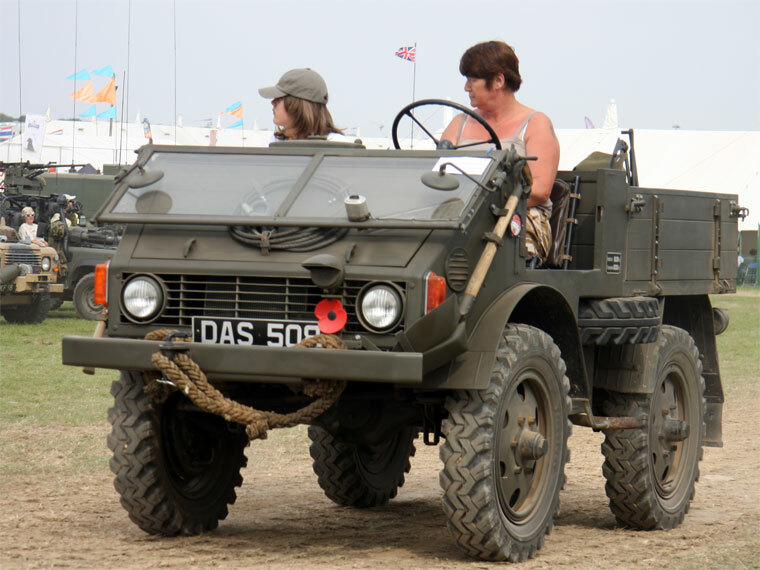 These military vehicles incorporated various innovative features including disc brakes on all four wheels.The Dingo was designed by parent company BSA and took the name “Dingo” from an unsuccessful competitor submitted by Alvis. Instead of building complete aircraft as they had in World War I, Daimler built aircraft components, including 50,800 Bristol radial aero-engines—Mercury, Hercules and Pegasus—with full sets of parts for 9,500 more of these engines, propeller shafts for Rolls-Royce aero-engines, and 14,356 gun-turrets for bombers including their Browning machine guns. In all, Daimler produced more than 10 million aircraft parts during the war. 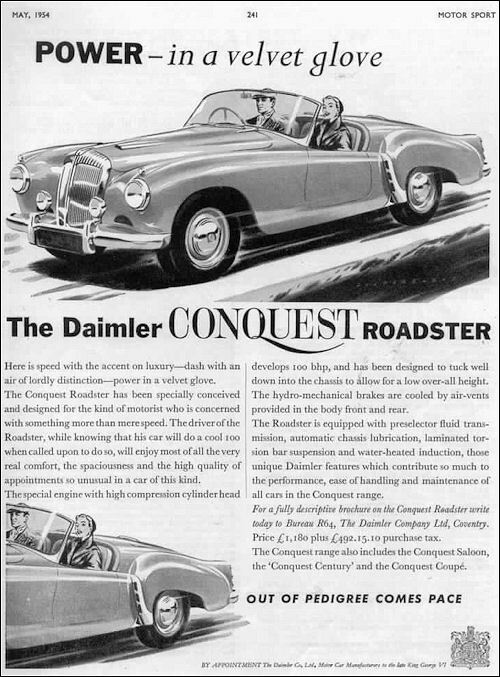 All this production is Daimler’s alone excluding BSA’s other involvements. 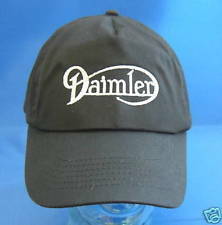 Daimler’s peak workforce, 16,000 people, was reached in this period. 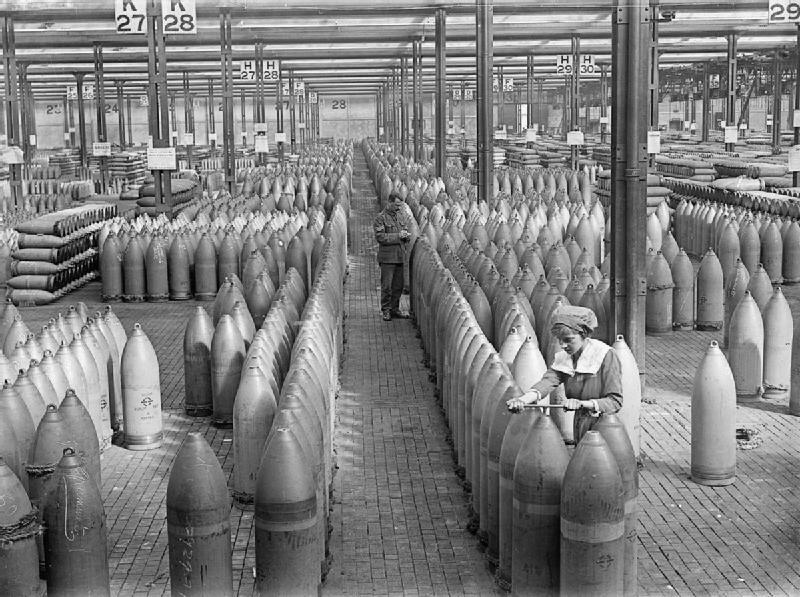 The original Sandy Lane plant, used as a government store, was destroyed by fire during intensive enemy bombing of Coventry, but there were by now ‘shadow factories’ elsewhere in the city including one located at Brown’s Lane, Allesey. 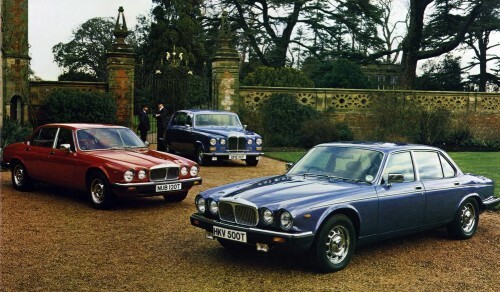 After the Jaguar takeover, the factory at Brown’s Lane became the principal Jaguar car plant for several decades. The factory has since been torn down. 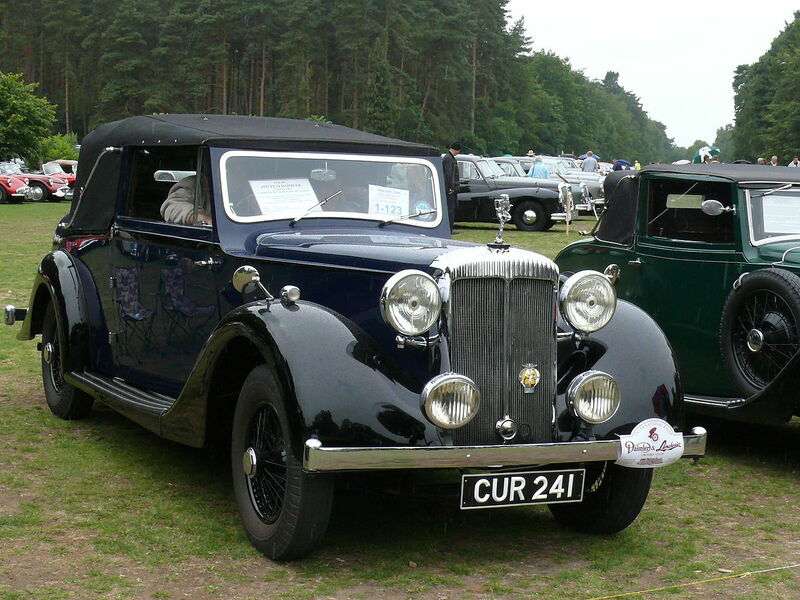 Winston Churchill campaigned for the 1945 and 1950 general elections in the DB18 two-door drophead coupé he had ordered in 1939. 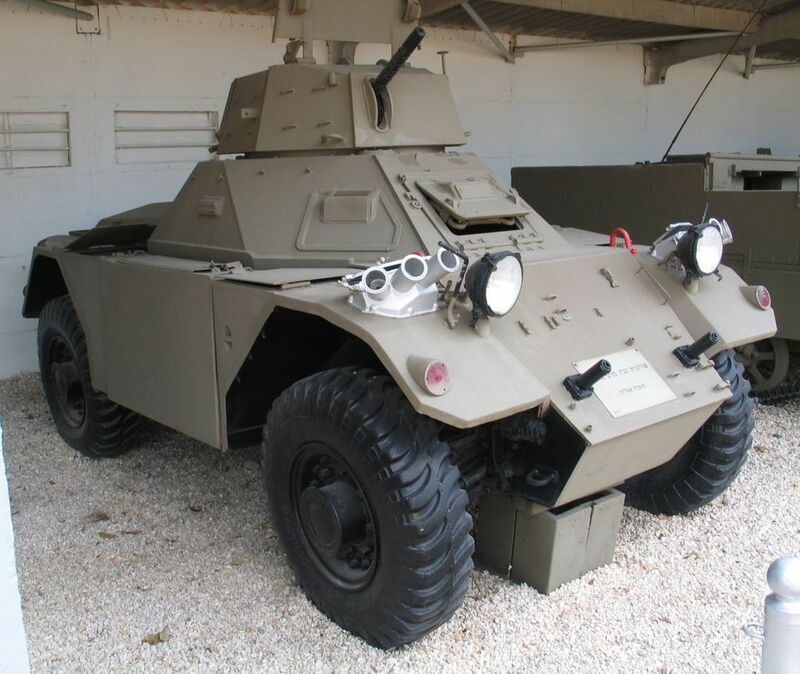 The government ordered new limousines for the commanding officers of the occupying forces. 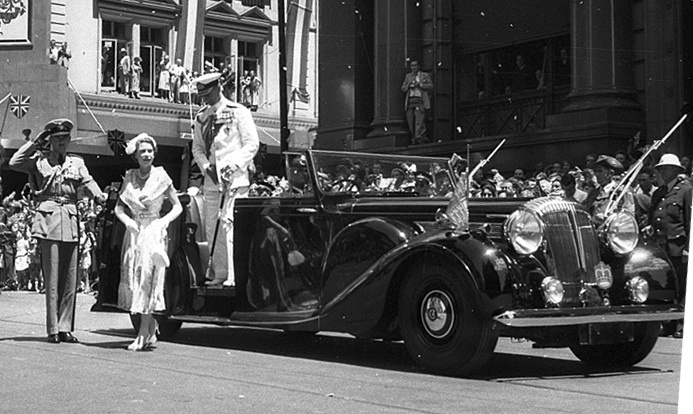 New straight-eights were supplied to the former colonies for the planned royal tours. 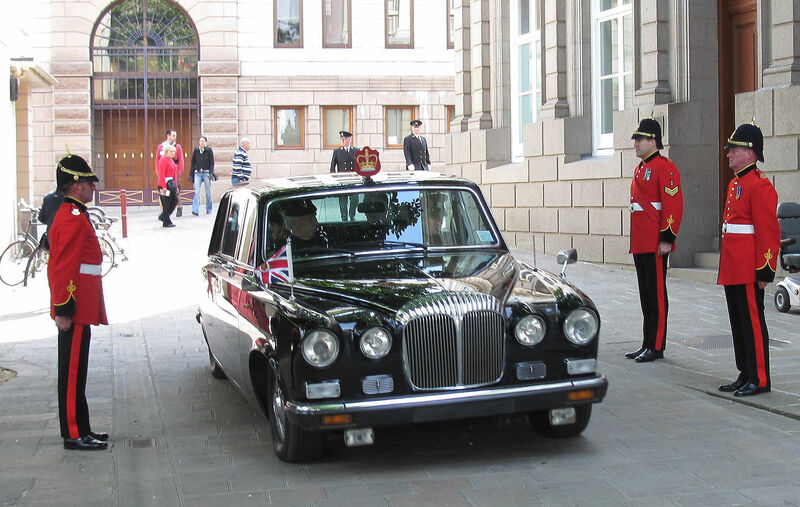 The first Daimler limousines to be delivered after the war went to embassies and consulates in Europe and to the Lieutenant-Governors of Jersey and Guernsey. 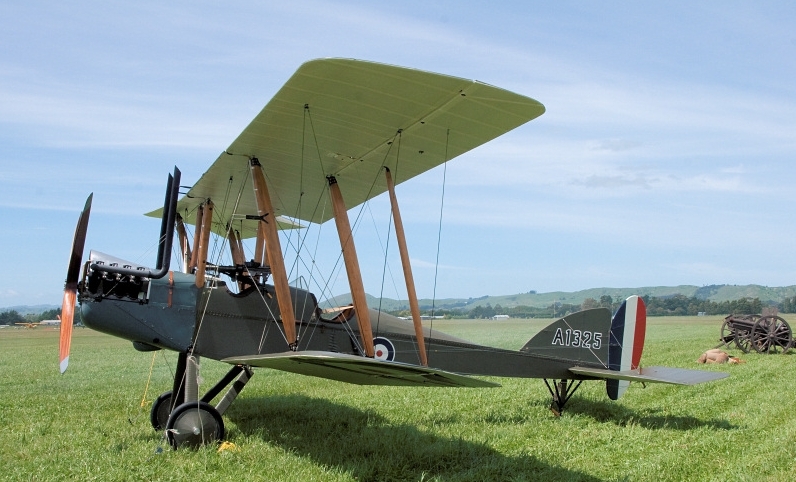 These were Straight-Eights built largely from pre-war stock. 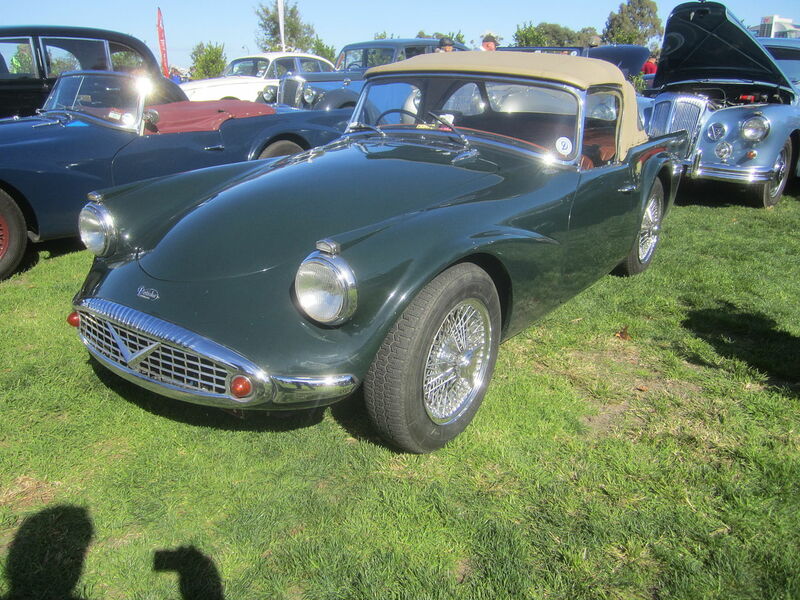 The first post-war model was the Eighteen, a development of the pre-war Fifteen using the Scout Car’s 2.5 L engine with a new high-compression cylinder head. 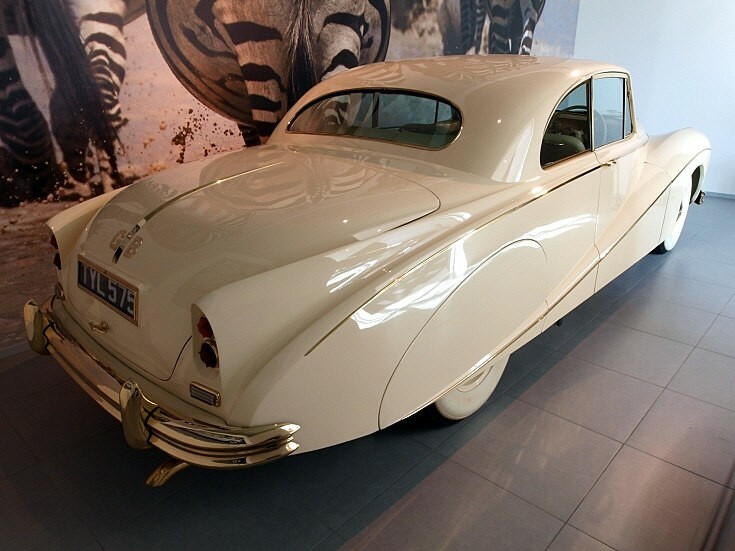 The model used curved glass in its side windows which were framed by chromed metal channels instead of the thick pillars that were usual at the time. 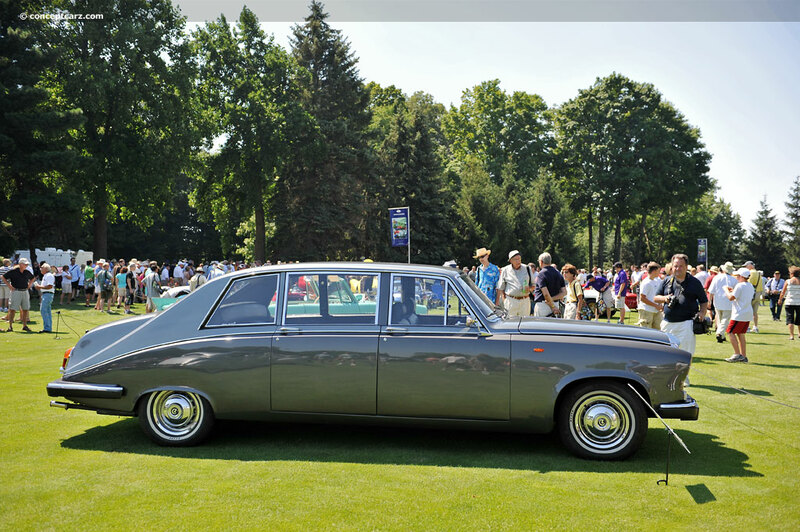 Because of ongoing restrictions on steel, many of the Eighteen’s body panels were made from aluminium. 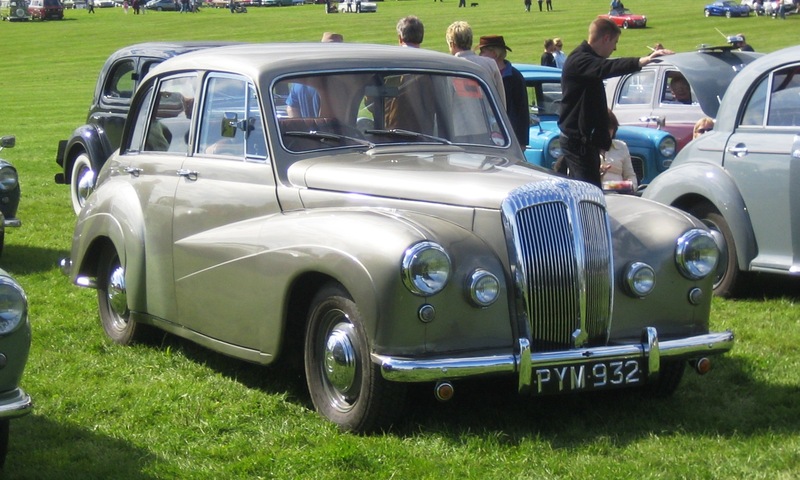 The first post-war Lanchester, the Ten, looked like an enlarged Ford Prefect and its body was made in the same factory, Briggs Motor Bodies on the Ford site at Dagenham. 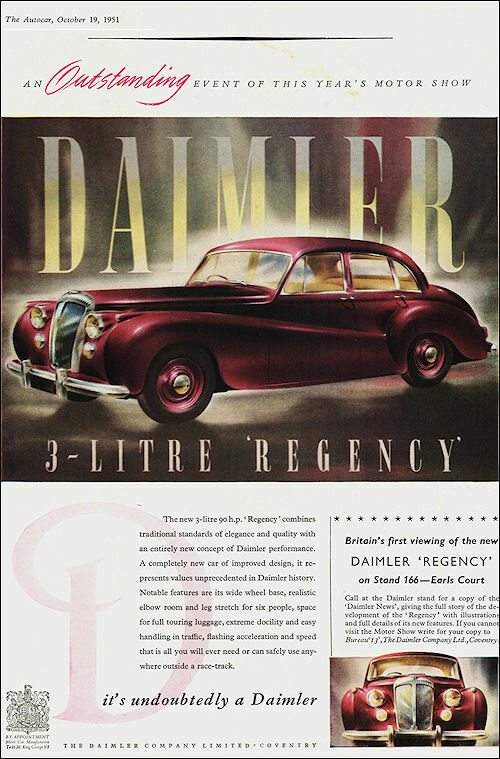 Despite the austerity of the times, Daimler celebrated the 1946 golden jubilee of the founding of the business was with a luncheon at the Savoy, at which they announced the pricing of the Daimler Eighteen and the Lanchester Ten. 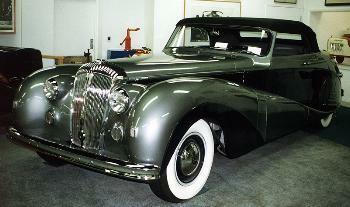 Production of large eight-seat limousines, the six-cylinder DE 27 and the eight-cylinder DE36, began in March 1946. 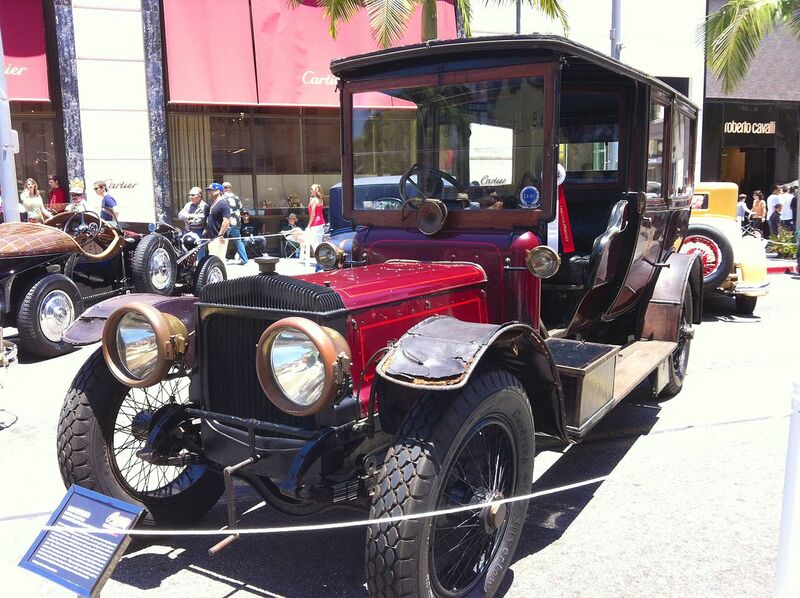 These were among the first series-built cars with electrically operated windows. 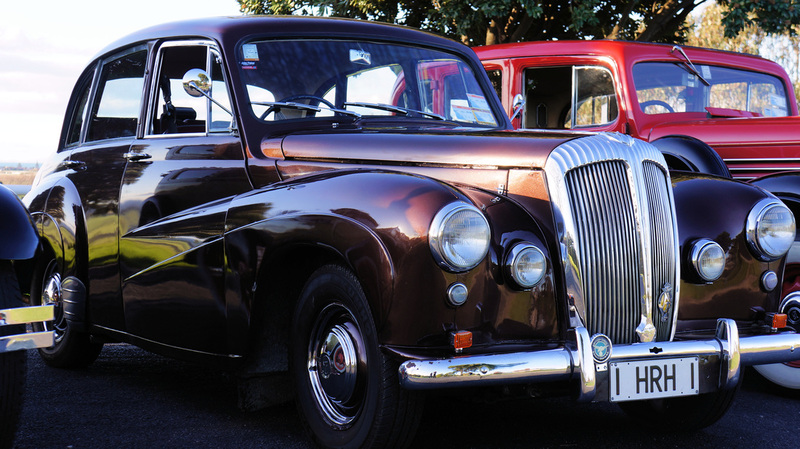 They were also the first Daimler cars since 1909 to use bevel gear final drive instead of Daimler’s usual worm final drive, and the DE 36 was the last straight-eight automobile to be manufactured in Britain. 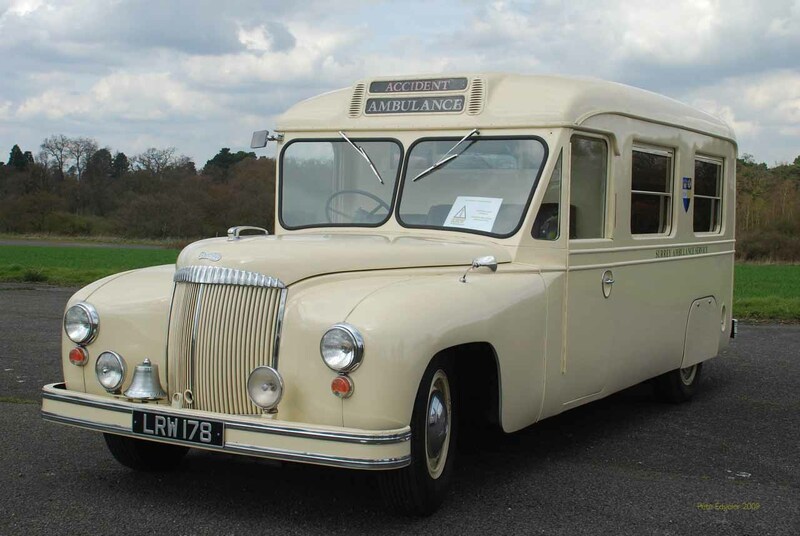 The DE 27 chassis was also used in the Daimler Ambulance with bodies by Barker and Hooper. 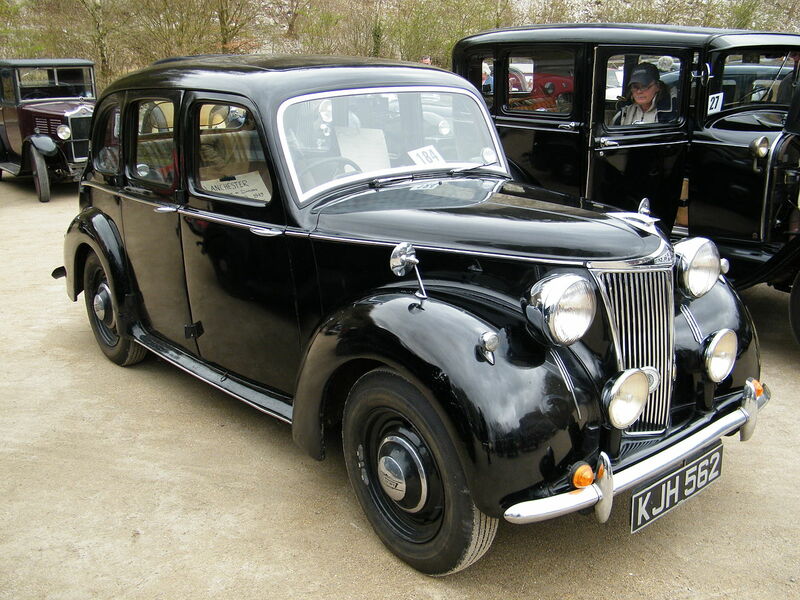 Then in June 1947 purchase tax was doubled on cars costing more than one thousand pounds (£1,000), with home market sales already having been restricted to cars for “essential purposes”. Petrol remained rationed; initially ten gallons a month, the monthly ration was increased to fifteen gallons in July 1946, but was reduced again late in the summer of 1947. 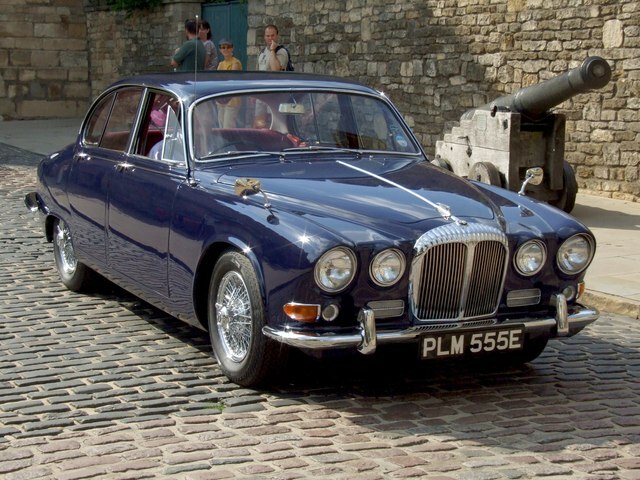 Princess Elizabeth took her 2½-litre coupé, a 21st -birthday gift from her father, to Malta, where her new husband was stationed. 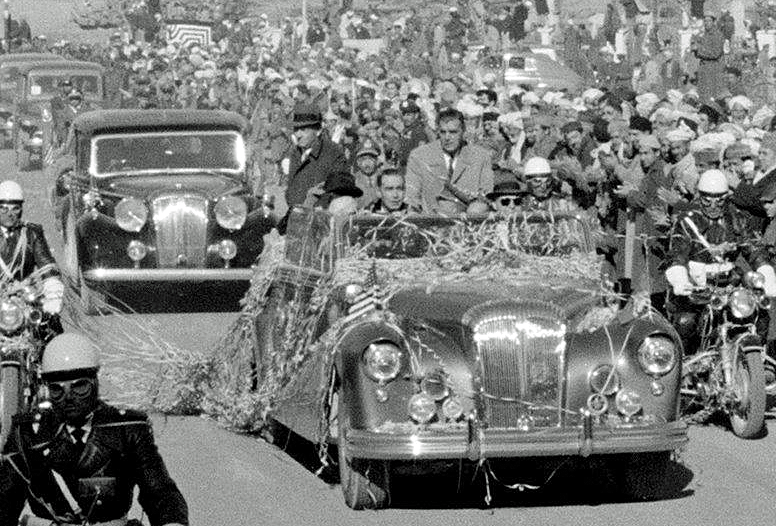 The King took delivery of a new open tourer straight-eight in March 1949. In the commodities boom caused by the 1950 Korean War Australasian woolgrowers reported the new electrically operated limousine-division to be ‘just the thing’ if over-heated sheepdogs licked the back of a driver’s ears. 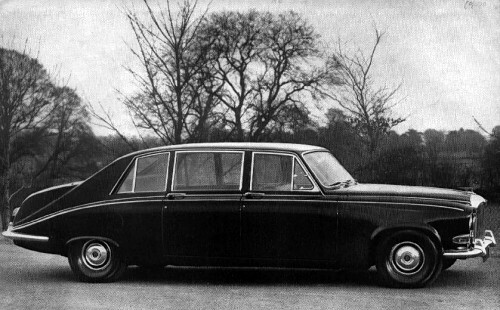 A DE 27 limousine given to HRH Princess Elizabeth by the Royal Air Force as a wedding present was traded for a Rolls-Royce when its transmission failed. 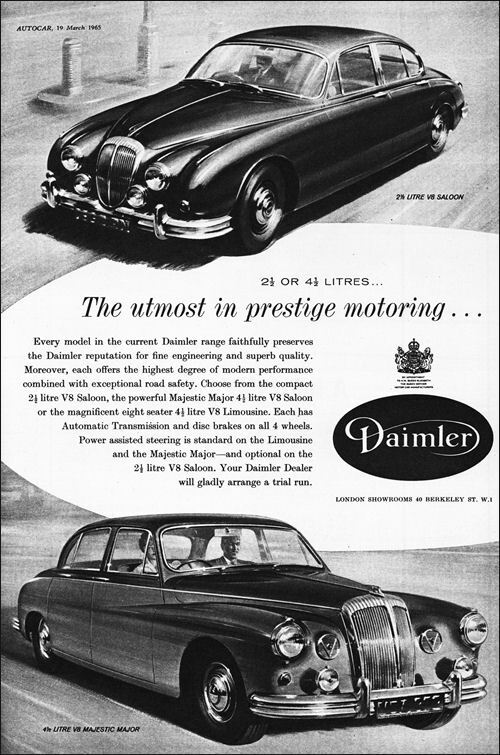 Sir Bernard Docker took the extra responsibility of Daimler’s managing director in January 1953 when James Leek was unable to continue through illness. 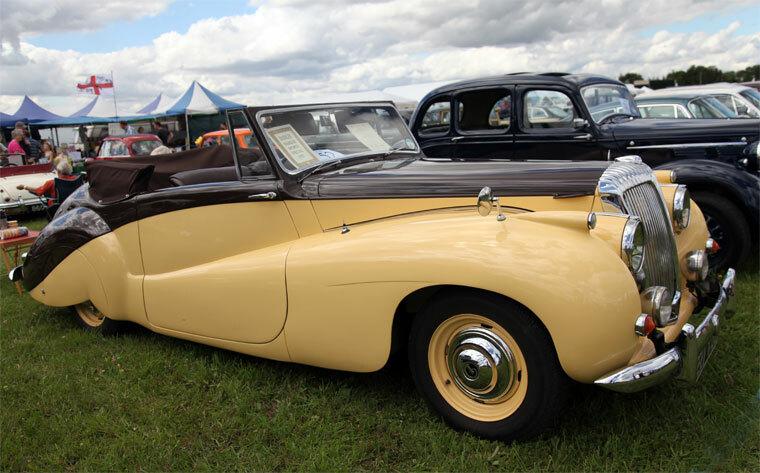 Car buyers were still waiting for the new (Churchill) government’s easing of the ‘temporary’ swingeing purchase tax promised in the lead up to the snap-election held during the 1951 Earl’s Court motor show. Lady Docker told her husband to rethink his marketing policies. 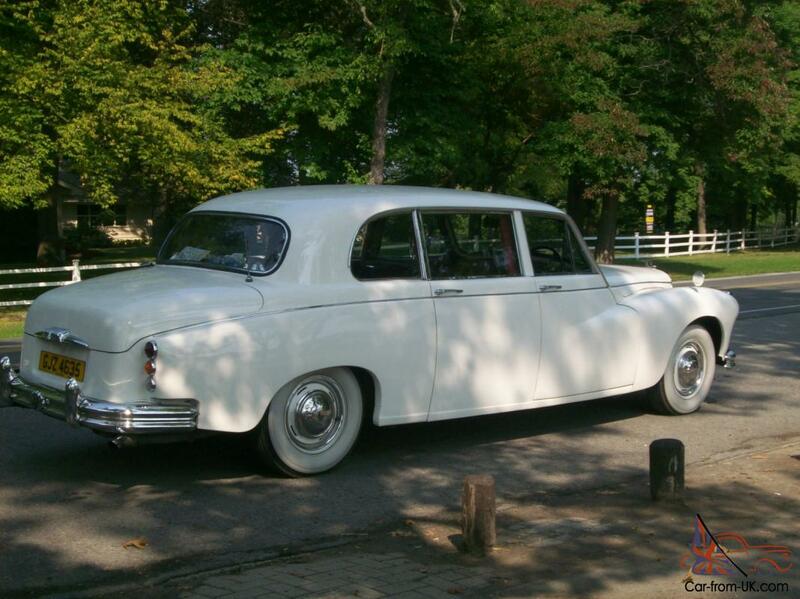 3-litre Regency production was stopped. In the hope of keeping 4,000+ employed the Consort price was dropped from 4 February 1953 to the expected new tax-inclusive level. The BSA group’s leadership of the world’s motorcycle market was eventually lost to Japanese manufacturers. Sir Bernard Docker was the managing director of BSA from early in WWII, and married Norah Lady Collins in 1949. Nora was twice-widowed and wealthy in her own right. This was her third marriage. She had originally been a successful dance hall hostess. 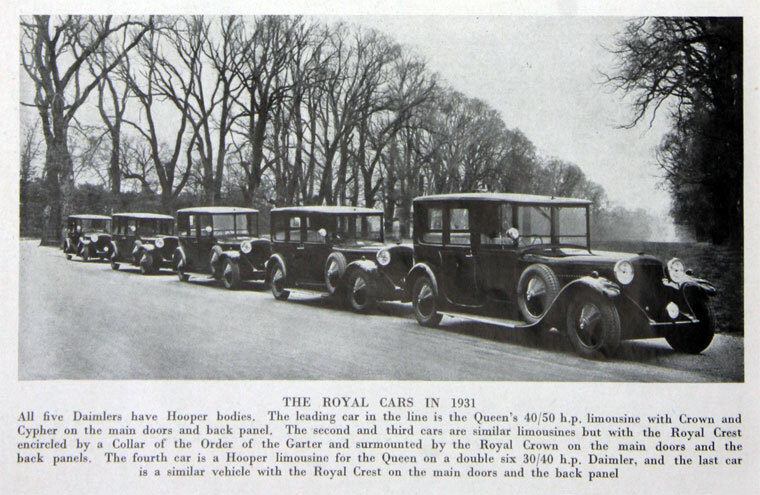 Lady Docker took an interest in her husband’s companies and became a director of Hooper, the coachbuilders. 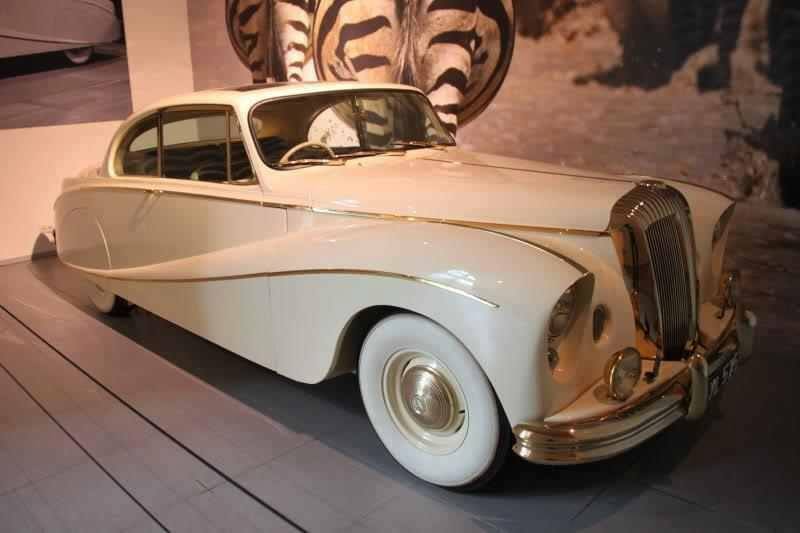 Daughter of an unsuccessful Birmingham car salesman Lady Docker could see that the Daimler cars, no longer popular with the royal family, were in danger of becoming an anachronism in the modern world. 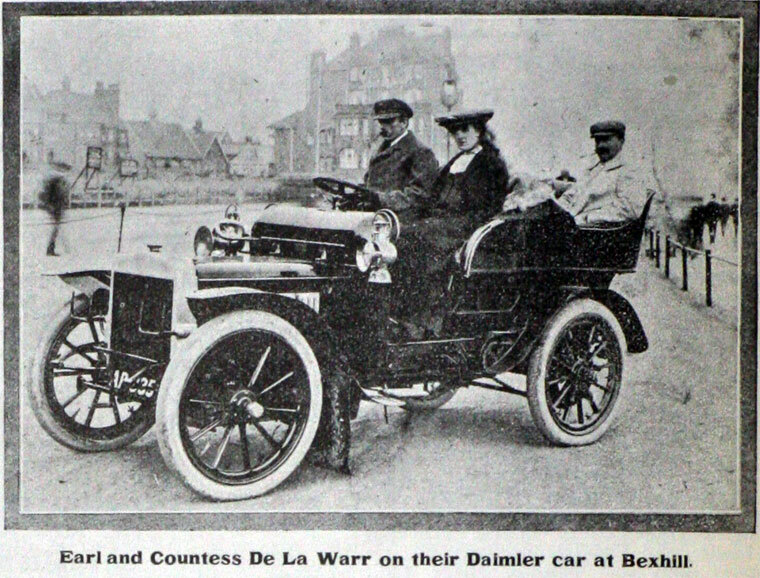 She took it upon herself to raise Daimler’s profile, but in an extravagant fashion, by encouraging Sir Bernard to produce show cars. 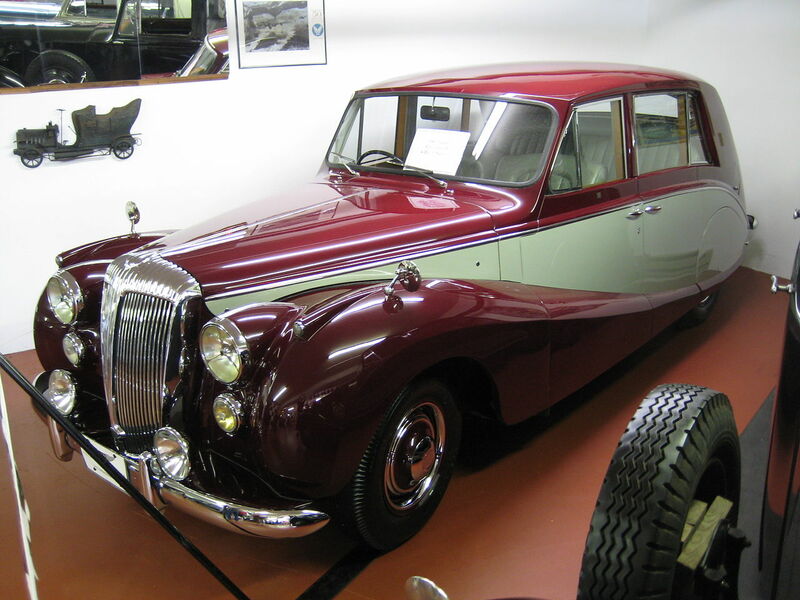 The first was the 1951 “Golden Daimler”, an opulent touring limousine, in 1952, “Blue Clover”, a two-door sportsmans coupe, in 1953 the “Silver Flash” based on the 3-litre Regency chassis, and in 1954 “Stardust”, redolent of the “Gold Car”, but based on the DK400 chassis as was what proved to be her Paris 1955 grande finale, a 2-door coupé she named “Golden Zebra”, the “last straw” for the Tax Office and now on permanent display at The Hague. At the same time Lady Docker earned a reputation for having rather poor social graces when under the influence, and she and Sir Bernard were investigated for failing to correctly declare the amount of money taken out of the country on a visit to a Monte Carlo casino. Sir Bernard was instantly dumped “for absenteeism” by the Midland Bank board without waiting for the court case. Norah drew further attention. She ran up large bills and presented them to Daimler as business expenses but some items were disallowed by the Tax Office. 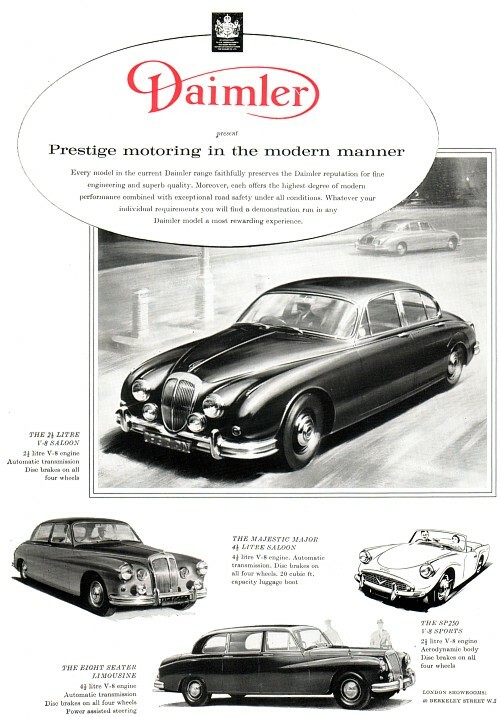 The publicity attached to this and other social episodes told on Sir Bernard’s standing as some already thought the cars too opulent and vulgar for austere post-war Britain. 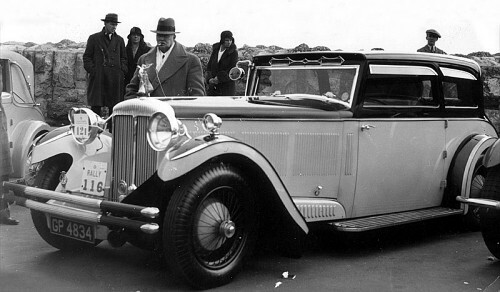 To compound Sir Bernard’s difficulty, the royal family shifted allegiance to Rolls-Royce. 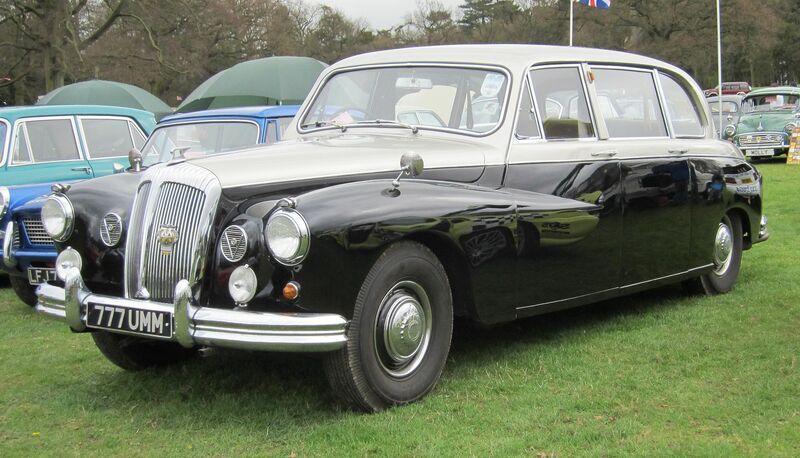 By the end of 1960 all the State Daimlers had been sold and replaced by Rolls-Royces. In 1951 Jack Sangster sold his motorcycle companies Ariel and Triumph to BSA, and joined their board. In 1956 Sangster was elected chairman, defeating Sir Bernard 6 votes to 3. 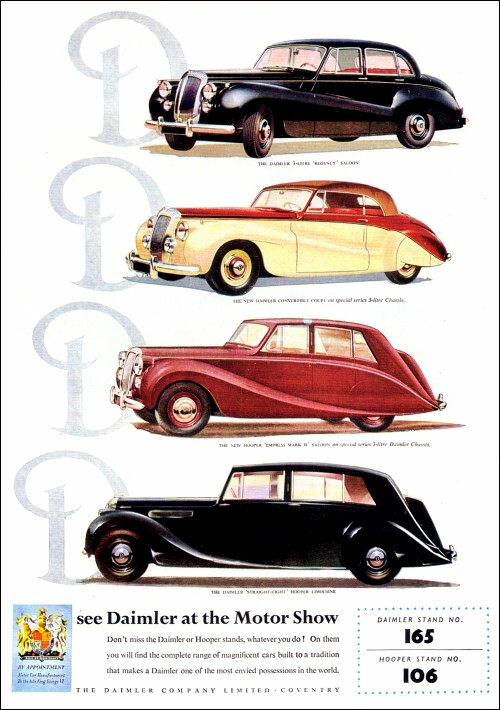 After a certain amount of electioneering by the Dockers an extraordinary shareholders’ meeting backed the board decision and Bernard and Norah left buying a brace of Rolls-Royces as they went registering them as ND5 and BD9. 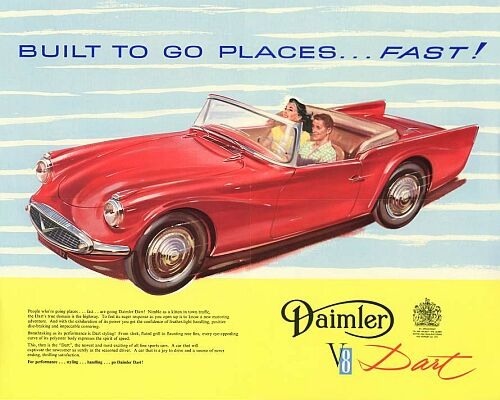 Many important European customers turned out to have been Docker friends and did not re-order Daimler cars. 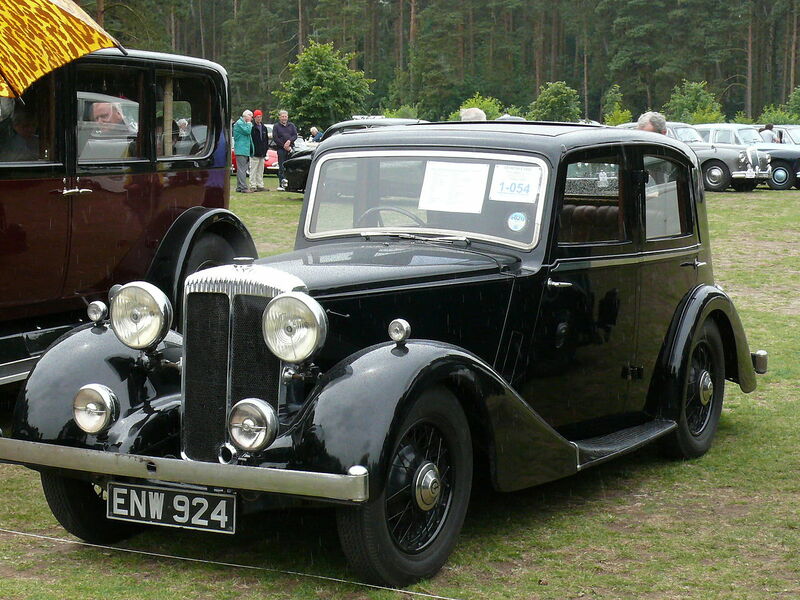 Sangster promptly made Edward Turner head of the automotive division which as well as Daimler and Carbodies (London Taxicab manufacturers) included Ariel, Triumph, and BSA motorcycles. 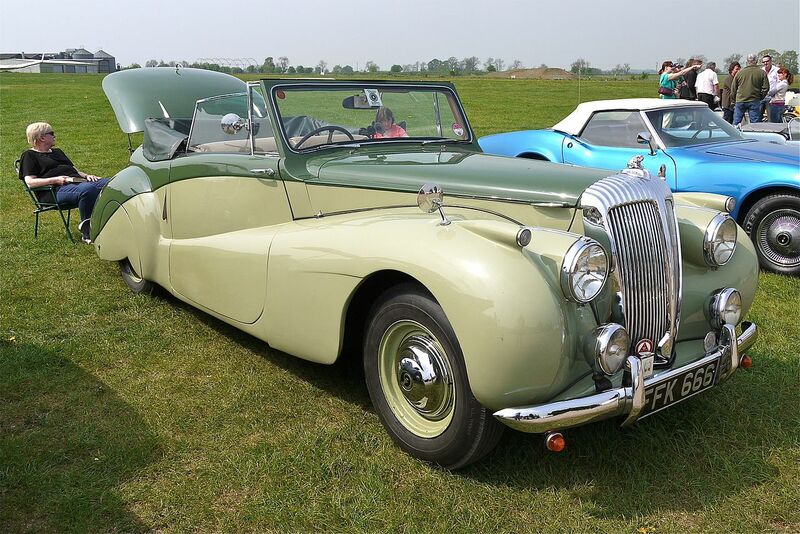 Turner designed the lightweight hemi head Daimler 2.5 & 4.5 Litre V8 Engines. The small engine was used to power a production version of an apprentice’s exercise, the very flexible Dart and the larger engine installed in the Majestic Major, a relabelled Majestic. 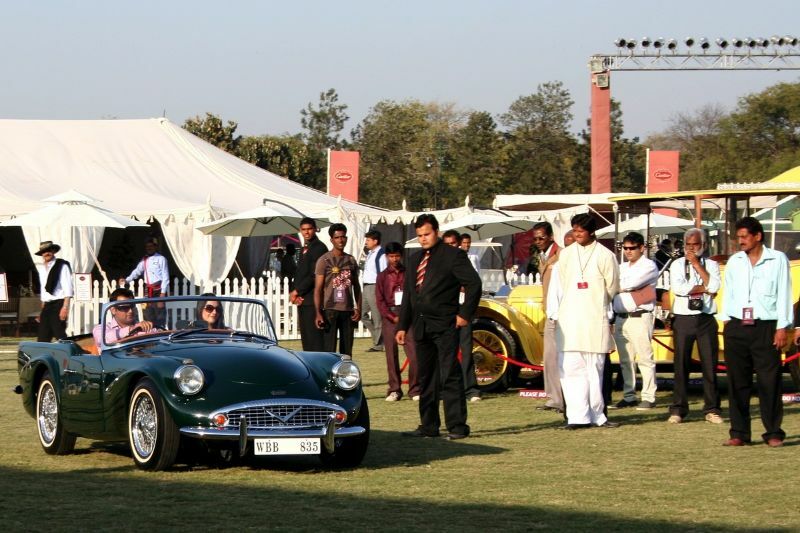 Under Sangster Daimler’s vehicles became a little less sober and more performance oriented. The Majestic Major proved an agile high-speed cruiser on the new motorways. Bill Boddy described the SP250 as unlikely to stir the memories of such ghosts as haunt the tree-lined avenues near Sandringham, Balmoral and Windsor Castle. 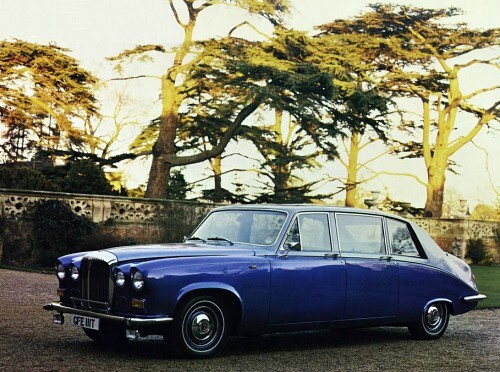 The two excellent Turner V8 engines disappeared with British Leyland’s first rationalisation, the larger in 1968 and the smaller a year later. 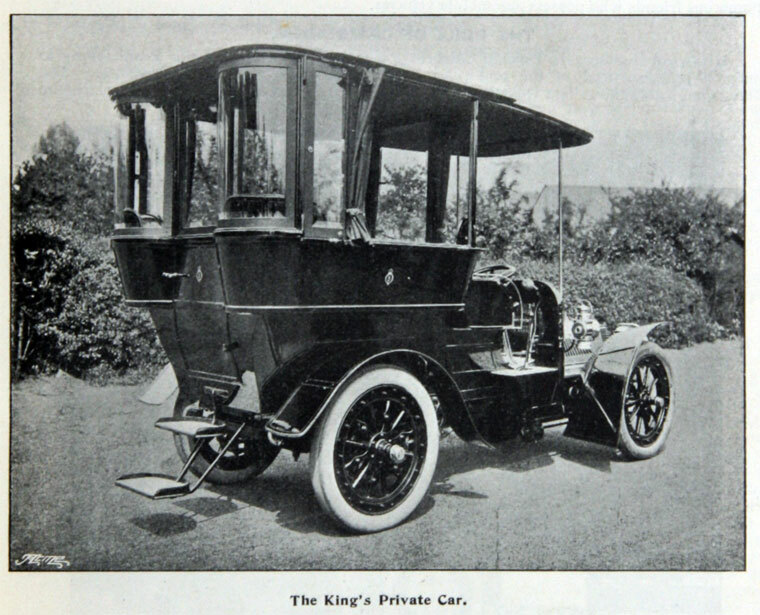 Introduction of the KPL was stopped by a patent infringement action brought by London General Omnibus‘s associate Tilling-Stevens in early May 1911 when just twelve KPL buses had been built. 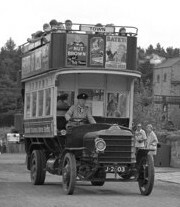 This was just after Daimler had poached LGOC’s Frank Searle and announced him to be general manager of its new London bus service which would be using its new KPL type to compete directly with LGOC. 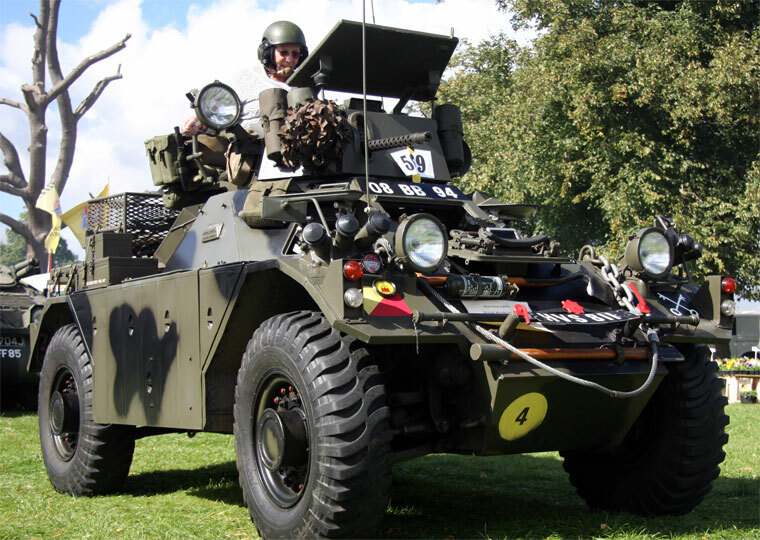 Some of LGOC’s vehicles used Daimler engines. 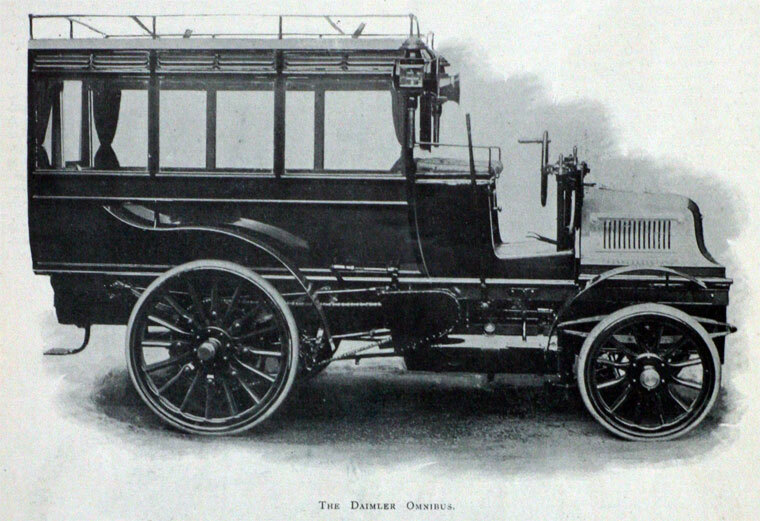 With the collapse of Daimler’s plans Searle, an engineer and designer of the LGOC X-type and AEC B-type bus, instead joined Daimler’s commercial vehicle department. 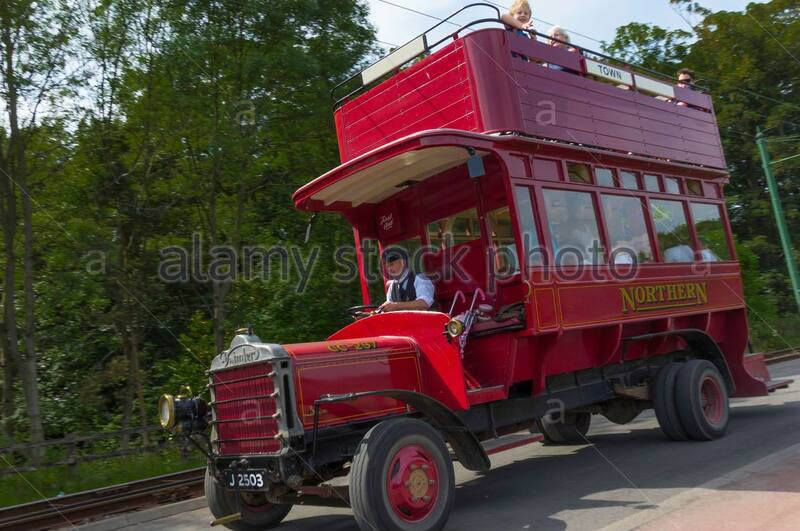 Reverting to (before LGOC) omnibus salesman Searle rapidly achieved some notable sales. 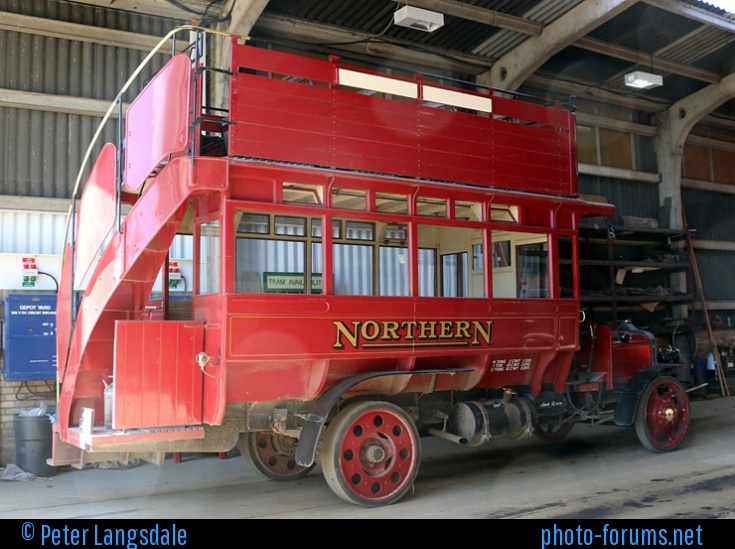 100 to Metropolitan Electric Tramways and 250 to LGOC’s new owner, Underground. 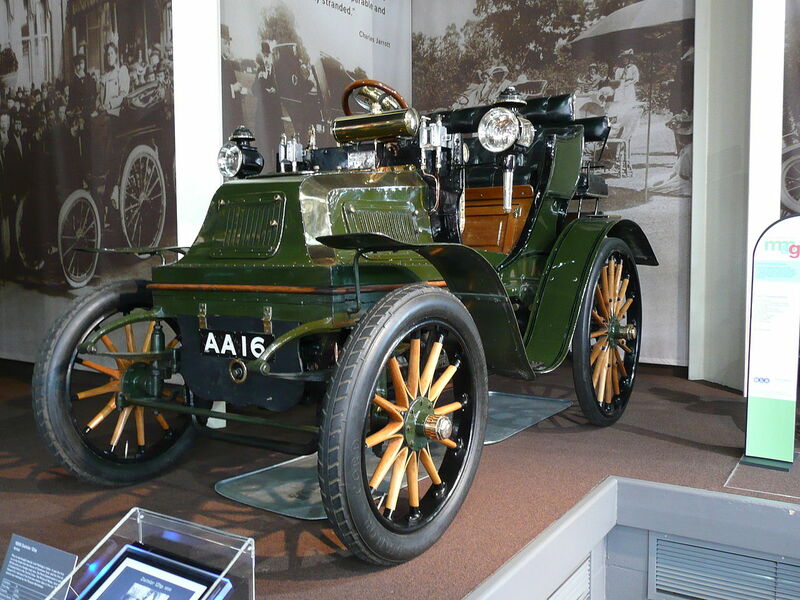 First Searle designed for Daimler a 34-seater with gearbox transmission (the KPL used electric motors each side) very like the B-Type and it was introduced by Daimler in early 1912. 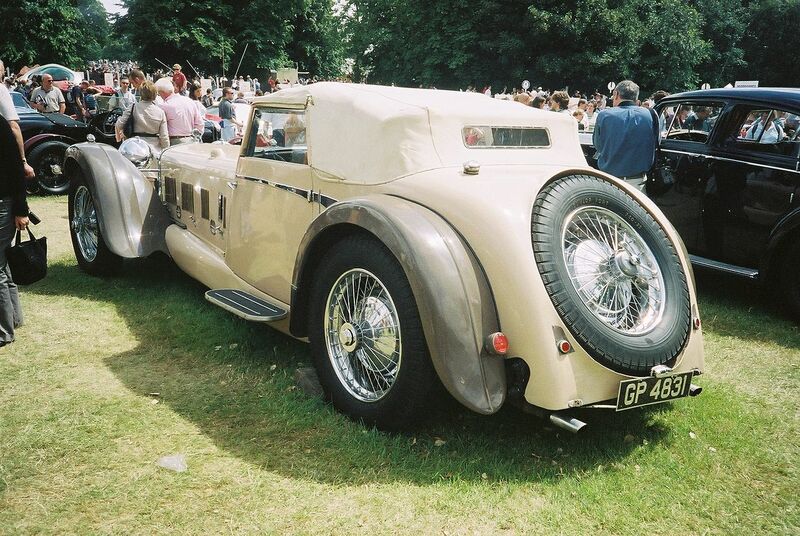 The main difference from what became the AEC B-Type was the use of Daimler’s sleeve-valve engine. In June 1912 what had been LGOC’s manufacturing plant was hived off as AEC. 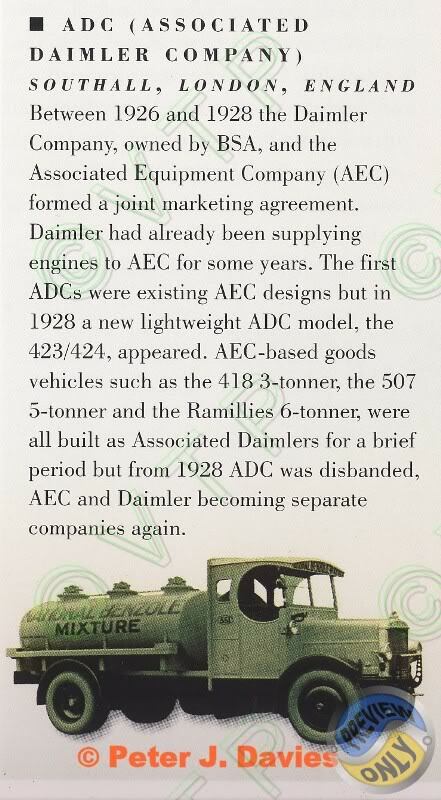 Between 1913 and 1916 AEC built some Daimler models under contract and Daimler sold all AEC vehicles which were surplus to LGOC needs. 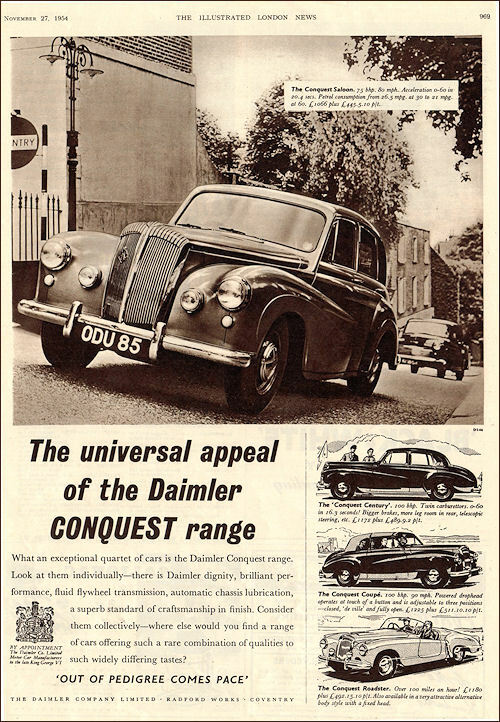 After war service now Colonel Searle moved to Daimler Hire Limited and its involvement in aviation. 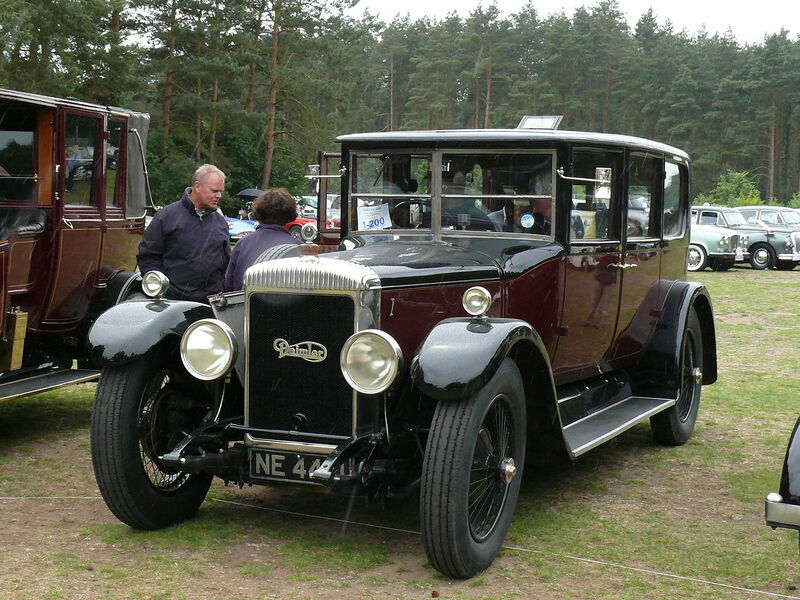 The Searle models were developed after World War I, but from 1926–8 Daimler entered into a joint venture with AEC vehicles being badged as Associated Daimler. 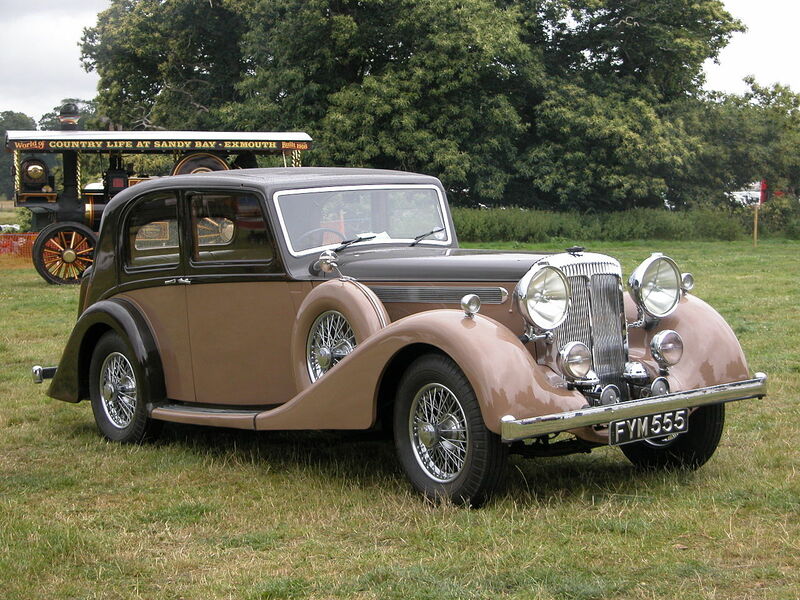 In the 1930s the Daimler CO chassis became the main model, followed by a similar, but heavier, CW ‘austerity’ model produced during World War II (100 with the Gardner 5LW engine (CWG5), the rest with the AEC 7.7-litre engine – CWA6) and in postwar years production worked through the Daimler CV to the long-running Daimler CR Fleetline, built from 1960 to 1980 (CVG5 and CVG6 had been a common type of bus in Hong Kong between 1950 to 1988 and Fleetline had also become a major type of bus in Hong Kong until 1995). 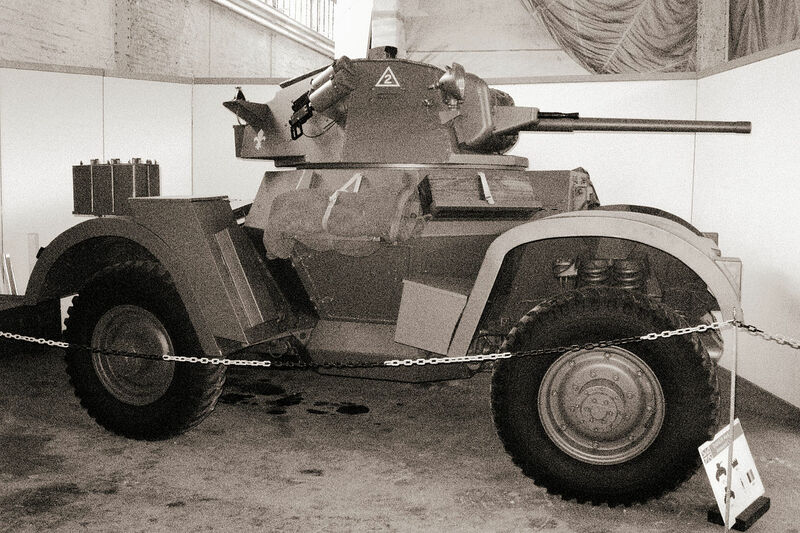 Small numbers of single deck vehicles were also built. 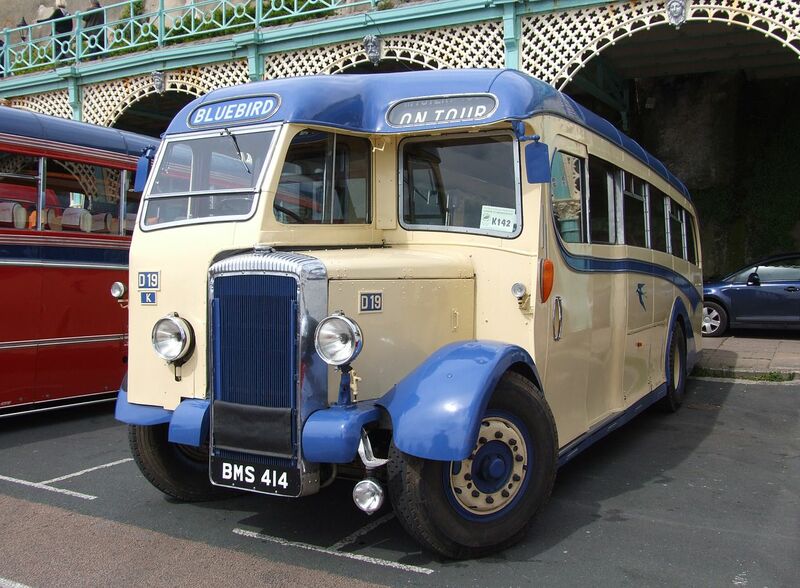 Many British bus operators bought substantial numbers of the vehicles and there were also a number built for export. The standard London double-decker bus bought from 1970 to 1978 was the Daimler Fleetline. During that Jaguar-owned period 1960–1968, Daimler became the second-largest (after Leyland) double-decker bus manufacturer in Britain, with the “Fleetline” model. 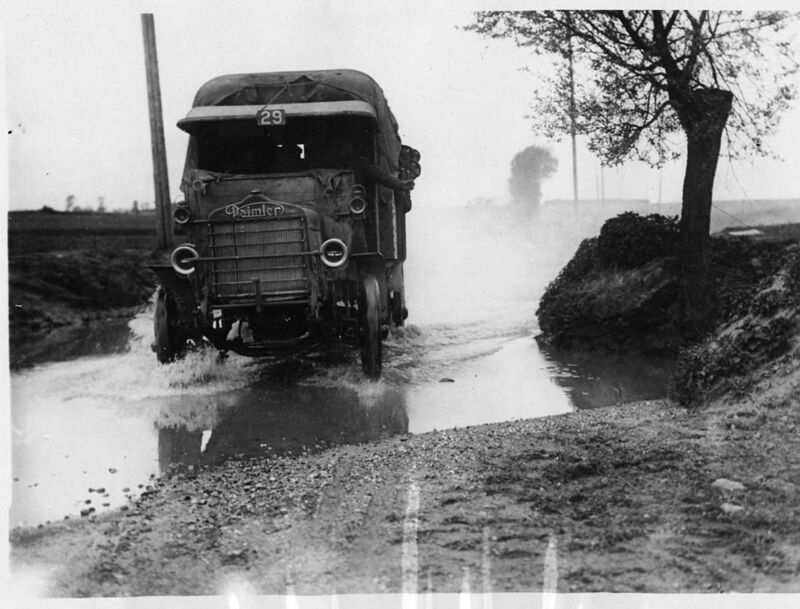 At the same time, Daimler made trucks and motorhomes. 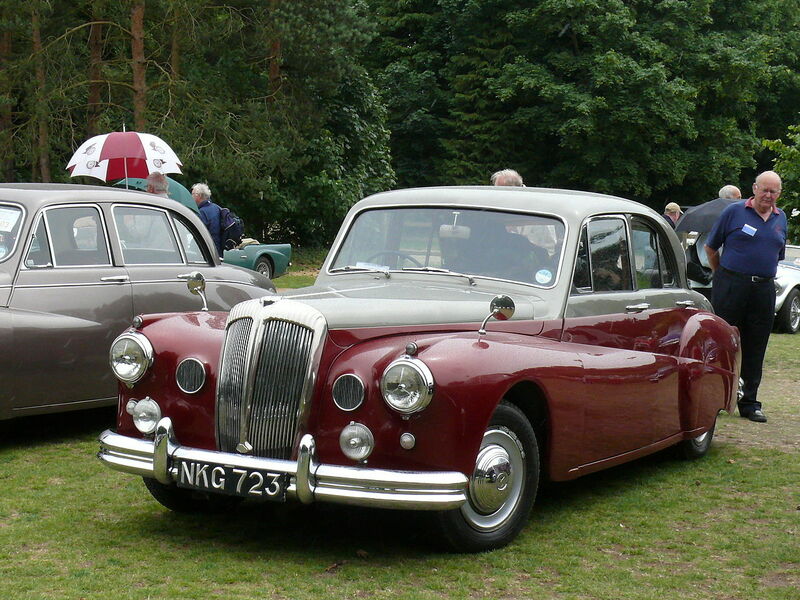 BMH merged with the Leyland Motor Corporation to give the British Leyland Motor Corporation in 1968. 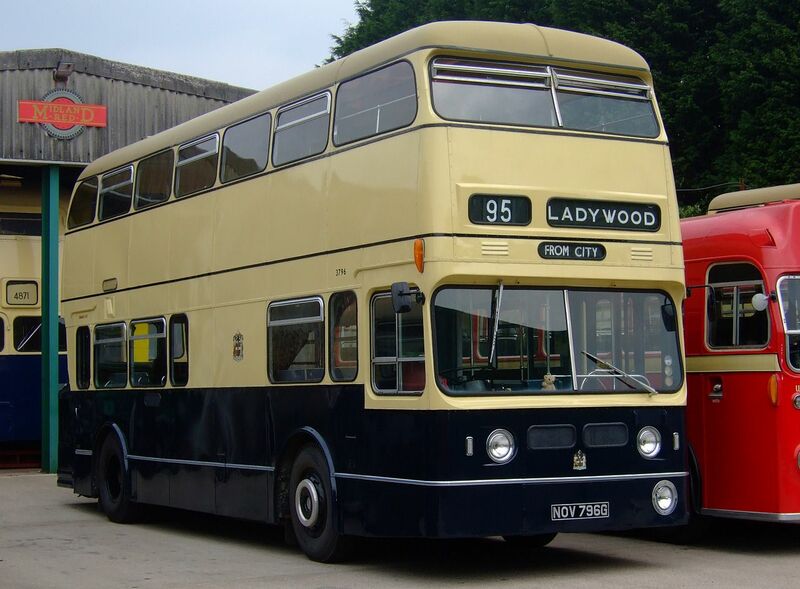 Production of Daimler buses in Coventry ceased in 1973 when production of its last bus product (the Daimler Fleetline) was transferred to Leyland plant in Farington. 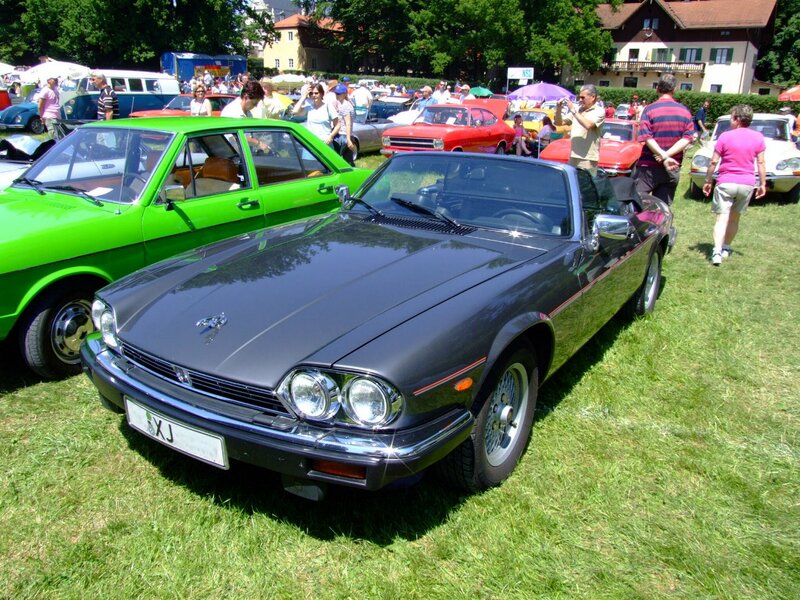 Daimler stayed within BLMC and its subsequent forms until 1982, at which point Jaguar (with Daimler) was demerged from BL as an independent manufacturer. 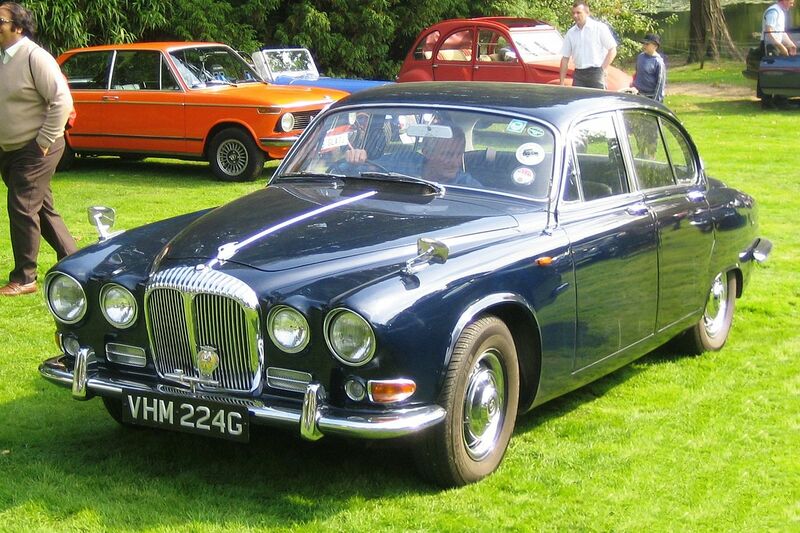 Jaguar put a Daimler 4.5L V8 in a Mark X and tested it at the Motor Industry Research Association (MIRA). 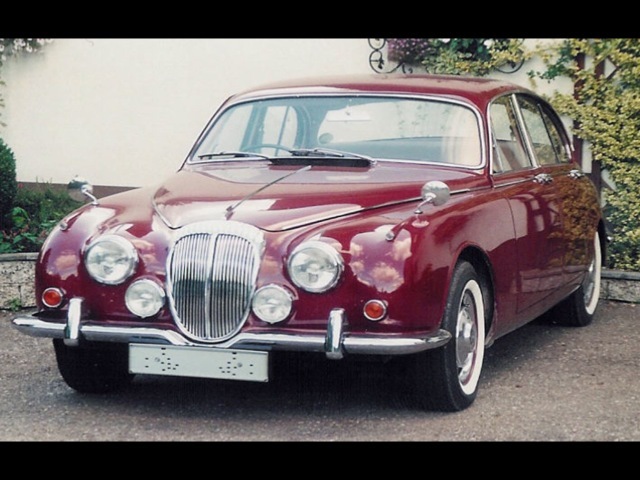 With an inefficient prototype exhaust, the car went up to 135 mph on MIRA’s banked track, faster than the production Mark X.
Jaguar discontinued the six-cylinder Majestic in 1962 and the SP250 in 1964, but Daimler’s core product, the old-fashioned, heavy but fast 4.5 L V8 Majestic Major, was continued throughout Jaguar’s independent ownership of Daimler. 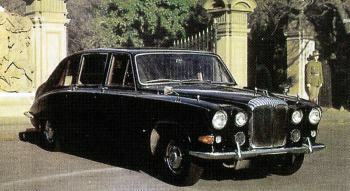 In 1961 Daimler introduced the DR450, a long-wheelbase limousine version of the Majestic Major. 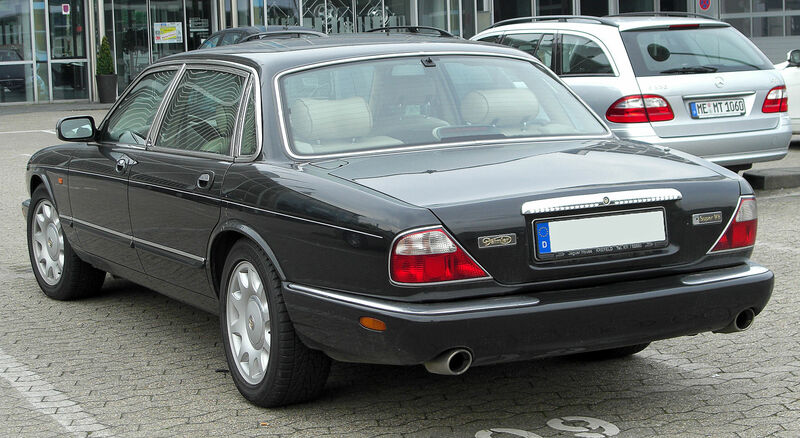 The DR450 also continued in production beyond the end of Jaguar’s independent ownership of Daimler. 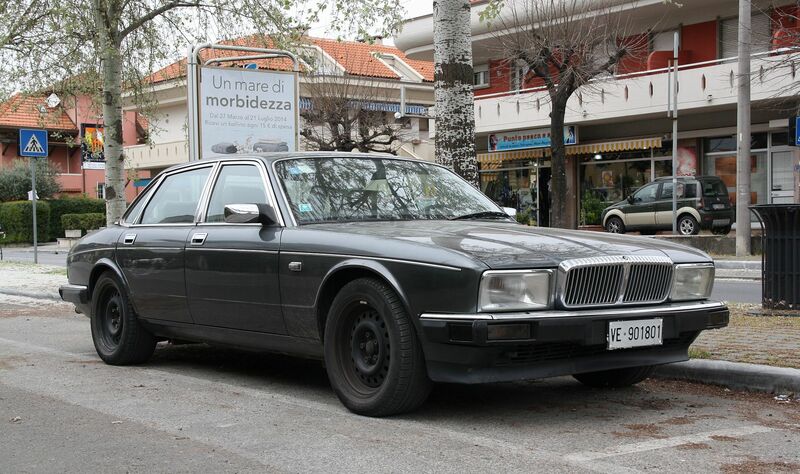 864 examples of the long-wheelbase DR450 were sold, as opposed to 1180 examples of the Majestic Major saloon. James Smillie, chairman of Stratstone, made Lyons aware of this situation in 1965. 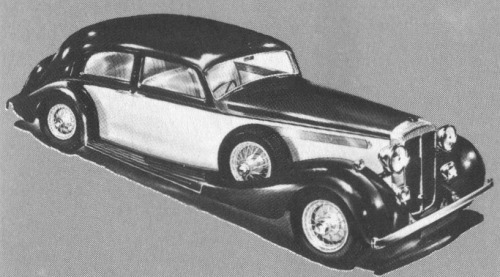 Lyons responded by preparing a Daimler-ised version of the upcoming Jaguar 420 and presenting it to Smillie and Stratstone managing director John Olley. 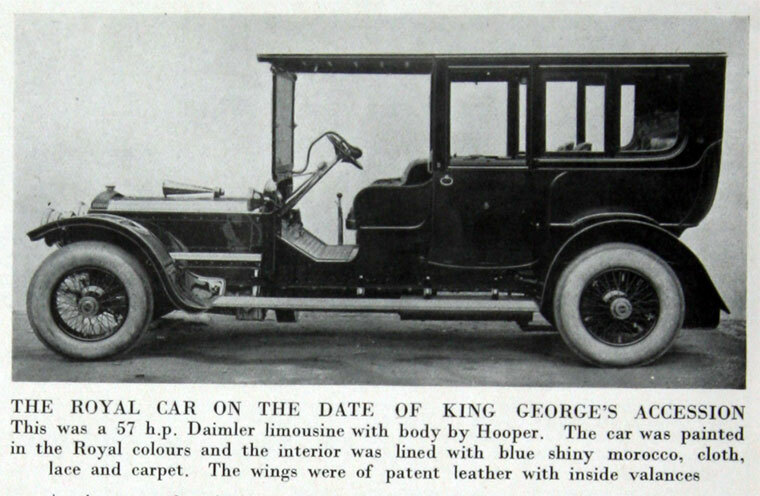 Lyons asked the Stratstone executives what it should be called; Smillie suggested “Sovereign” while Olley suggested “Royale”. Despite Lyons stating his preference for “Royale” at the meeting, the company decided on “Sovereign” two months later. 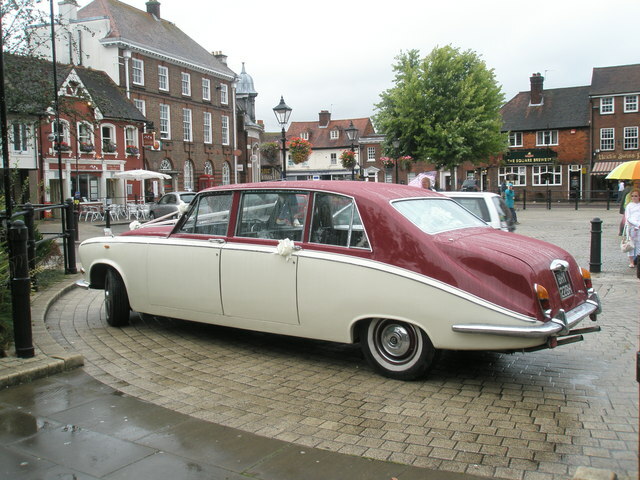 The Sovereign was launched in October 1966 to fill the gap between the 2.5 V8 and the Majestic Major. 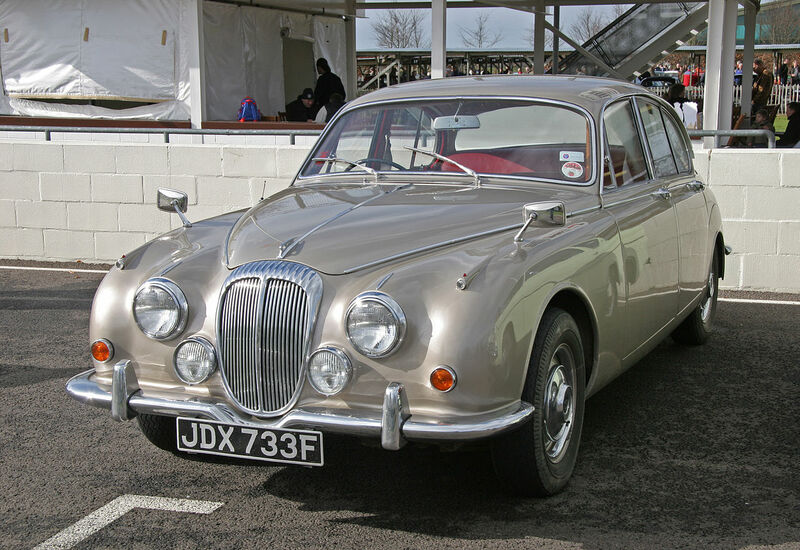 Though Jaguar had diversified by adding, after Daimler, Guy trucks and Coventry-Climax to their group they remained dependent on Pressed Steel for bodies. Once BMC had taken control of Pressed Steel Lyons felt compelled to submit to the BMC takeover. 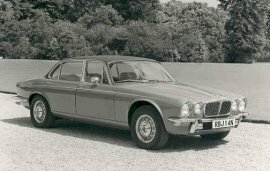 Lyons remained anxious to see that Jaguar maintained its own identity and came to resent the association with British Leyland. He was delighted by Sir John Egan‘s accomplishments and by the new independence arranged in 1984. 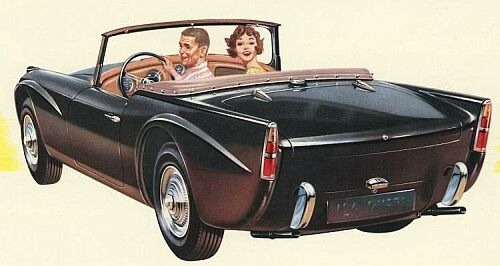 In 1967, BMH’s dealer network in the United States stopped importing Daimlers, claiming that there was insufficient funds in the group advertising budget to market all of BMH’s brands in USA. 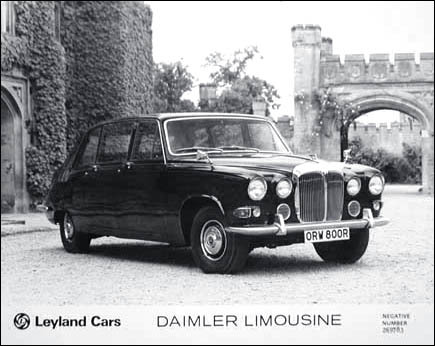 The Daimler DS420 Limousine was introduced in 1968 to replace their Daimler DR450 and BMC’s Vanden Plas Princess. 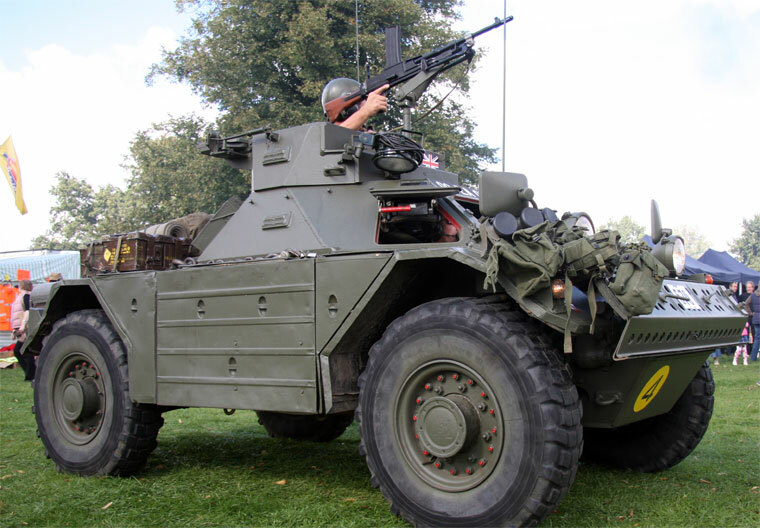 The DS420 used a Jaguar Mk X unitary carcass with a restyled roof and a floor pan extended by 21 inches behind the front seat and strengthened. The extension of the Mark X unit bodies was done by Motor Panels, a subsidiary of Rubery Owen. 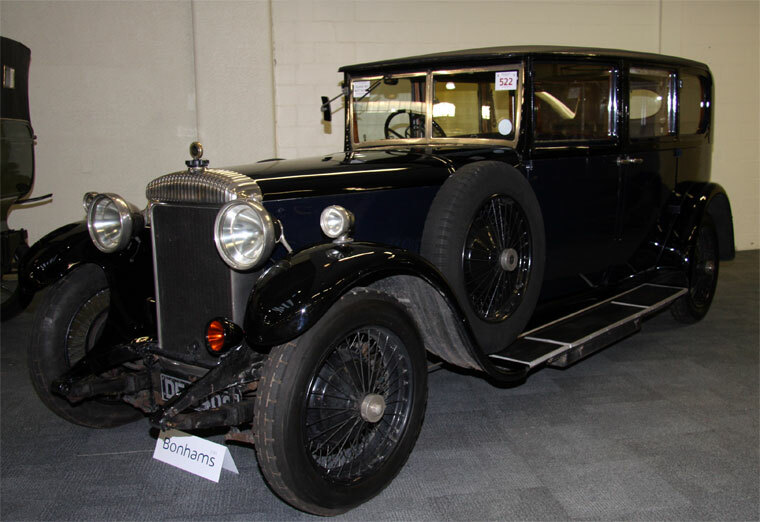 The floor pan with mechanicals was available to coachbuilders as a rolling chassis for use with specialised bodywork, usually as hearses; Startin of Birmingham built more than 300 DS420-based hearses. 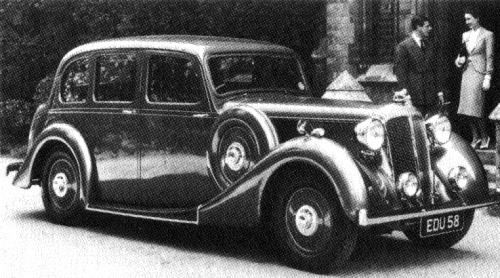 Finishing from the bare metal, including final assembly and trimming the interior, was done byVanden Plas, who had earlier made the Princess for BMC. 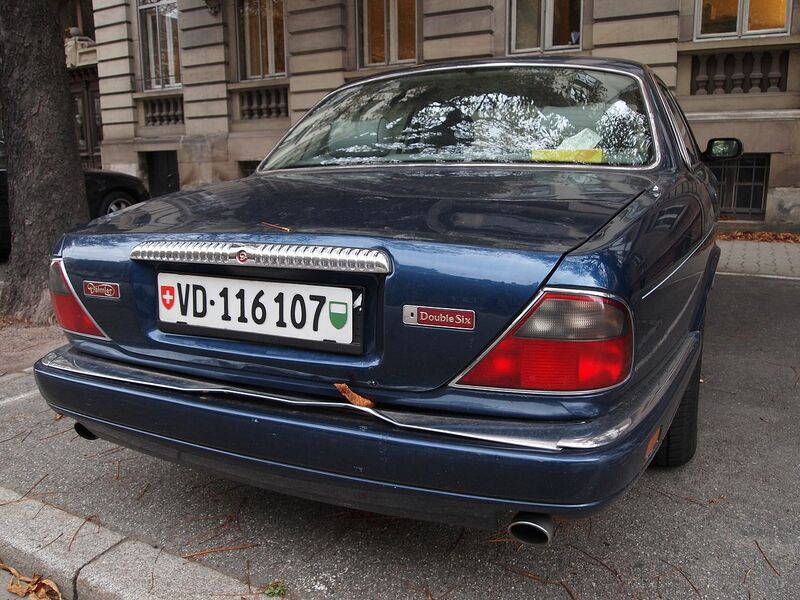 The Daimler name was dropped in Europe in the 1980s, while Jaguar adopted the Sovereign designation. 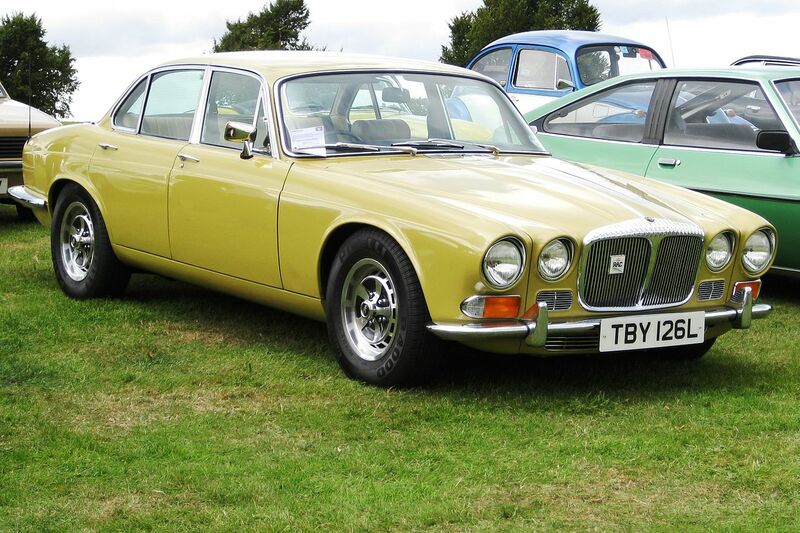 This caused a great demand for imported Daimler parts as “conversion kits” to convert Jaguars into Daimlers. 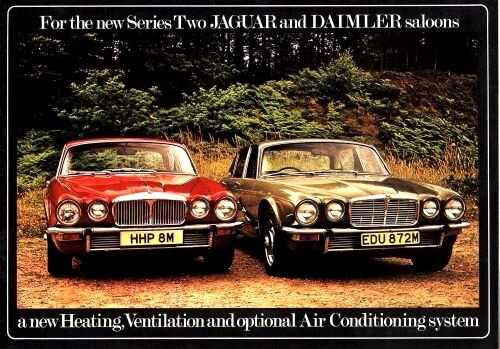 Deducing from this “conversion kit” market that there was still a demand for Daimler cars, Jaguar Cars returned the Daimler brand to Europe at the end of 1985. 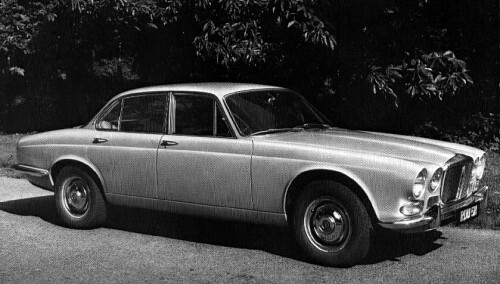 Meanwhile, in the United States, Jaguar marketed the “Vanden Plas” with Daimler fluted grilles and licence plate housings. 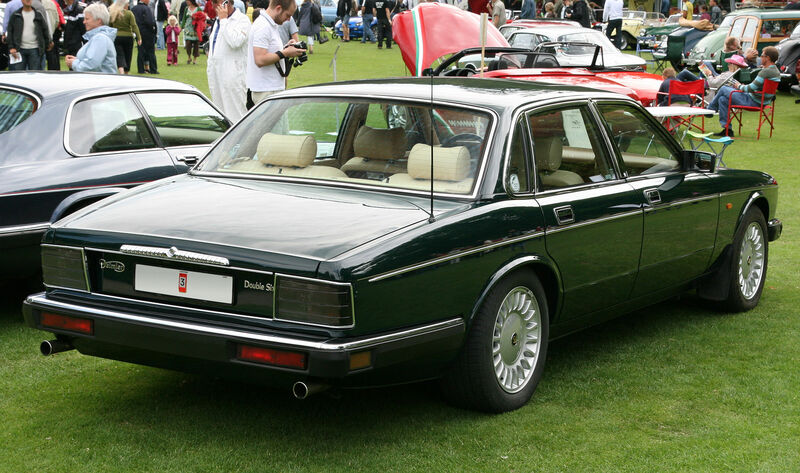 1984 produced a record group output of 36,856 cars but less than 5% were badged Daimler. 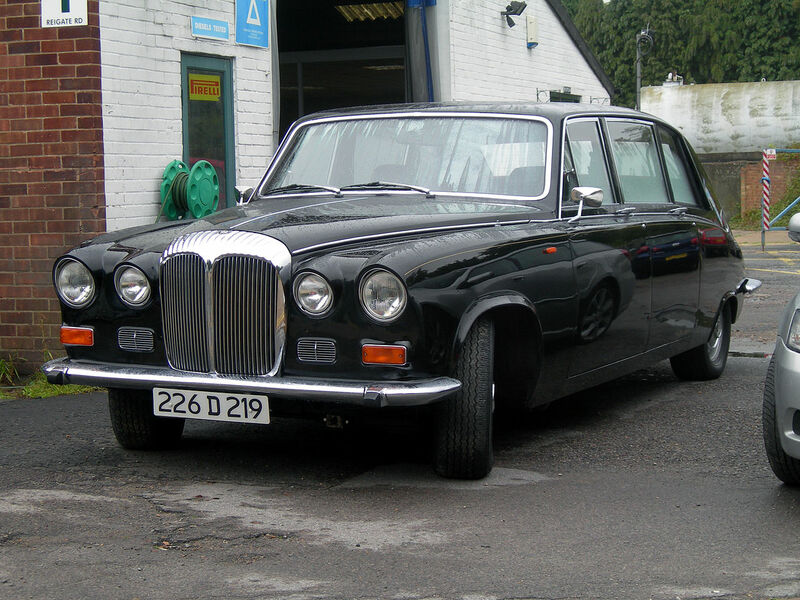 Two years later Daimler’s share had reached 11.5%, and would have been almost 23% if the Vanden Plas sold in the USA were included. 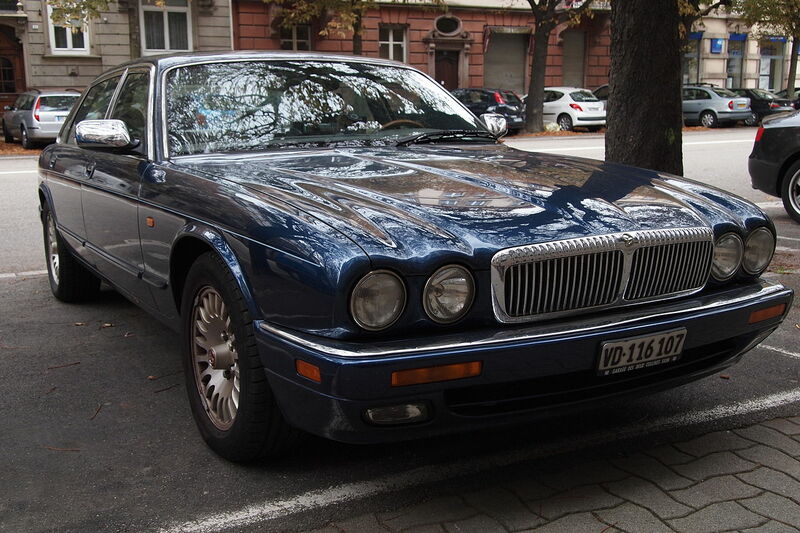 When Ford bought Jaguar in 1990, the British press showed a coloured computer-generated image of a proposed ‘new’ Daimler car – not merely a rebadged Jaguar XJ. At least one related project has been documented. 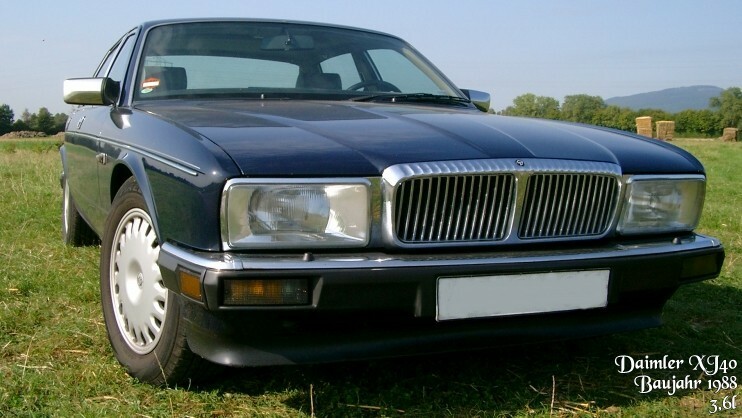 Daimler remained the flagship Jaguar product in every country except the USA where the top Jaguar is known as the “XJ Vanden Plas” — Jaguar may have feared that the American market would confuse Jaguar Daimler with Daimler AG. 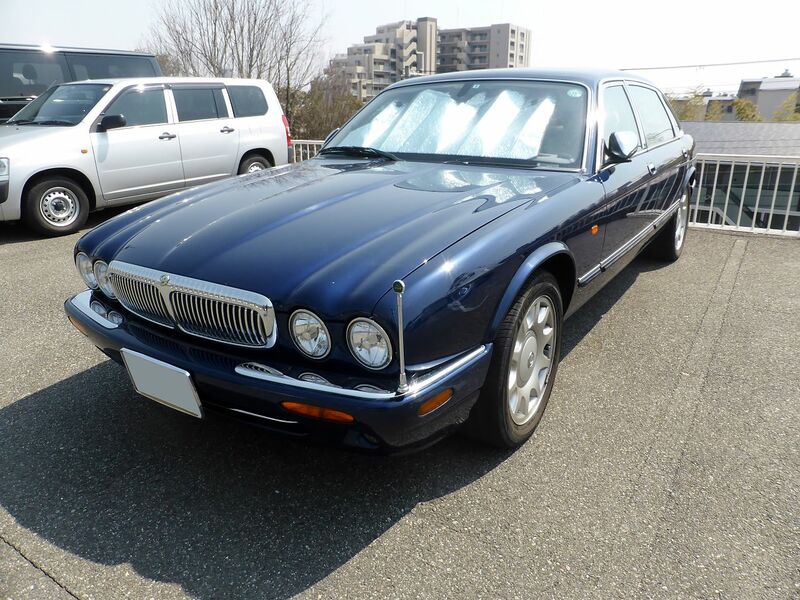 Daimler’s centenary was celebrated in 1996 by the production of a special edition: 100 Double Six and 100 straight-six cars, each with special paint and other special finishes including electrically adjustable rear seats. 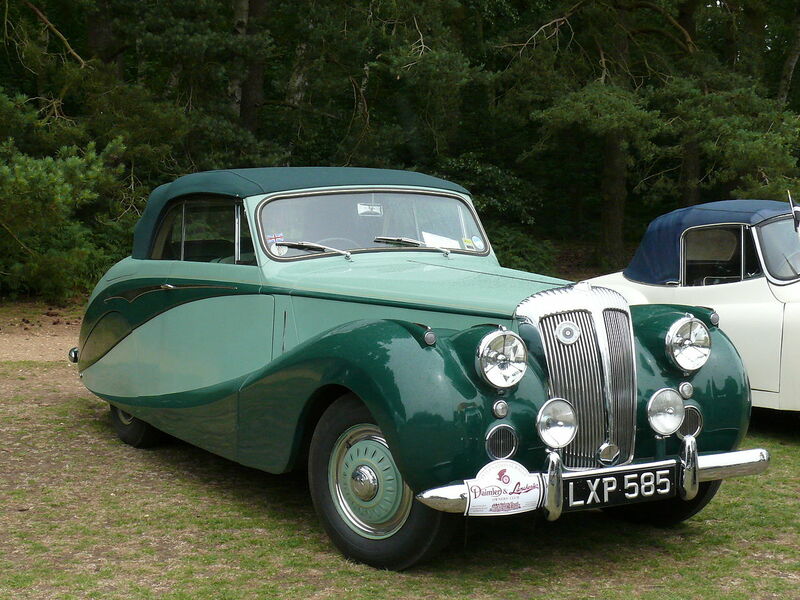 The single 2-door 4-seater convertible built in 1996 to commemorate Daimler’s centenary and called Daimler Corsica was based on the Daimler Double-Six saloon. 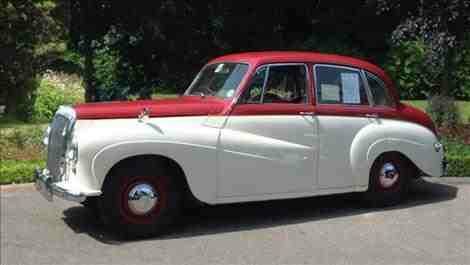 The prototype, which lacked an engine, had all the luxury features of the standard saloon but a shorter wheelbase. Painted “Seafrost” it was named after a 1931 Daimler Double-Six with a body by Corsica. 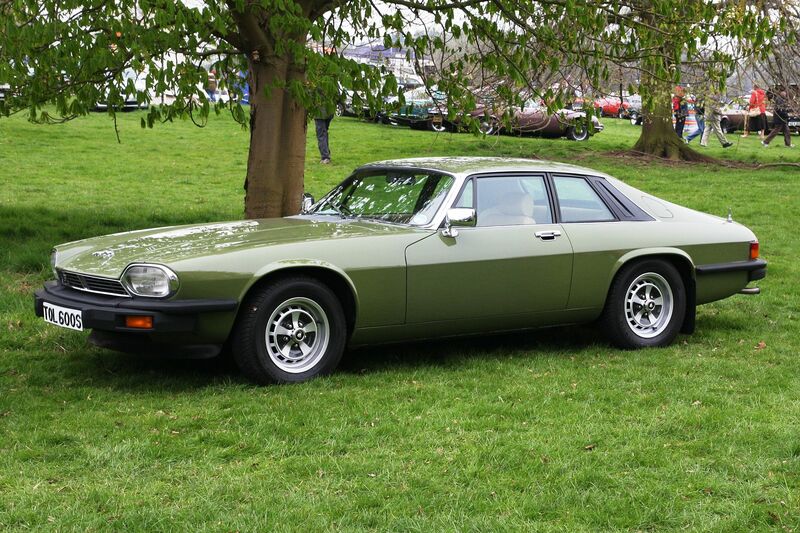 Jaguar Daimler Heritage Trust have decommissioned it to operate as a fully functional road-legal car and it is on display at their museum at Browns Lane in Coventry, England. 1997 saw the end of production of the Double Six. 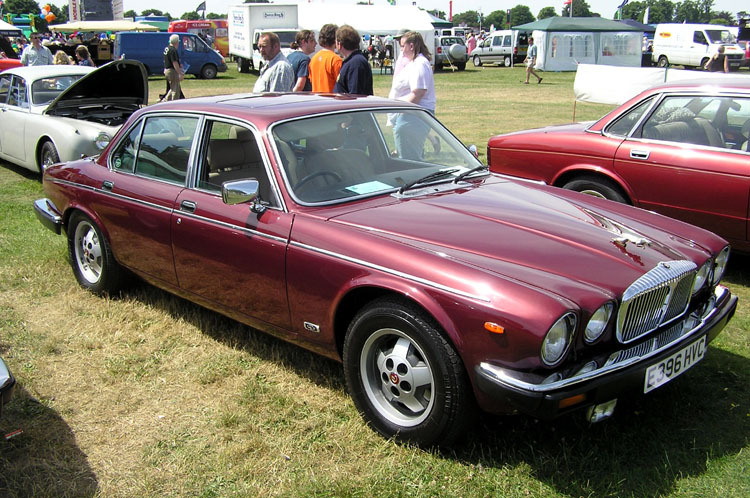 It was superseded by the introduction of a (Jaguar) V8 engine and the new car was given the model name Mark II XJ. 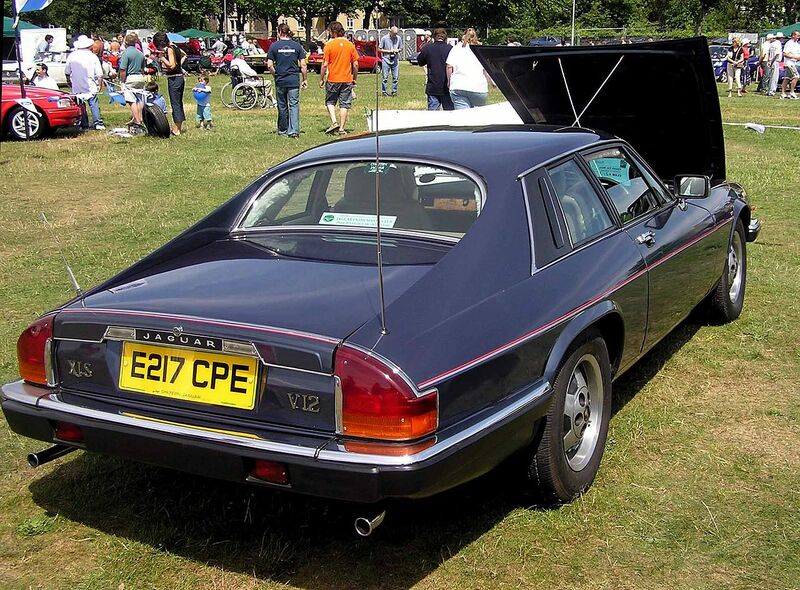 The engine was the only significant change from the previous XJ40. The replacement for the Double Six was the supercharged Super V8, the supercharger to compensate for the loss of one-third of the previous engine’s capacity. 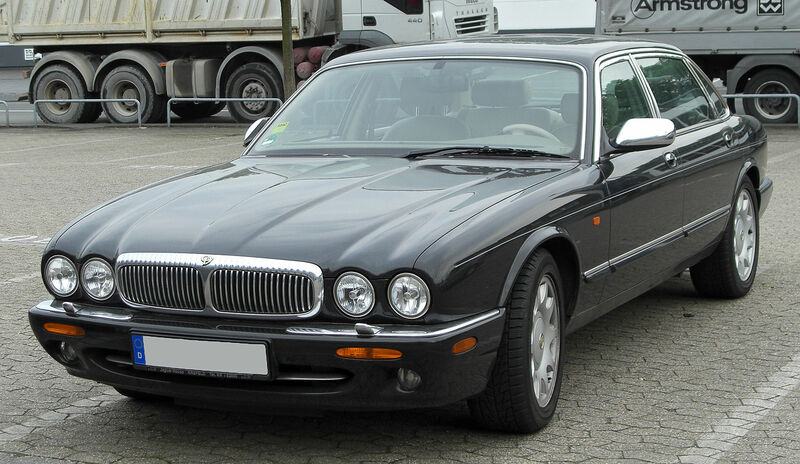 At the end of 2007 (the formal announcement was delayed until 25 March 2008), it became generally known that India’s Tata Group had completed arrangements to purchase Jaguar and Daimler. 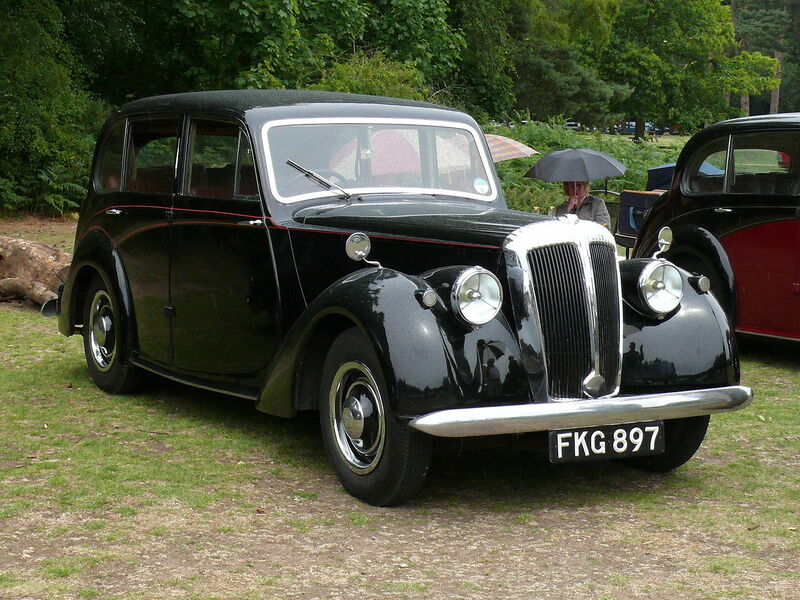 Tata had spoken to the press of plans to properly relaunch England’s oldest car marque. 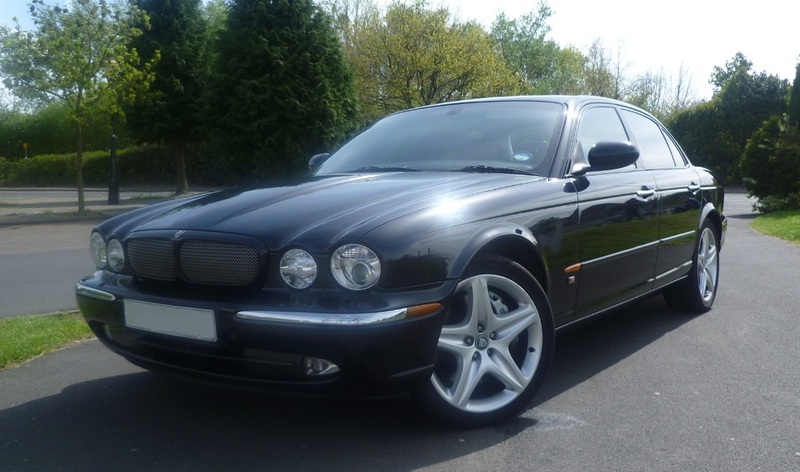 In July 2008 Tata Group, the current owners of Jaguar and Daimler, announced they were considering transforming Daimler into “a super-luxury marque to compete directly with Bentley and Rolls-Royce”. 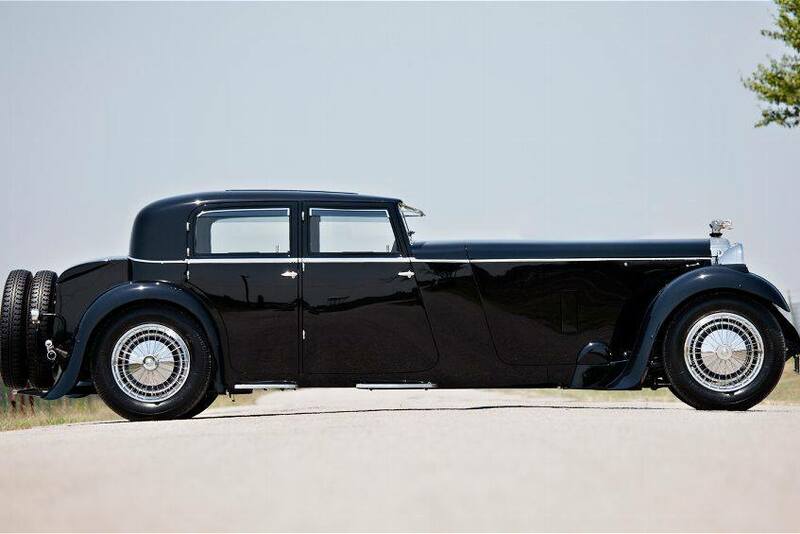 Until the early 1950s it was often said “the aristocracy buy Daimlers, the nouveau riche buy Rolls-Royce”. 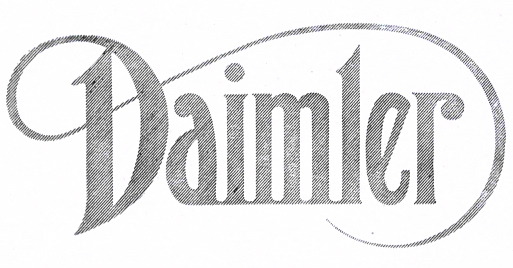 The Daimler Company Limited, now The Daimler Motor Company Limited, is still registered as active and accounts are filed each year though it is currently marked “non-trading”. 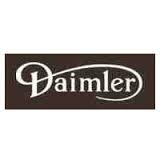 Until 20 December 1988 its name was The Daimler Company Limited. 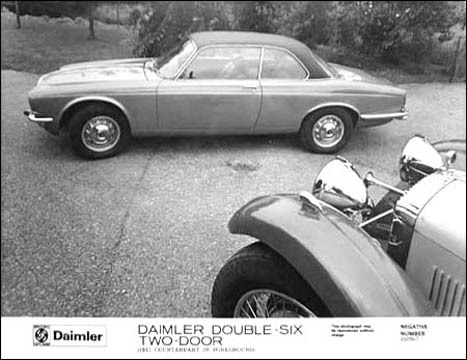 Before 5 October 2007 Jaguar, while still controlled by Ford, reached agreement to permit then de-merging DaimlerChrysler to extend its use of the name Daimler. 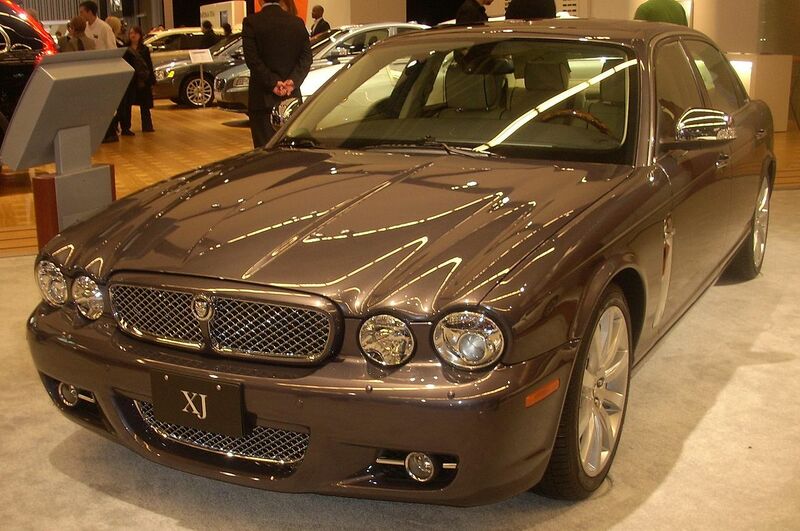 The announcement of this agreement was delayed until the end of July 2008 and made by Jaguar’s new owner, Tata. 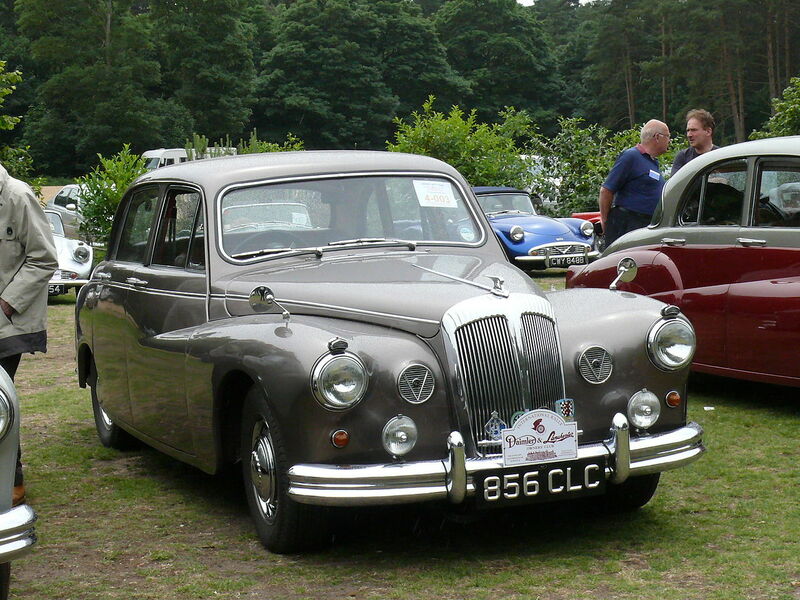 By 2007, Jaguar’s use of the Daimler brand was limited to one model, the Super Eight, which was to be last Daimler model to be produced.